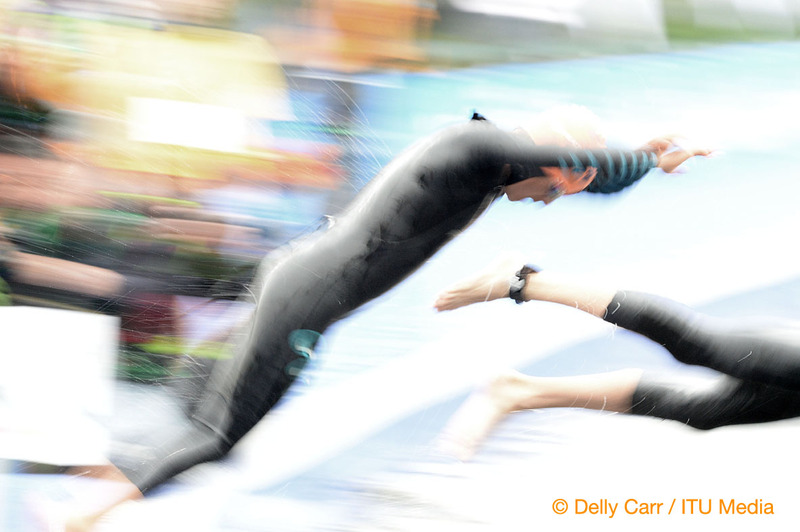 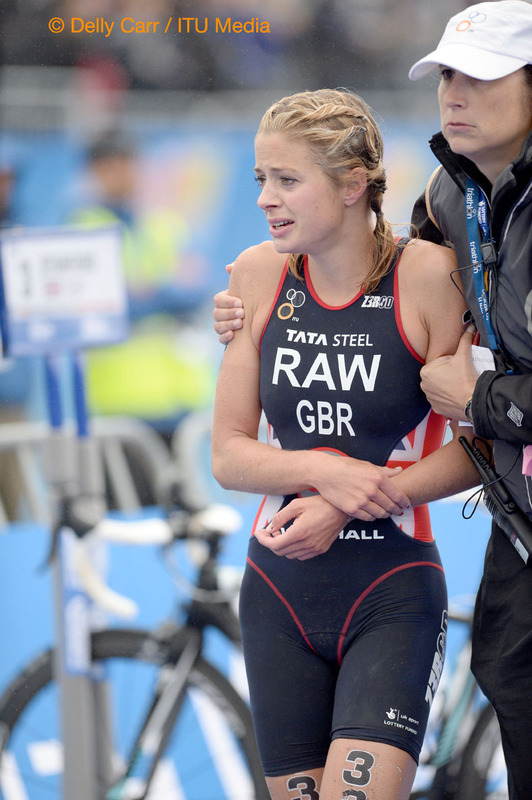 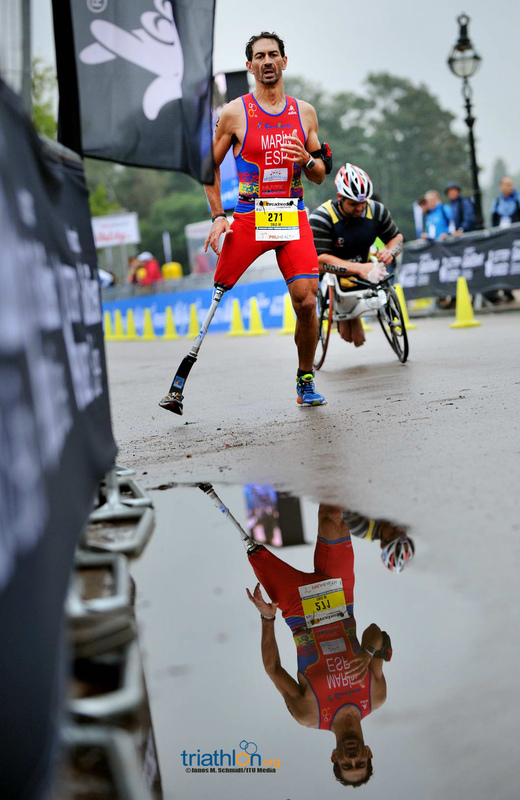 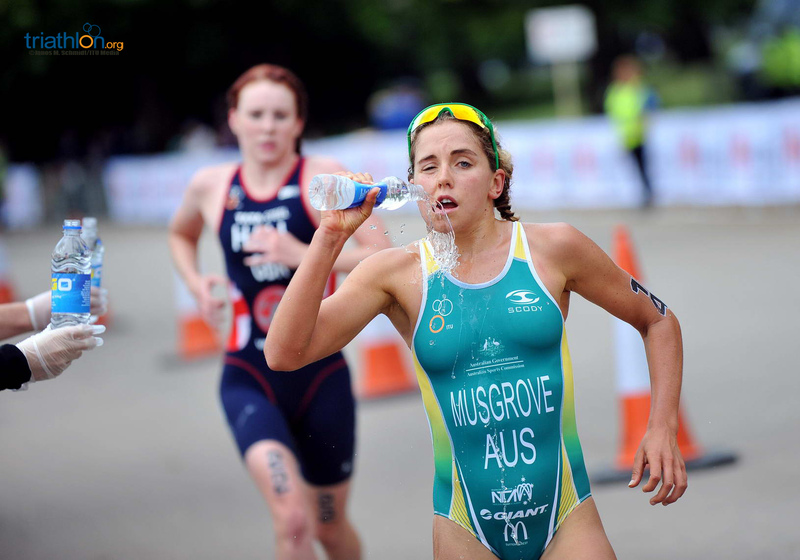 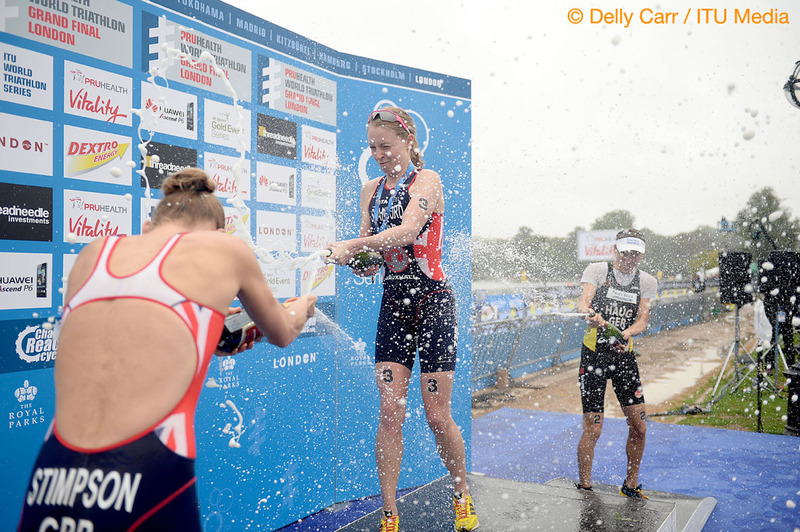 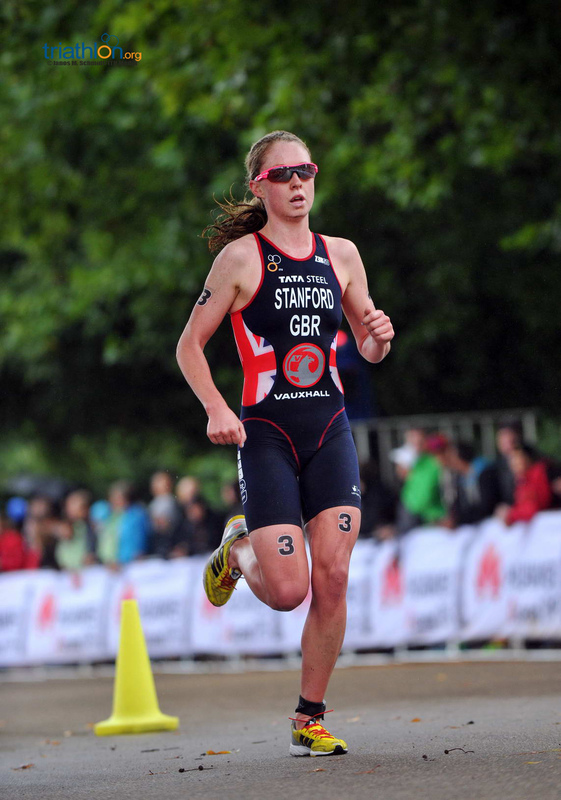 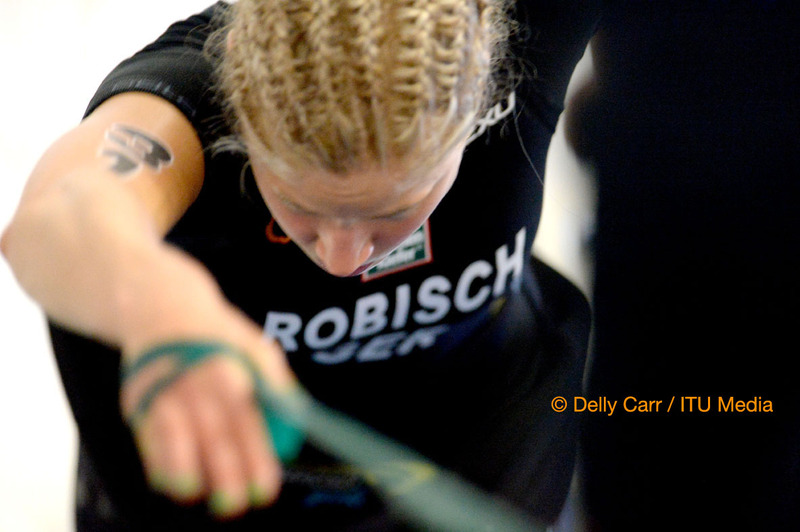 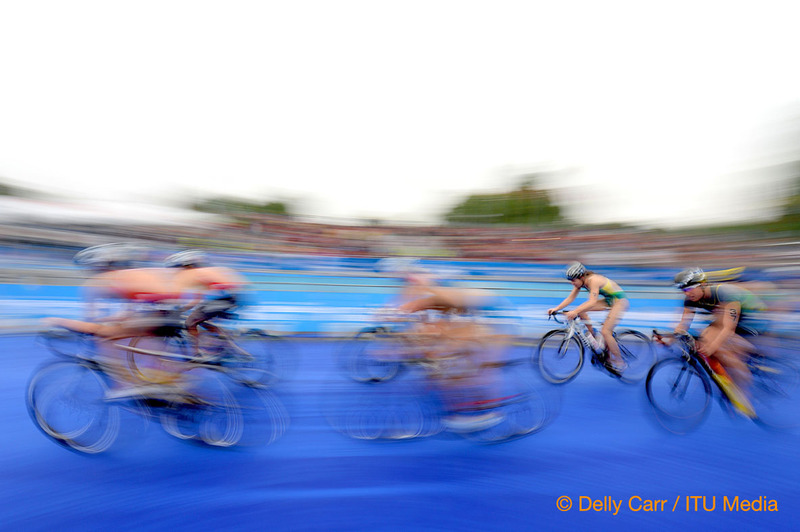 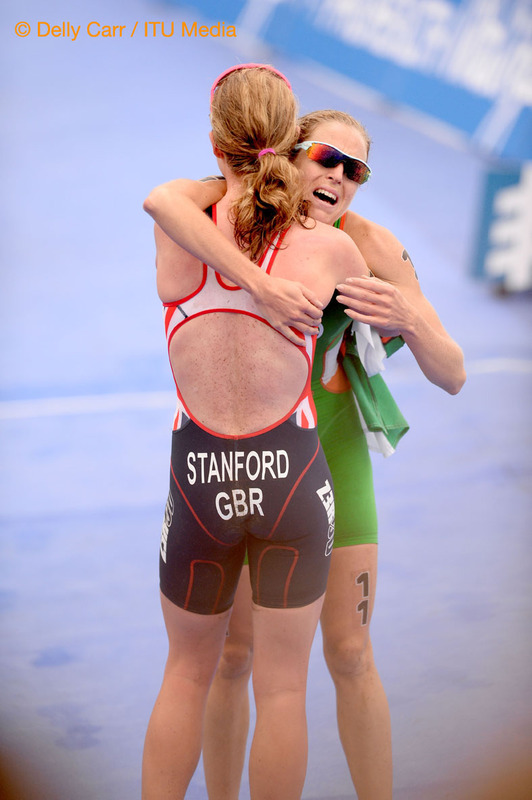 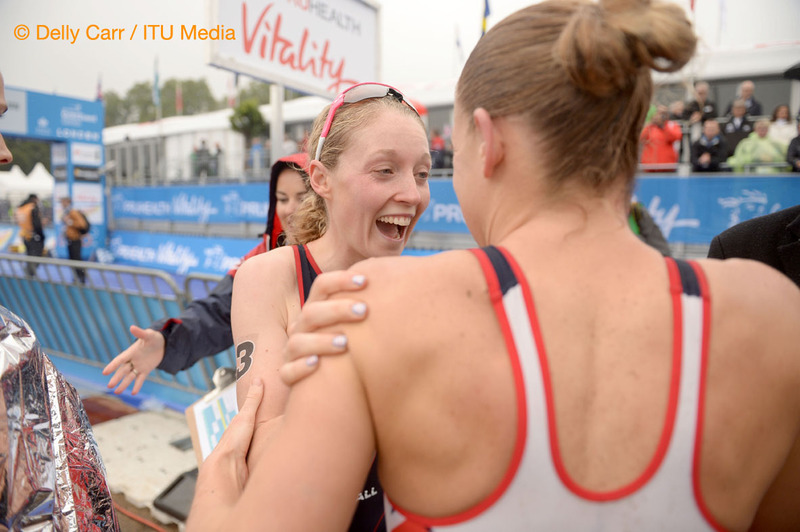 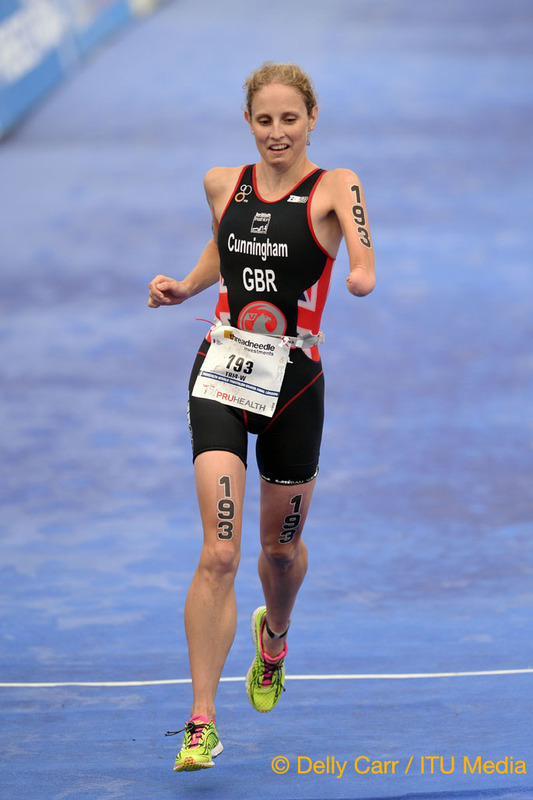 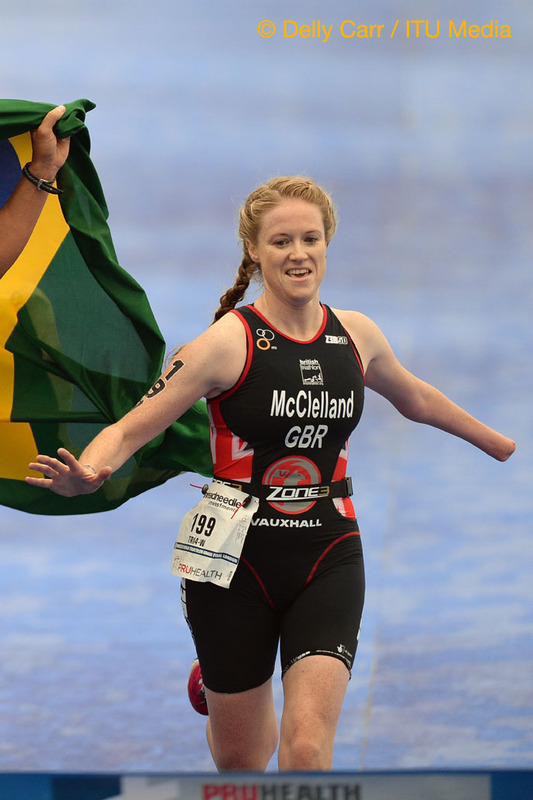 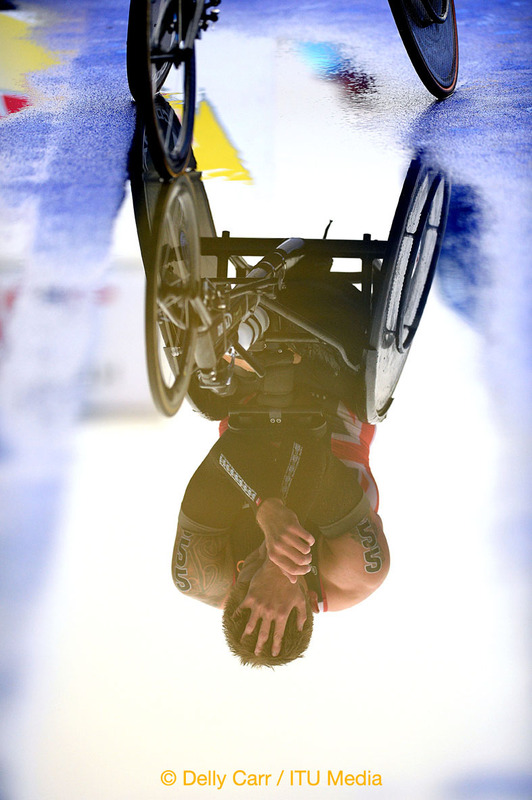 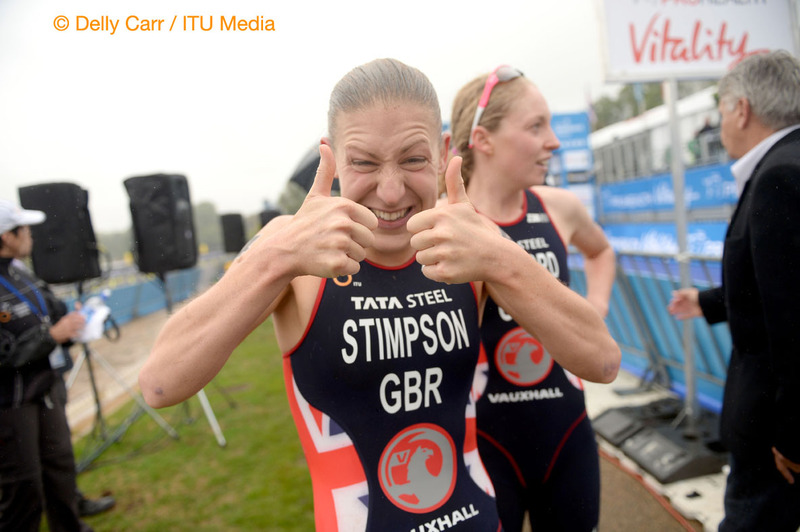 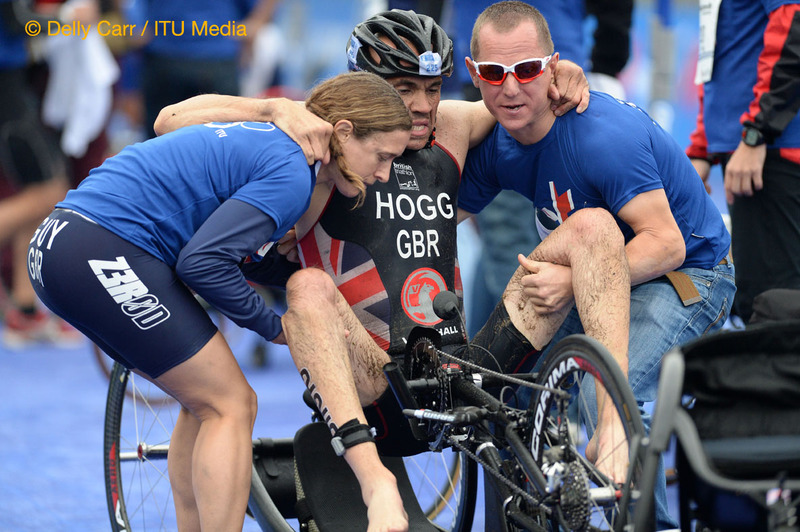 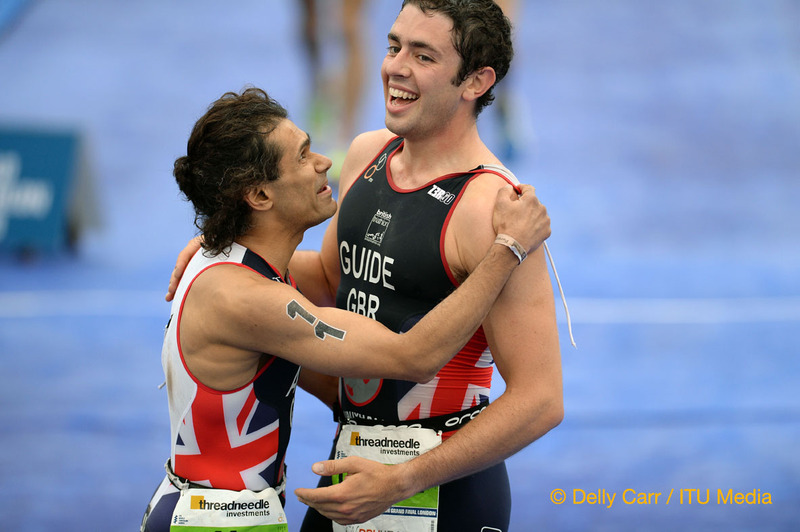 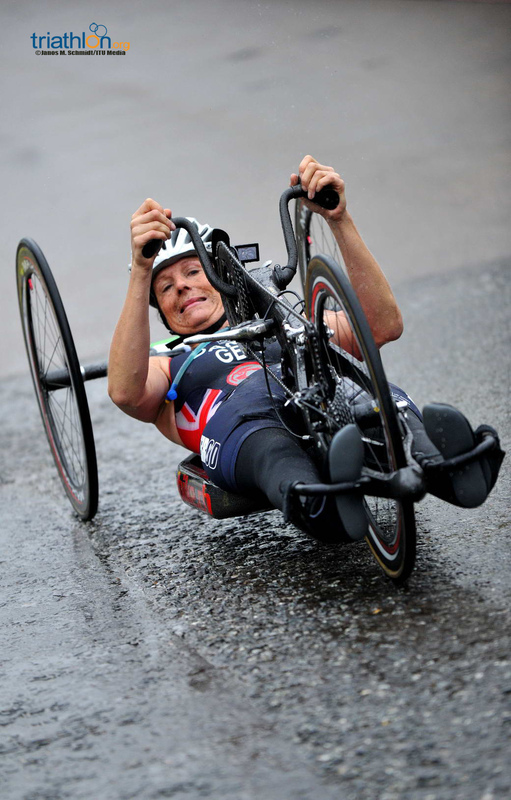 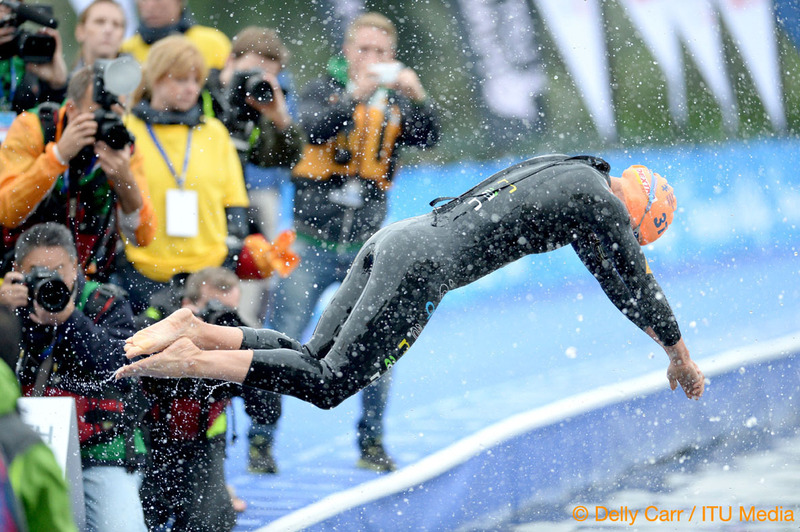 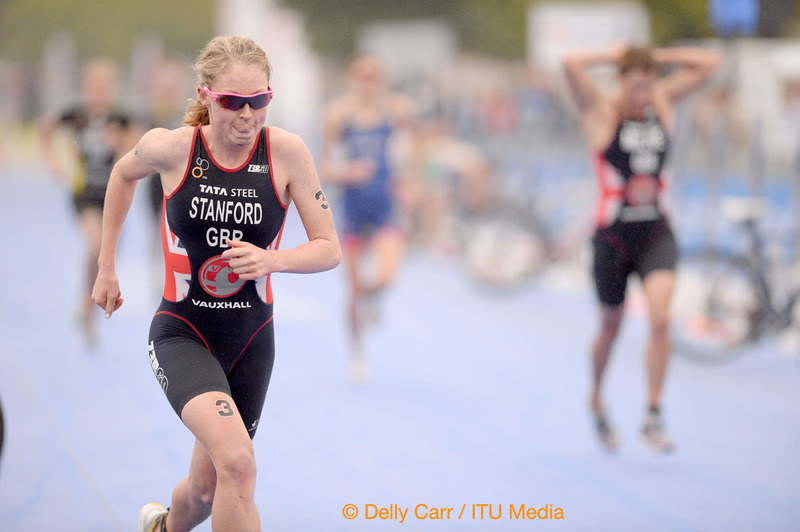 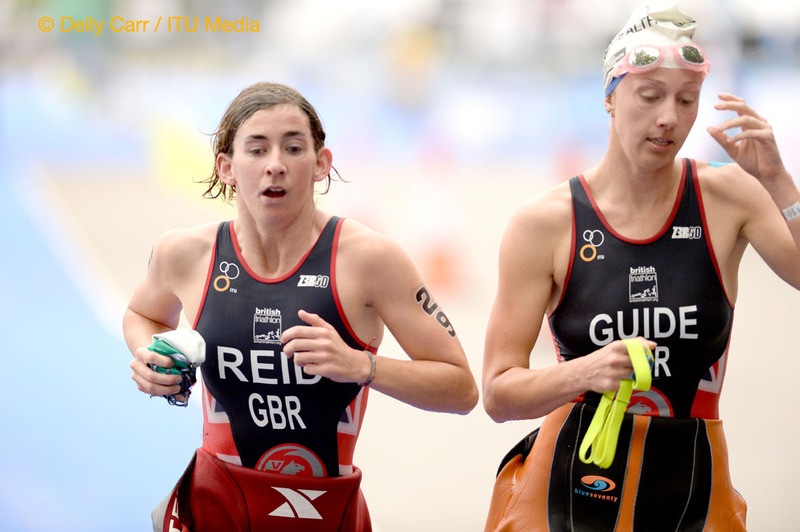 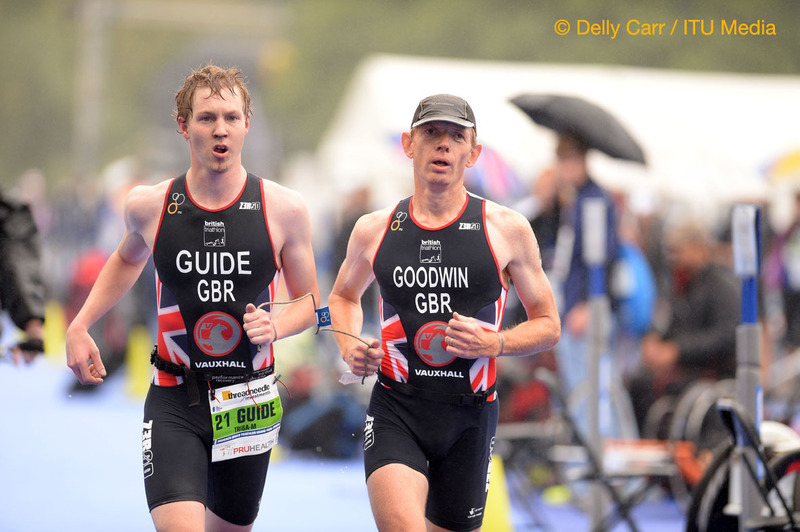 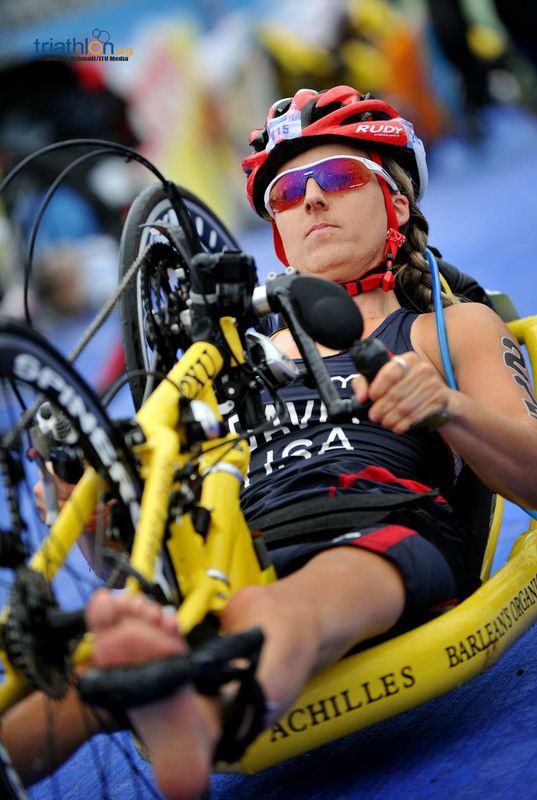 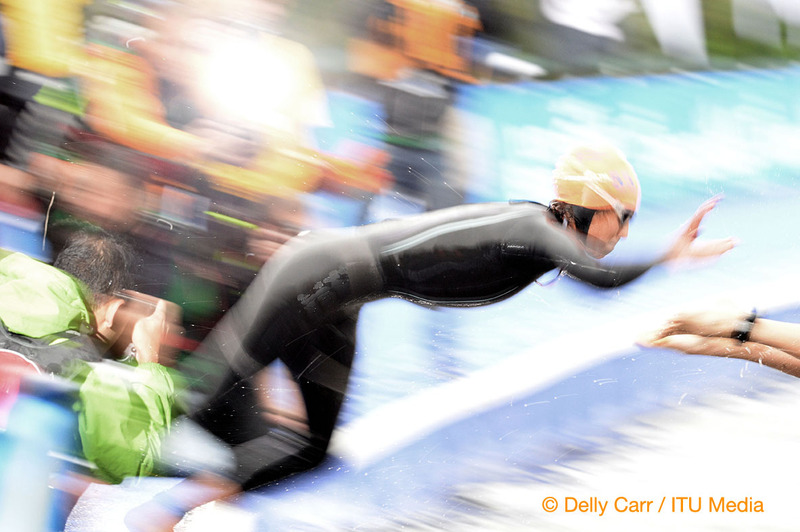 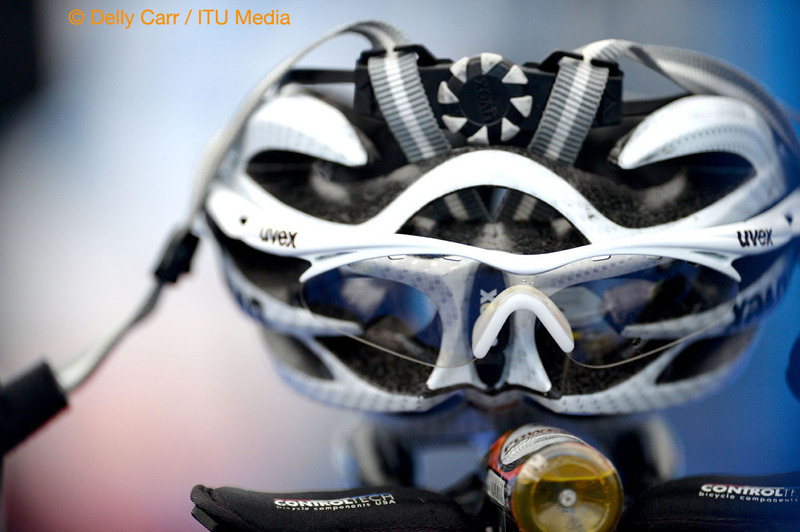 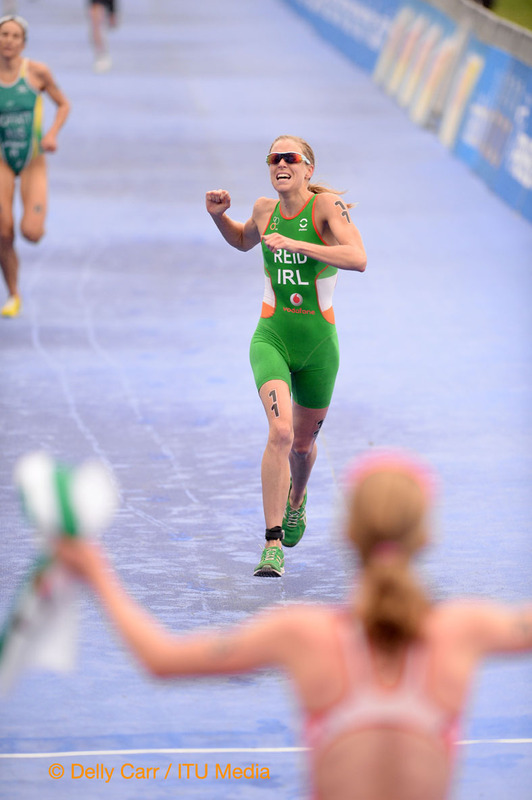 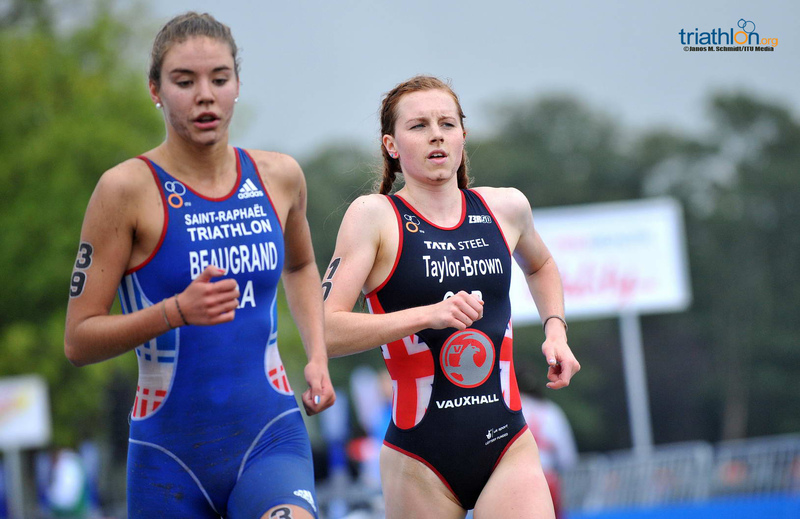 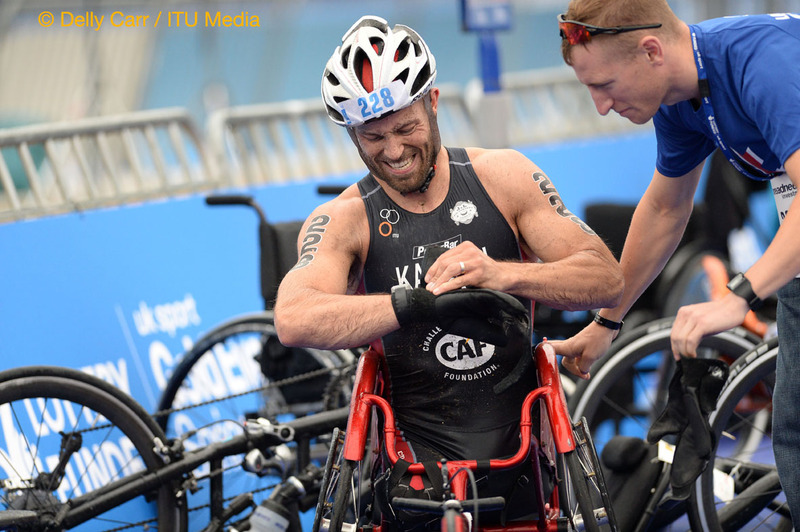 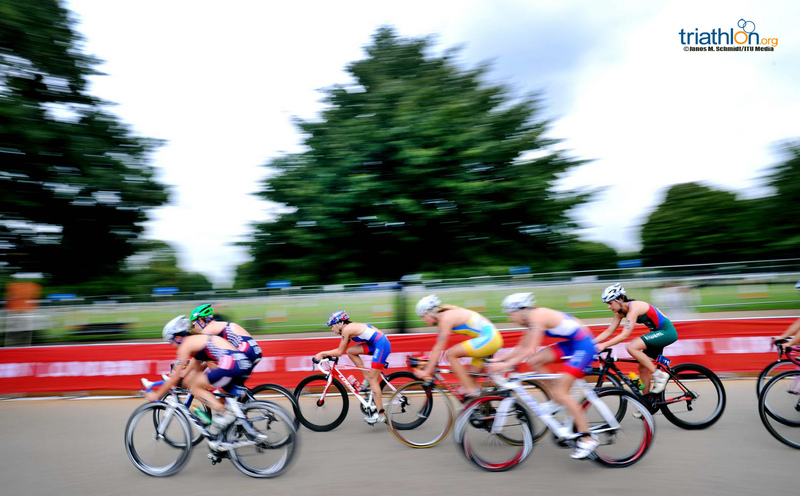 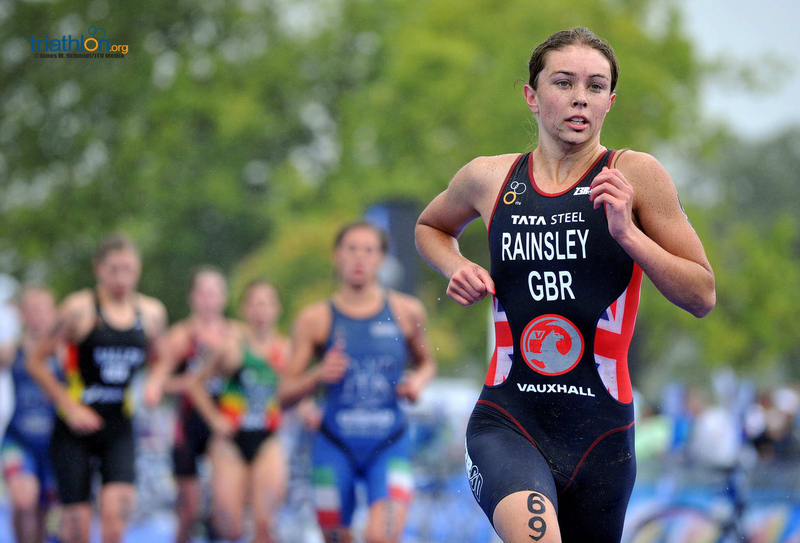 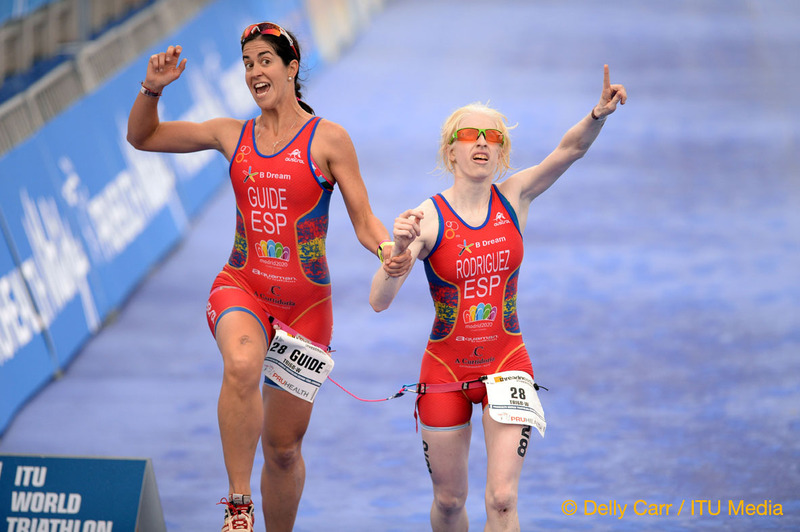 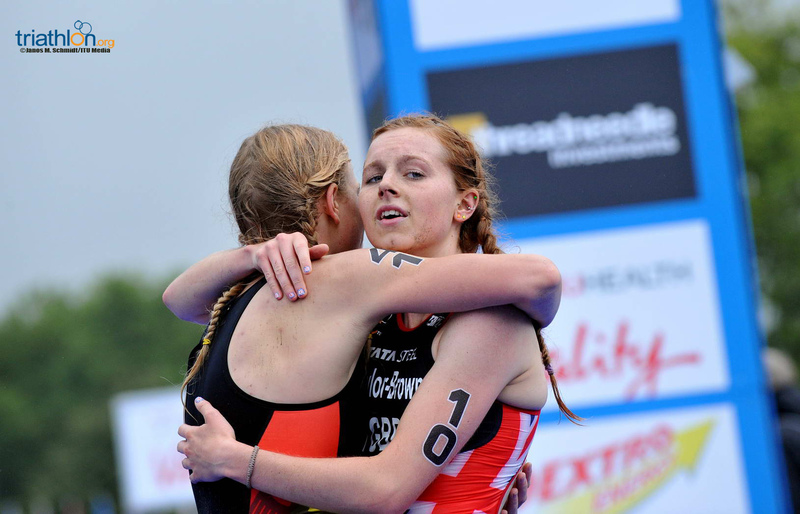 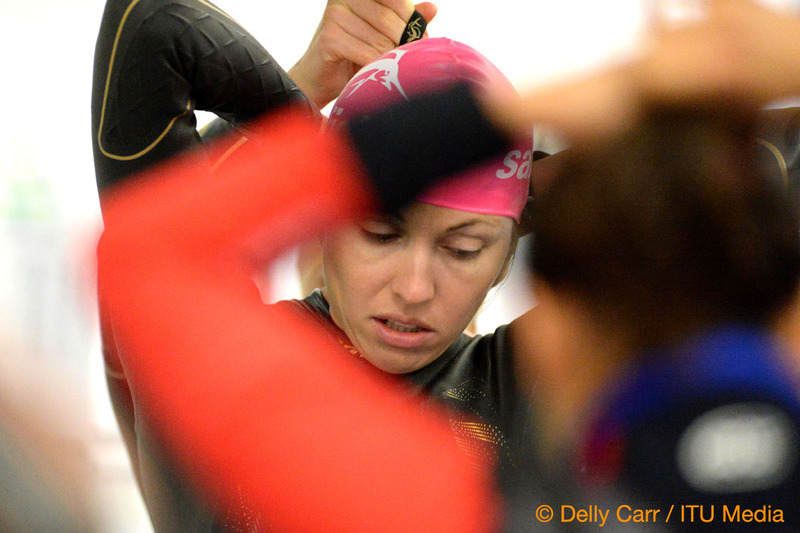 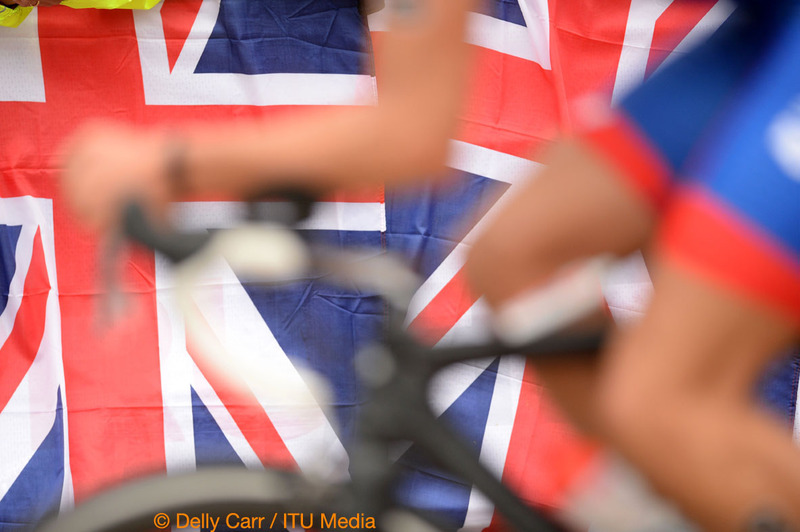 Amazing footage from the World Triathlon Series and the Road to London so far. 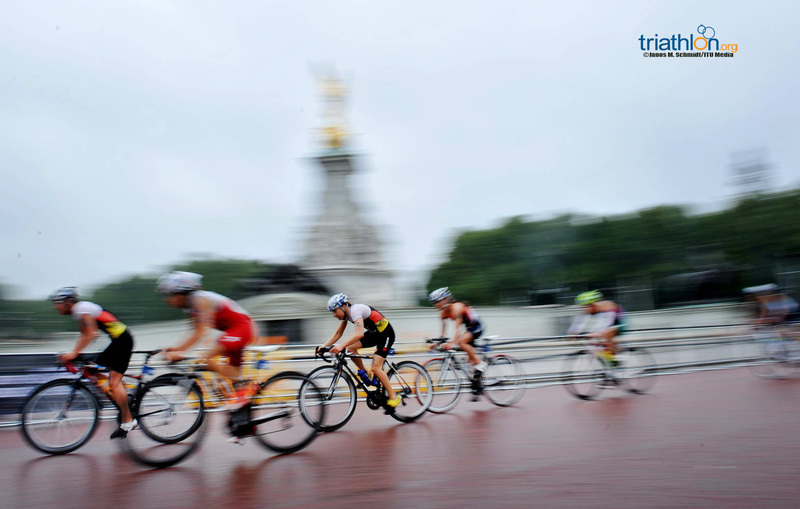 In the seven World Triathlon Series races contested this year, they’ve all been won by only three men - Alistair Brownlee, Jonathan Browlnee and Javier Gomez. 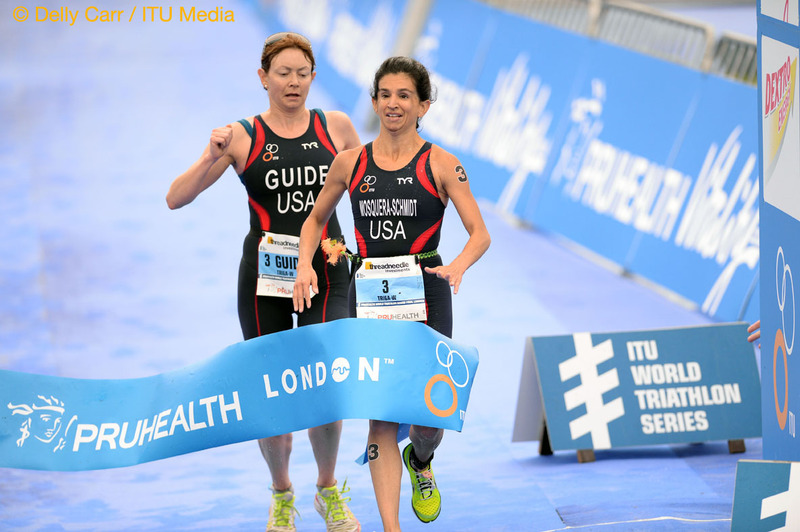 Just over a year after the three battled for a spot on the Olympic podium, they return to much the same course that realized their Olympic dreams in the hunt for a world title. 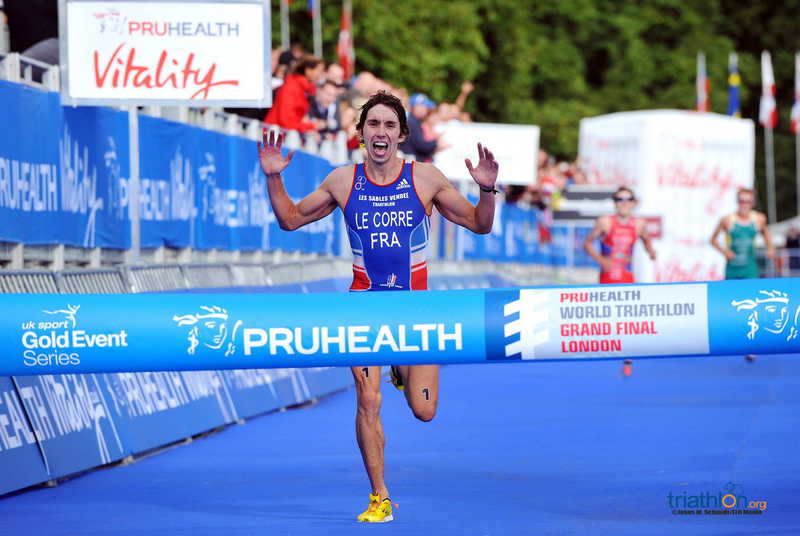 Just 120 points separates the athletes, meaning the World Champion will more than likely be the man that crosses the finish line first on Sunday at the PruHealth World Triathlon Grand Final London. 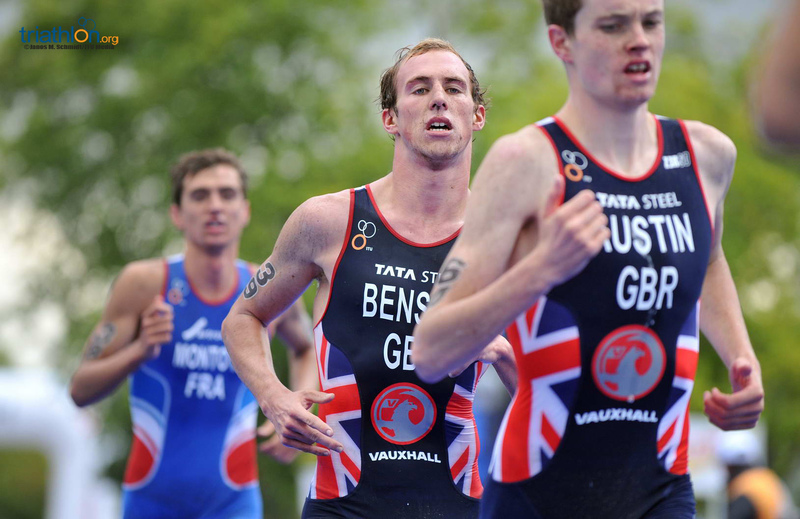 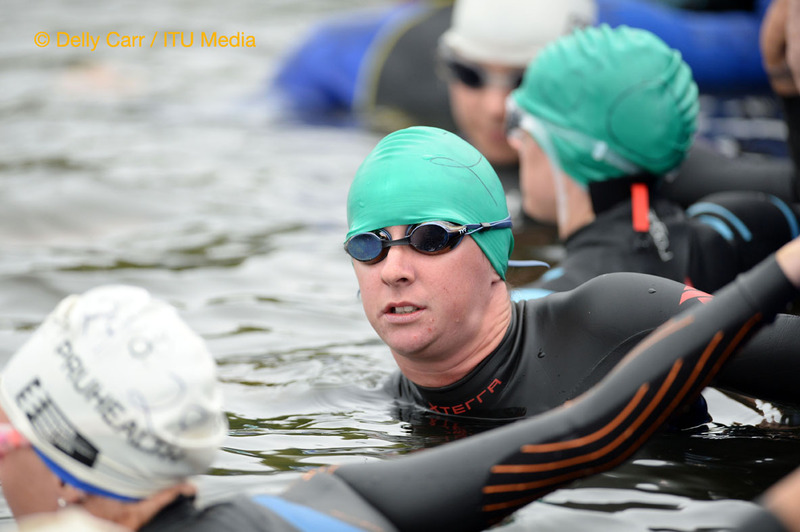 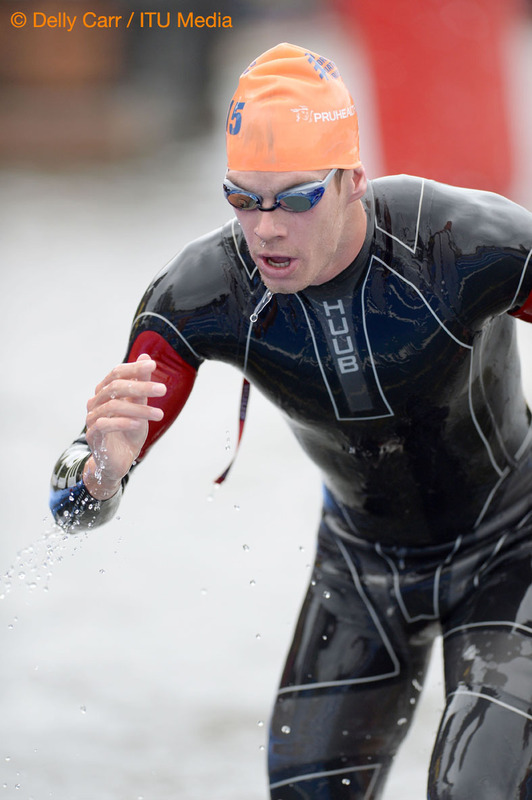 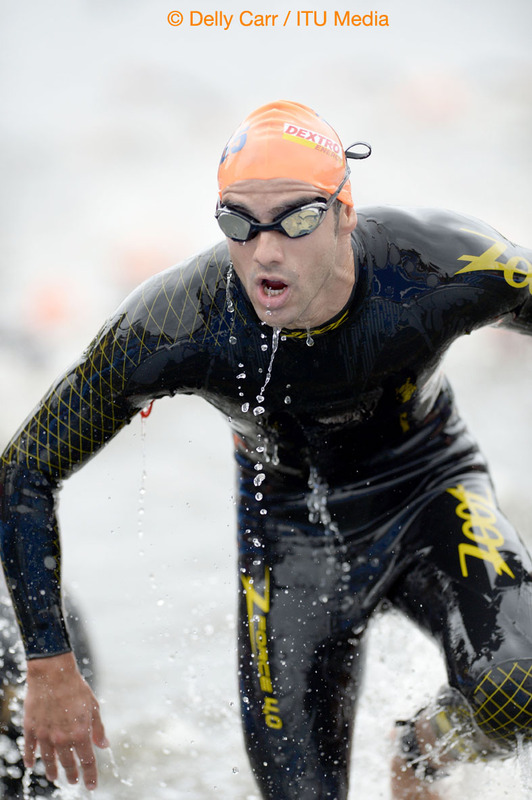 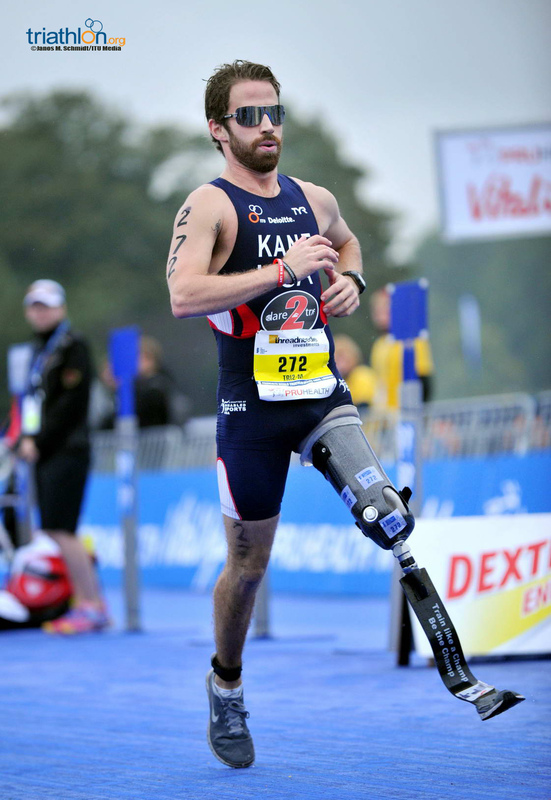 Alistair will line up first at the Serpentine despite starting in just four World Triathlon Series races this season. 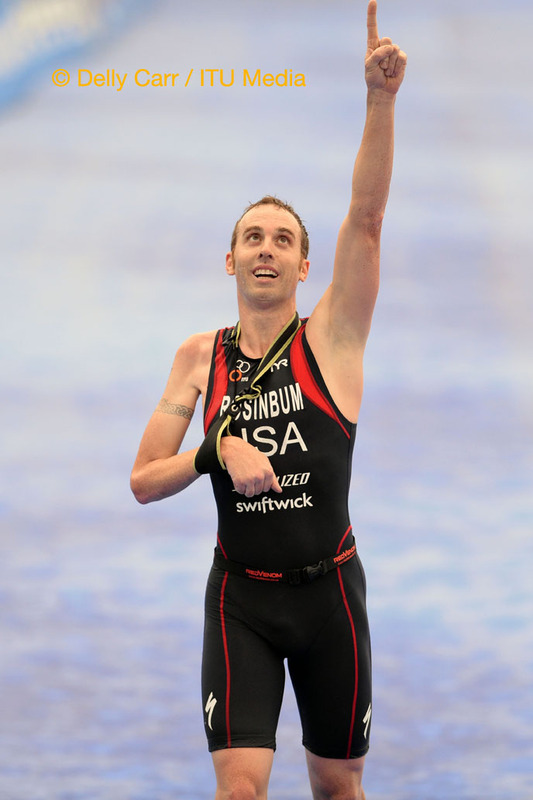 The Olympic gold medallist got a late start this year due to a nagging ankle injury, but he came out of the starting blocks blazing in San Diego to announce his return. 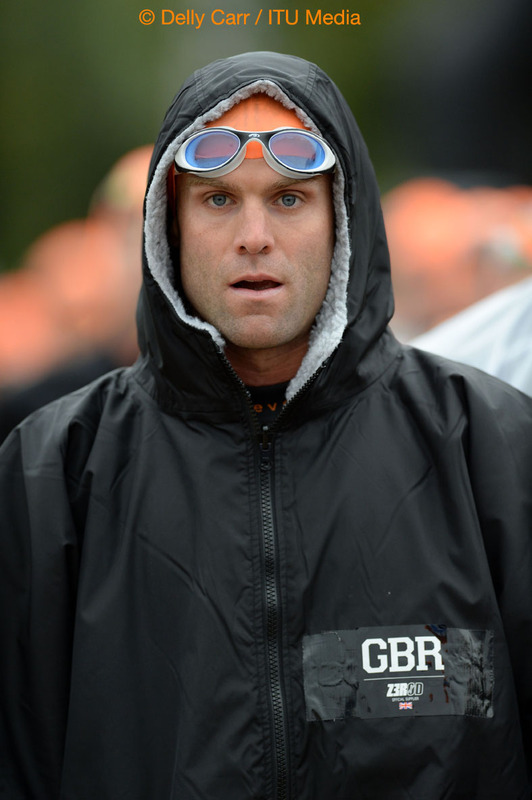 His performance in sunny California set the tone for the rest of the races, in which he won every single Olympic distance and took silver only to his younger brother in Hamburg to make him the wanted man. 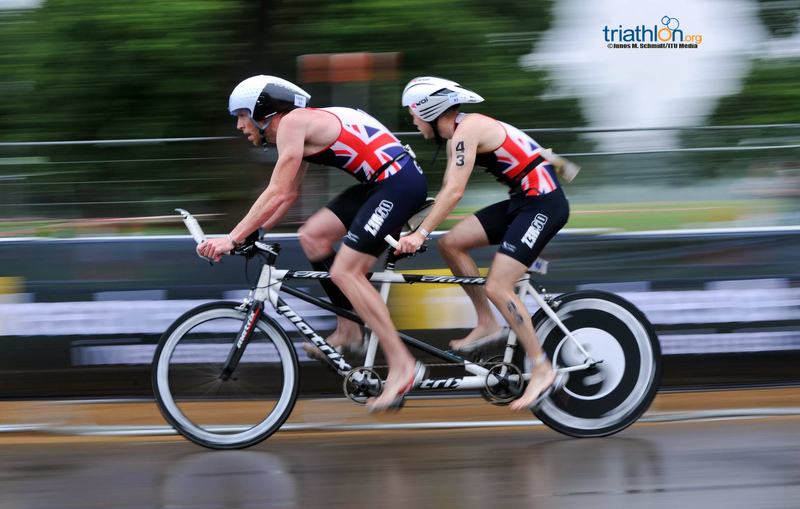 History is on Alistair’s side this weekend, as he’s already won here on the biggest stage triathlon sees at the 2012 Olympic Games, as well as at the WTS London events in 2009 and 2011. 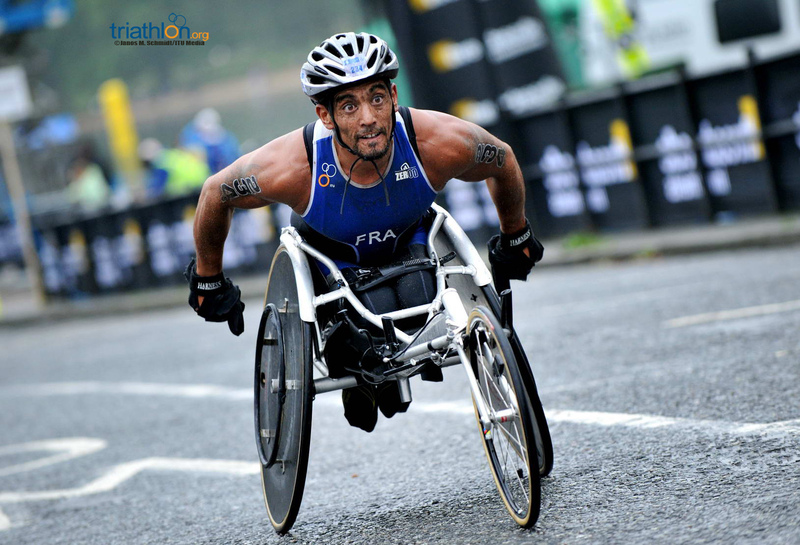 He’s also going for his third world championship title, which would give him one more than Spain’s Gomez, as they each currently own two. 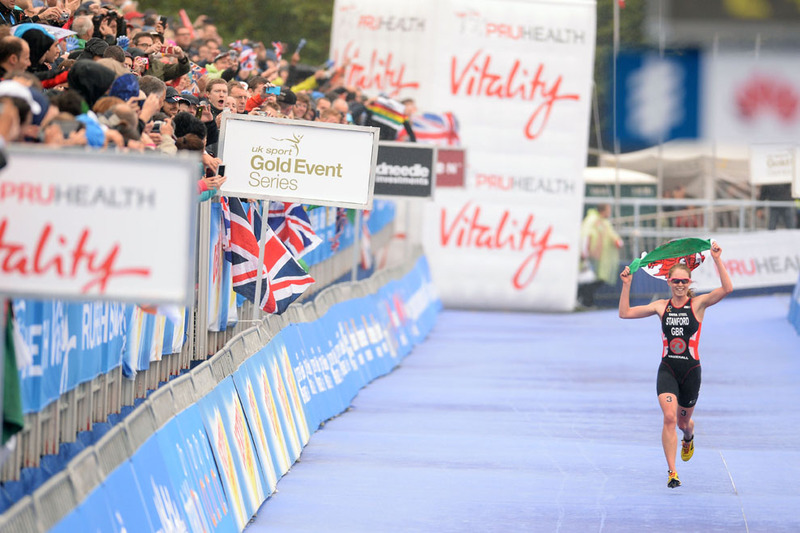 On the note of Gomez, he’s no stranger to success on this course, as he won on it in 2010 meaning every single World Triathlon Series race in London has been won by either Alistair or Gomez. 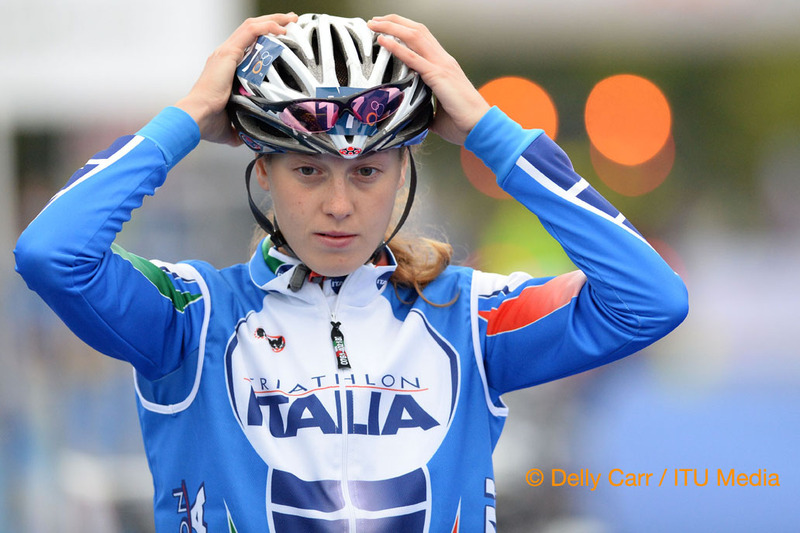 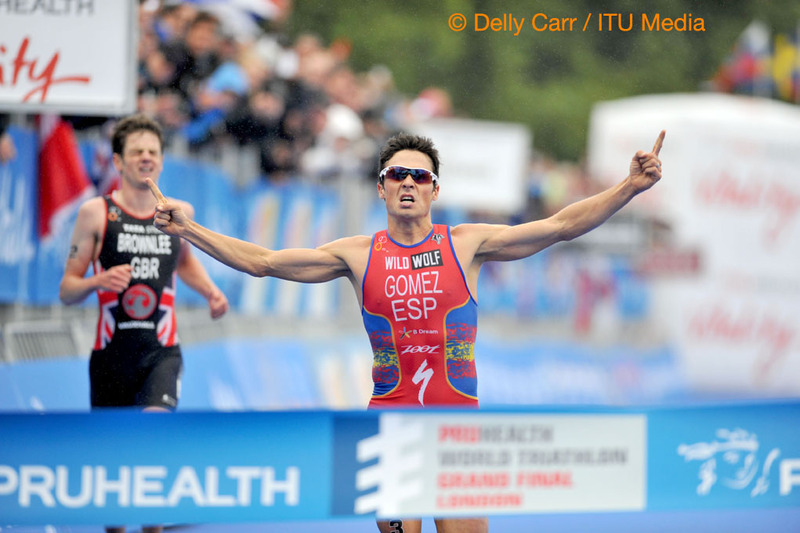 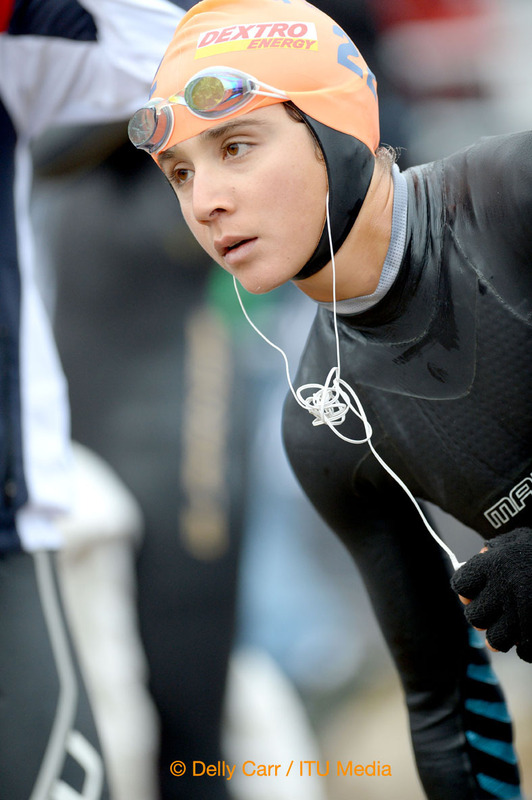 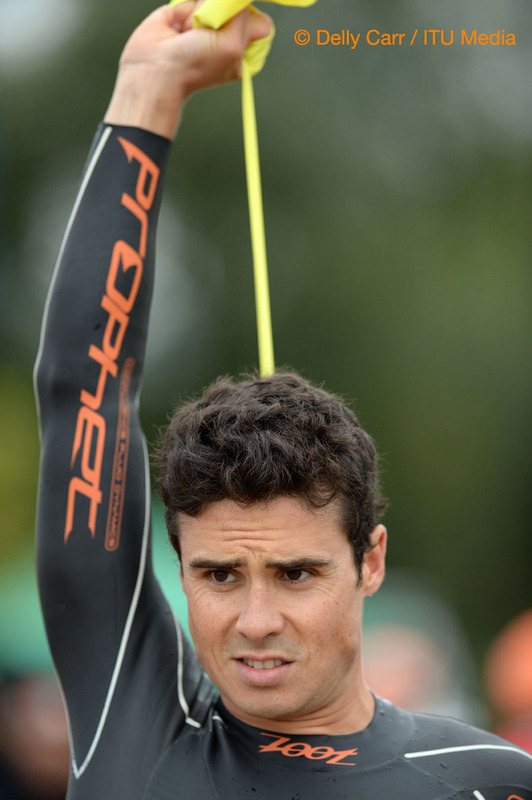 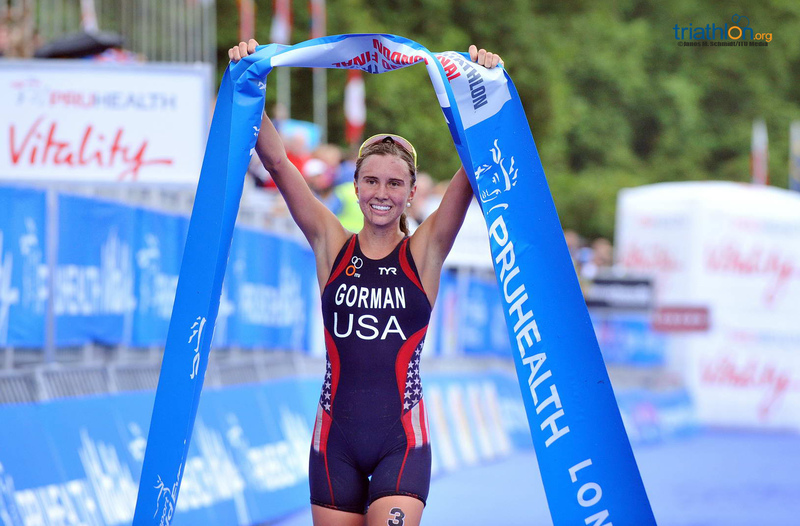 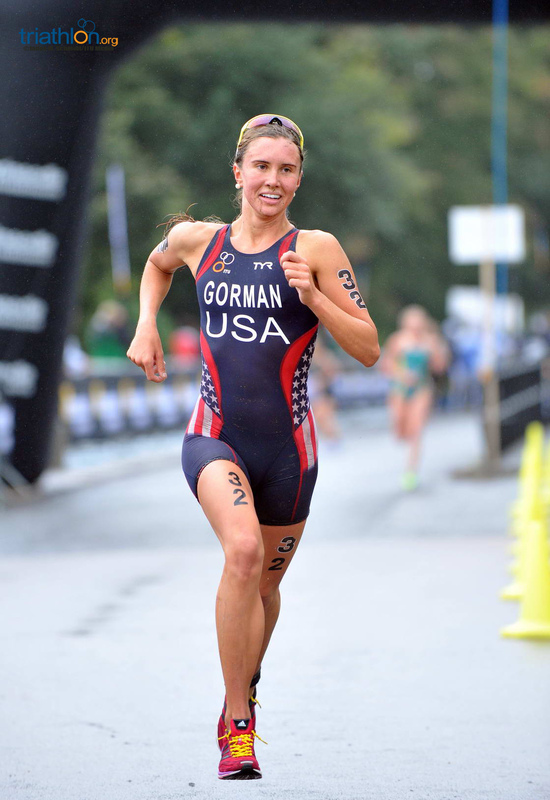 Unlike the Brownlees, Gomez has started in every WTS race and has had consistent performances in each. 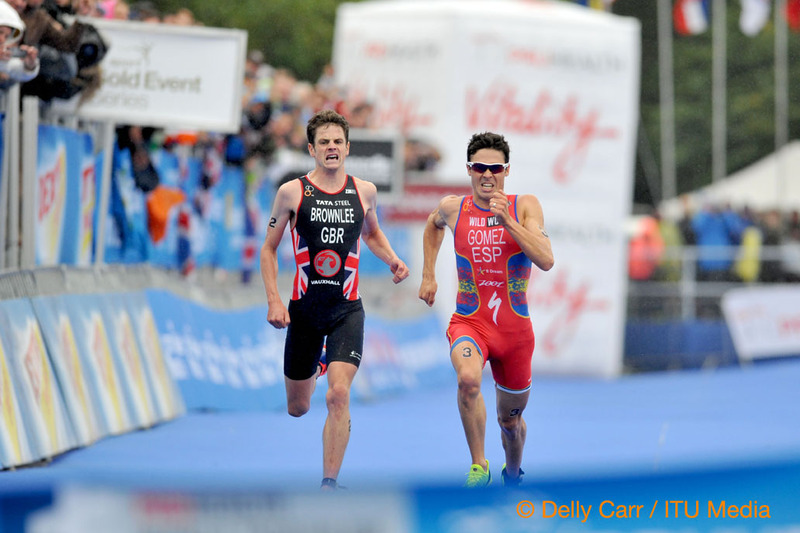 In Stockholm he even out split Alistair on the run, but the Brit’s well timed break on the bike was enough to hold Gomez off. 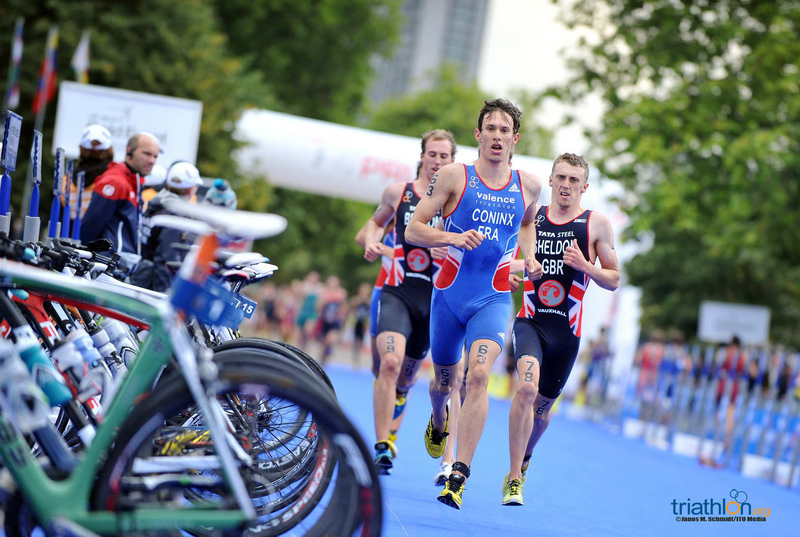 While Alistair has traditionally out raced Gomez, London could just be the turning of the tides. 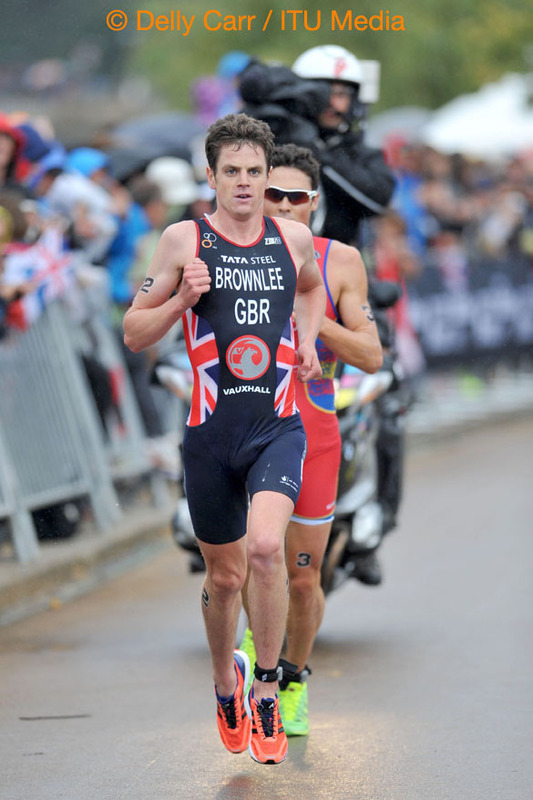 Jonathan Brownlee proved he is also capable of piping his brother in Hamburg when he shot down the finish chute ahead of Alistair to win his third title of the year. 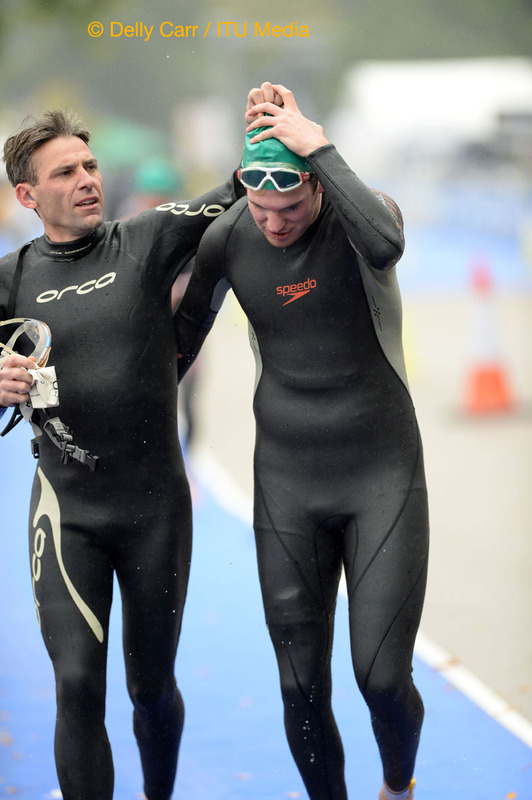 It was also the first race he and his brother competed together this year due to a series of injuries amongst them each. 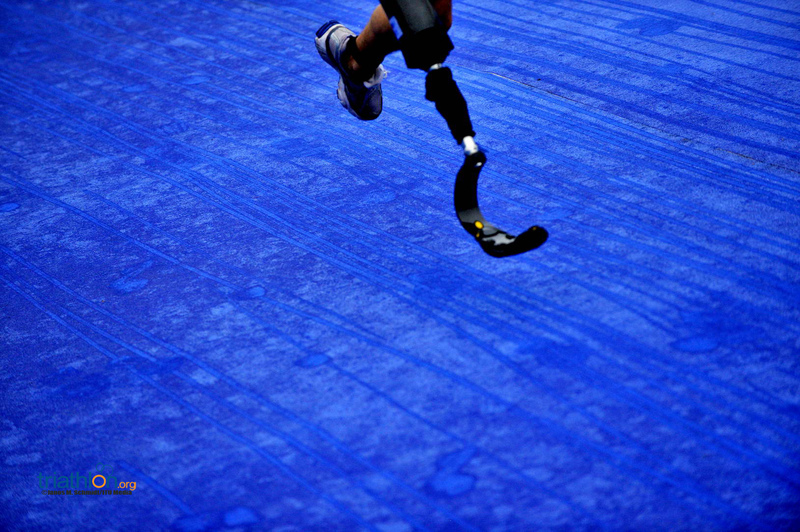 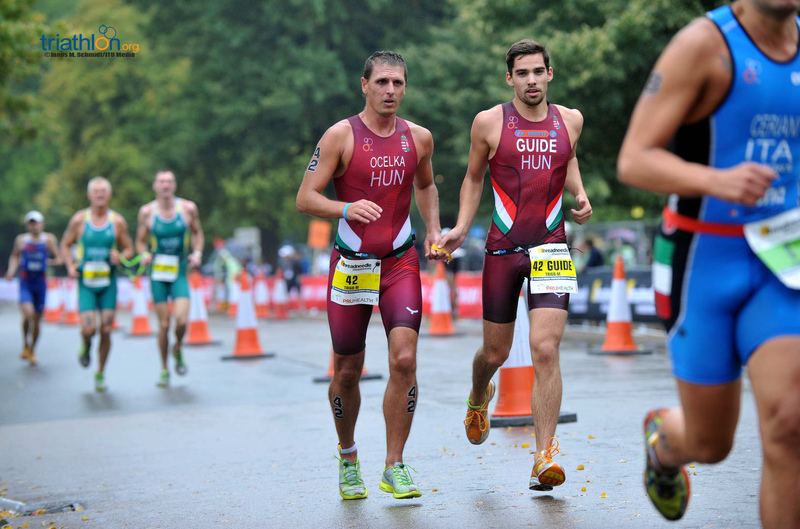 While Gomez has found it challenging running down Alistair, he has shut Jonny down in several notable races, including at the Olympics and the 2012 Grand Final. 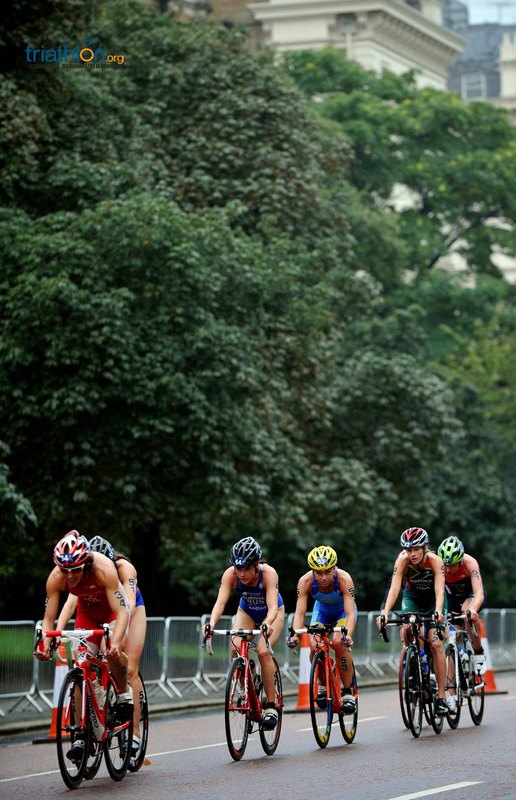 If the three come off the bikes together, it could be anybody’s race. 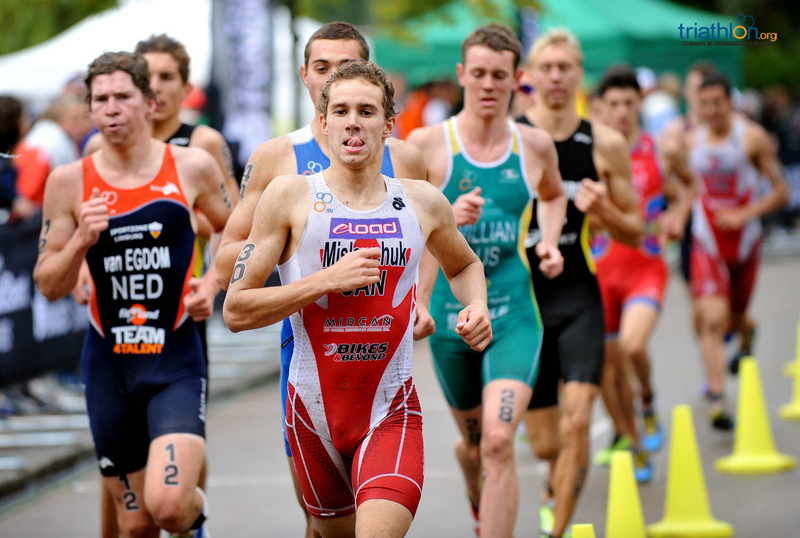 The 2013 PruHealth Grand Final Elite Men’s Race starts at 1.30pm on Sunday September 15. 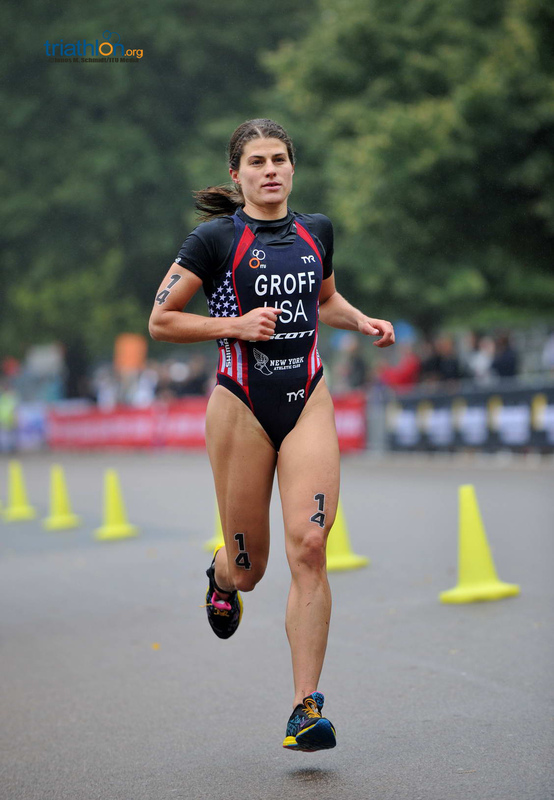 Find out global times here. 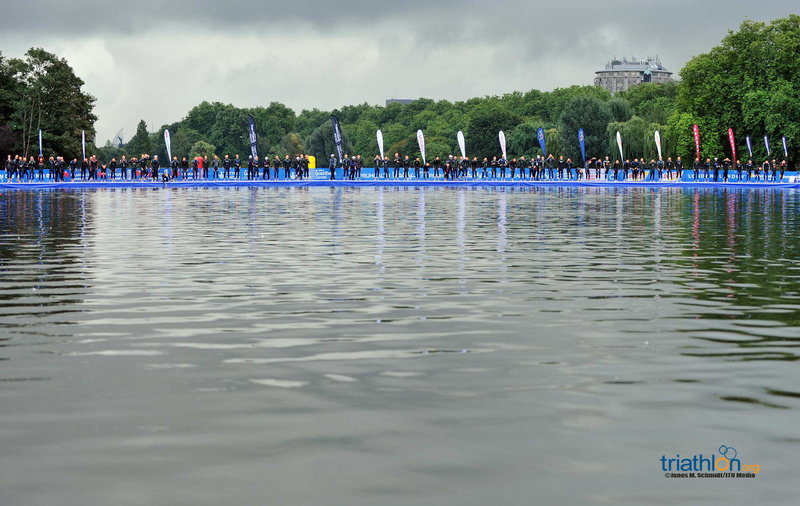 Full live TV coverage is available through subscription on www.triathlon.org/tv, and free live results and text commentary will be on @triathlonlive and www.triathlon.org. 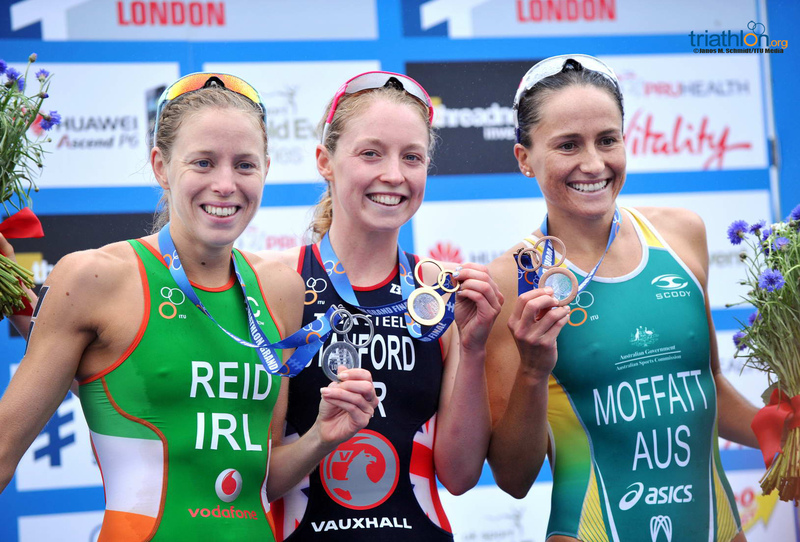 While the Olympic medallists are the reoccurring threats to the podium, they have company in their medal chase this year. 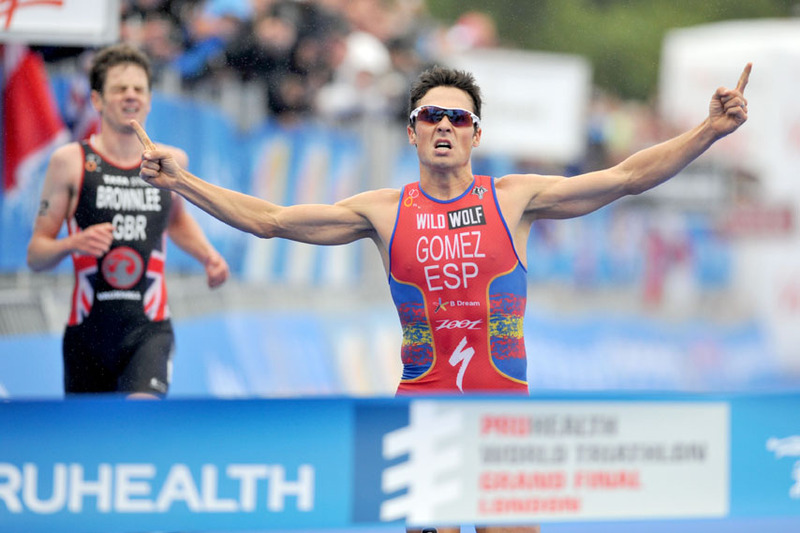 Gomez will be joined by teammate Mario Mola, who enjoyed a breakout year after starting his season with silver in Auckland. 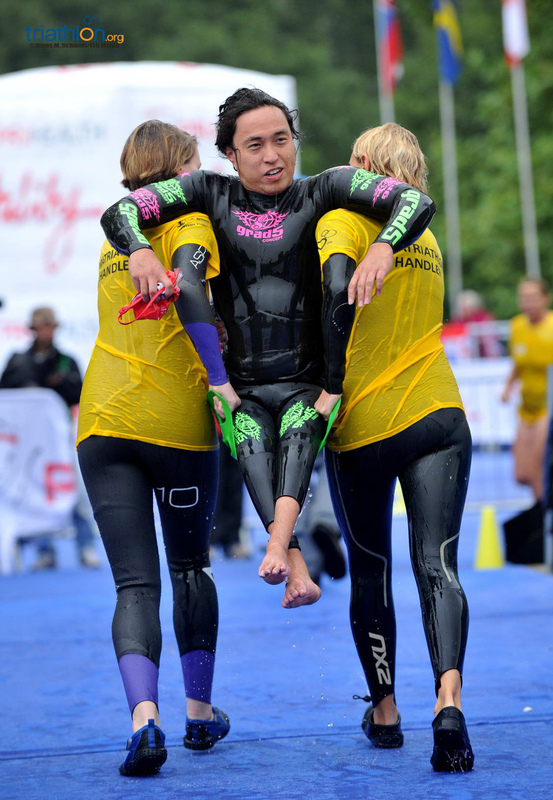 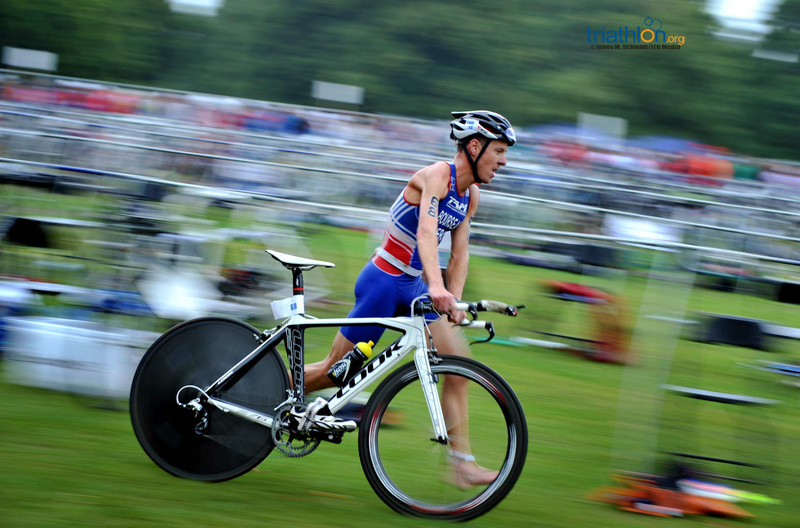 While he still struggles to make the lead group out of the water, his bike and run skills speak for themselves. 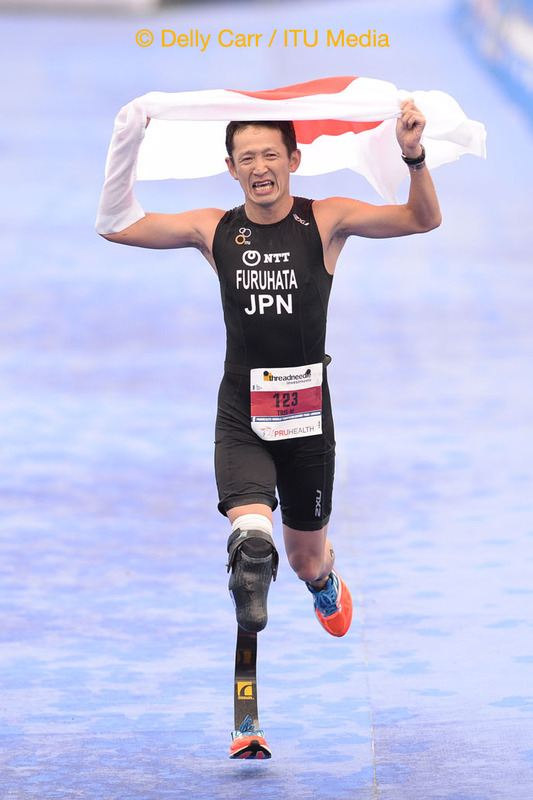 Although we haven’t seen Joao Silva the last half of the season, he was on point from the beginning with a trio of bronze medal finishes in Auckland, San Diego and Yokohama. 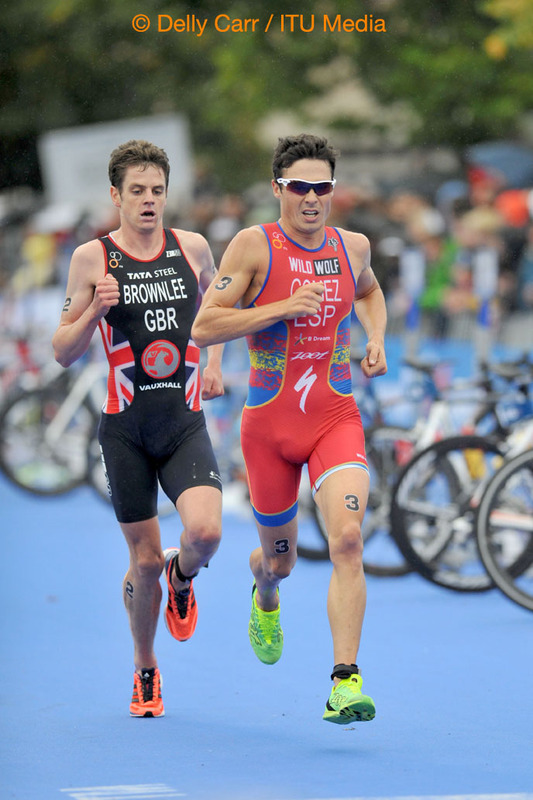 Silva is solid in all three disciplines and can run with the best of them. 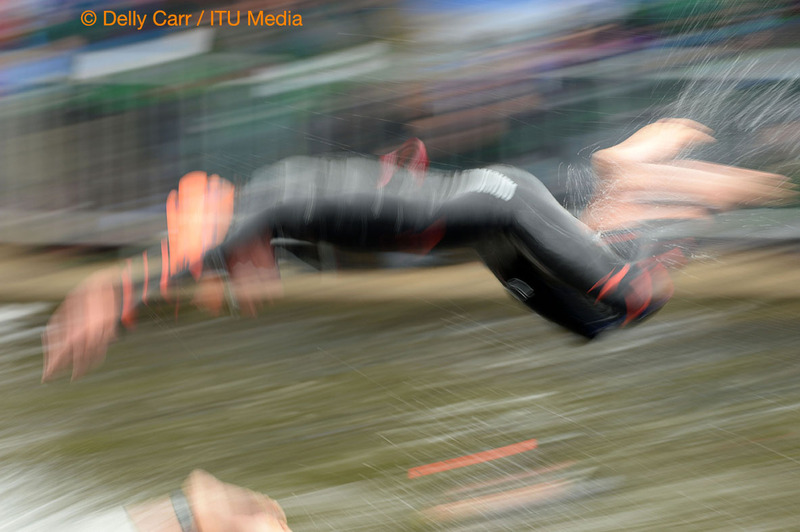 He likely won’t become a World Champion in London, but his performance could certainly affect who does. 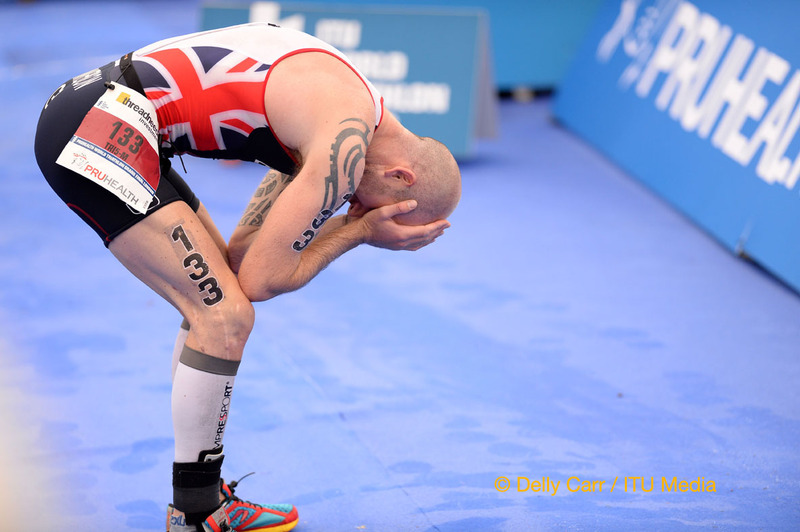 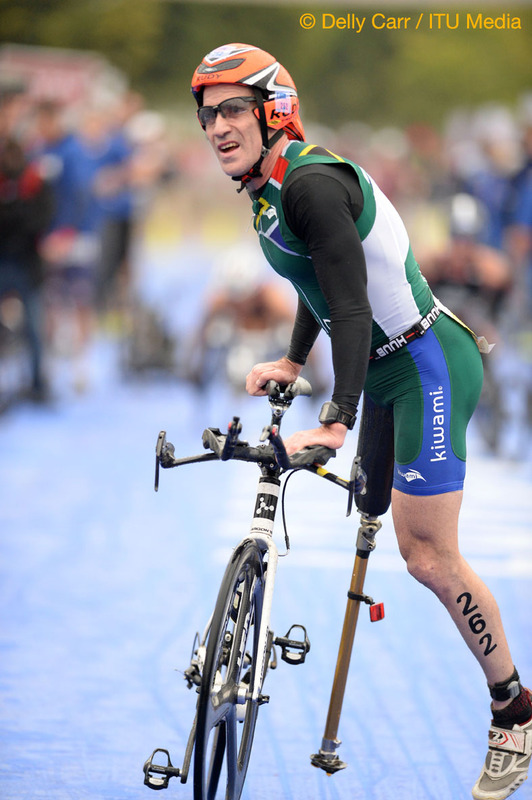 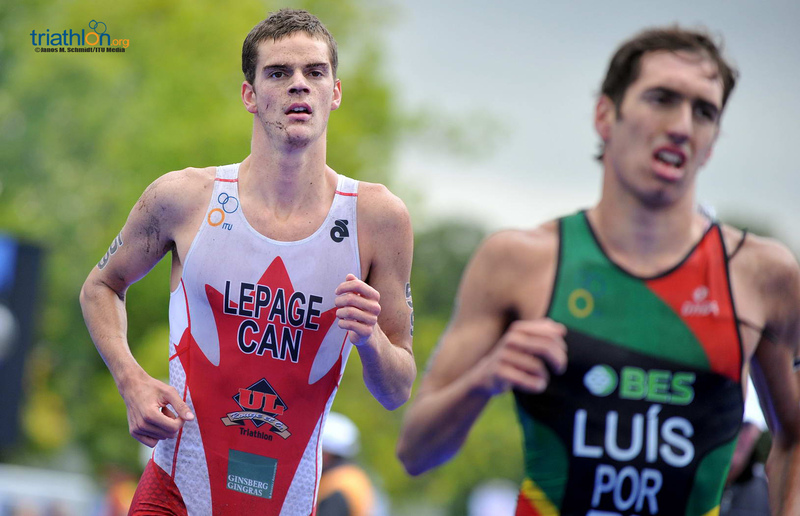 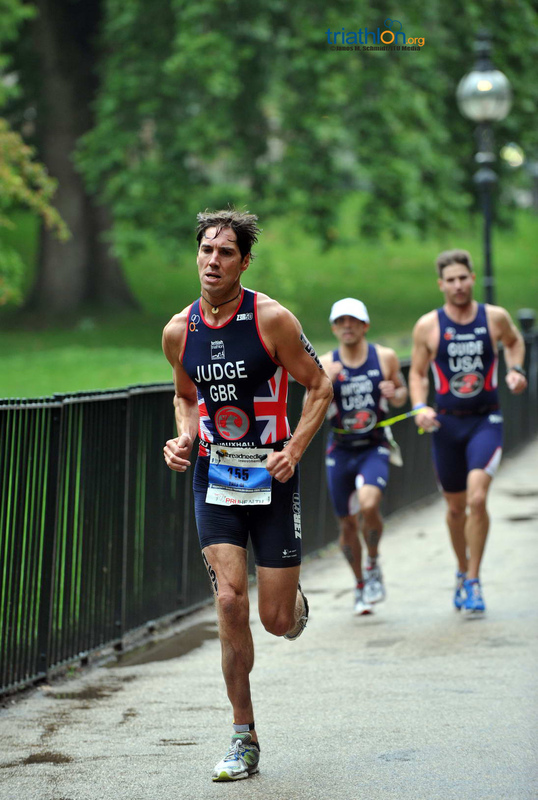 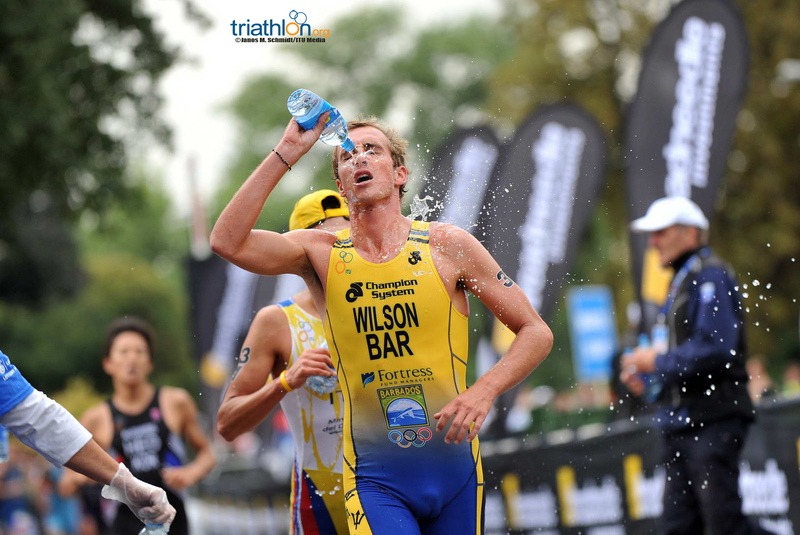 Richard Murray has seen his most consistent season to date with top 10 finishes in every WTS race but Kitzbuehel. 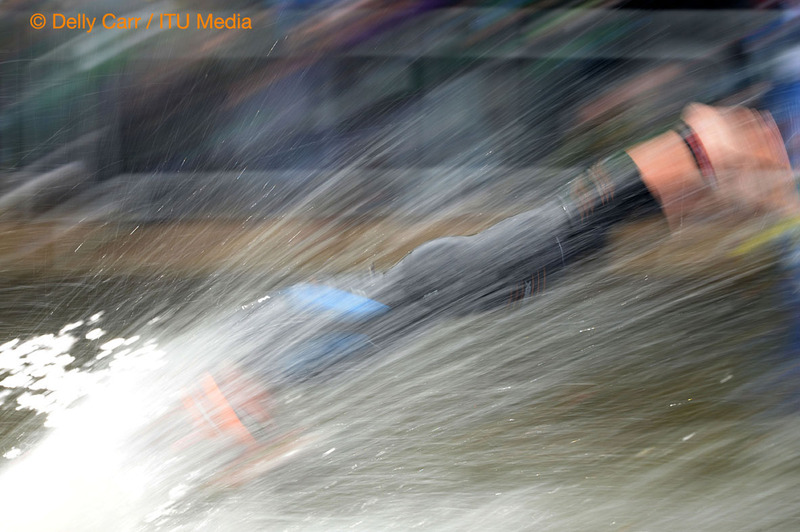 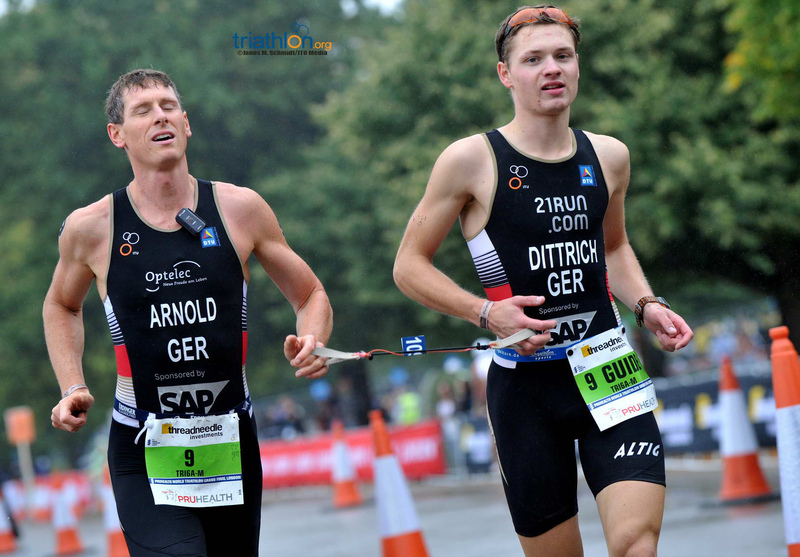 Last year in Hamburg, he also displayed brilliance on the run course when he bolted to his first major title. 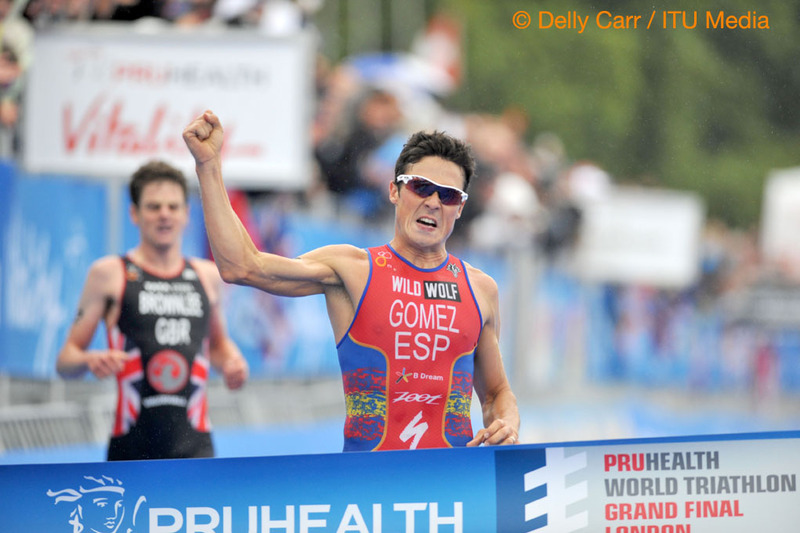 Like Silva, his chances of becoming a World Champion are less likely, but he is a very real contender for the overall series podium. 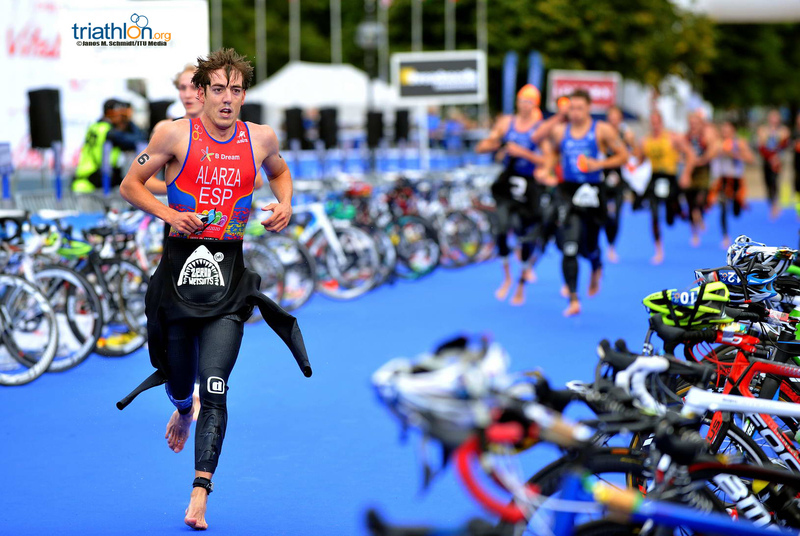 While the flat course doesn’t suit Sven Riederer‘s strong climbing skills, look for the Swiss to be a player on the bike just as he was for bronze in Auckland last year. 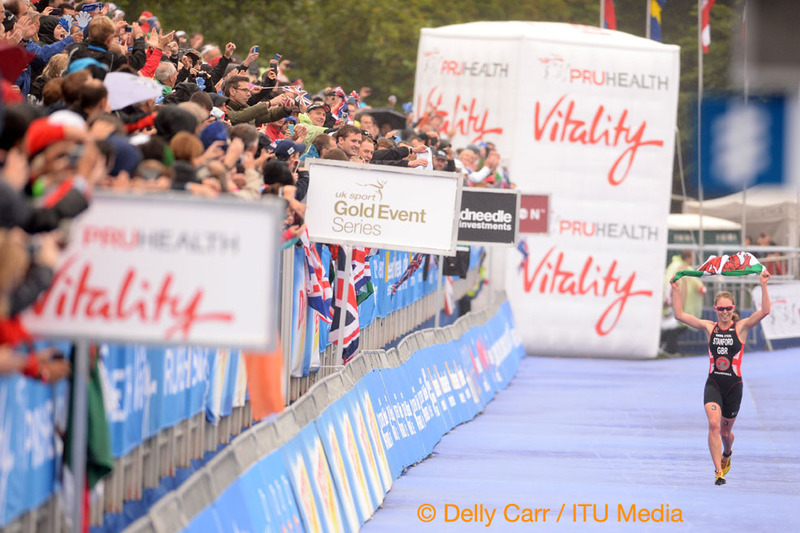 Predict the men’s medallists with our podium predictor. 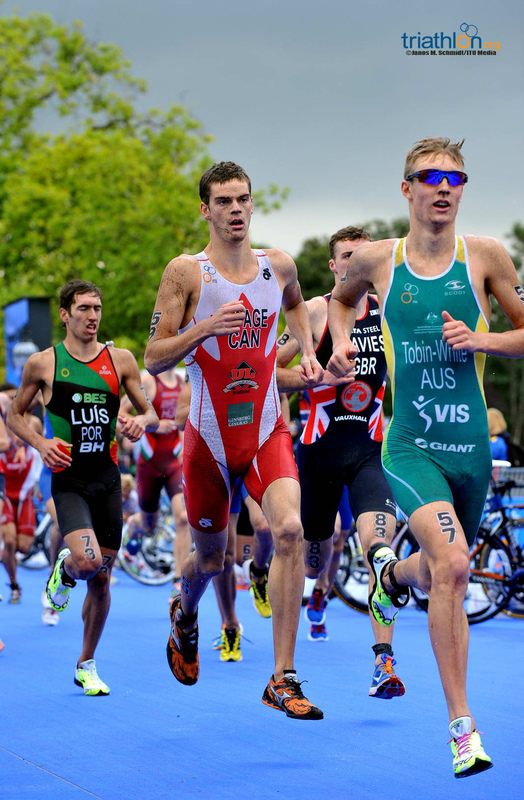 Ryan Sissons (NZL) has also begun to make a name for himself as one to watch. 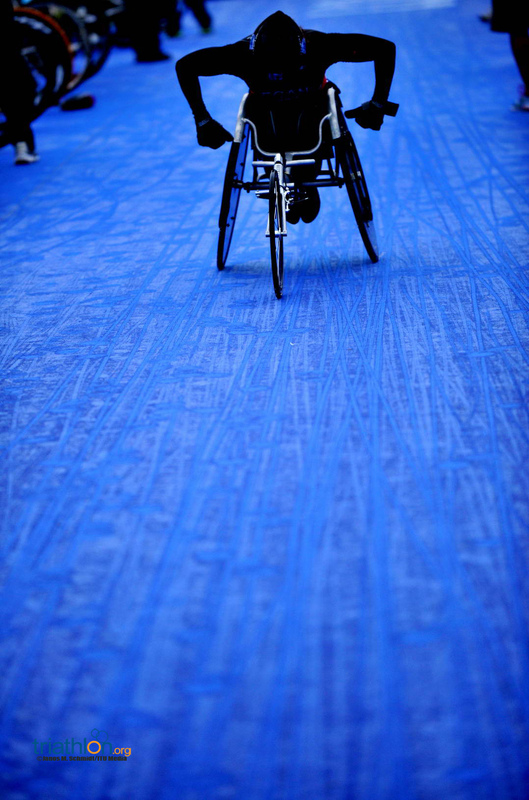 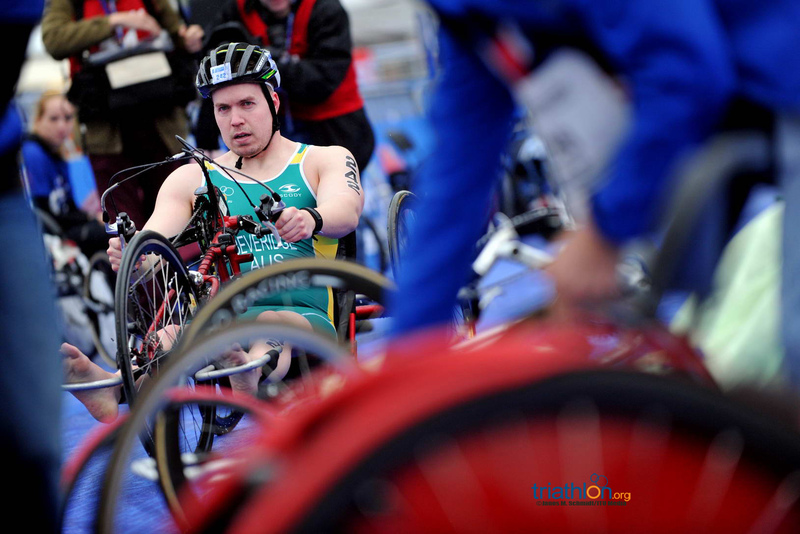 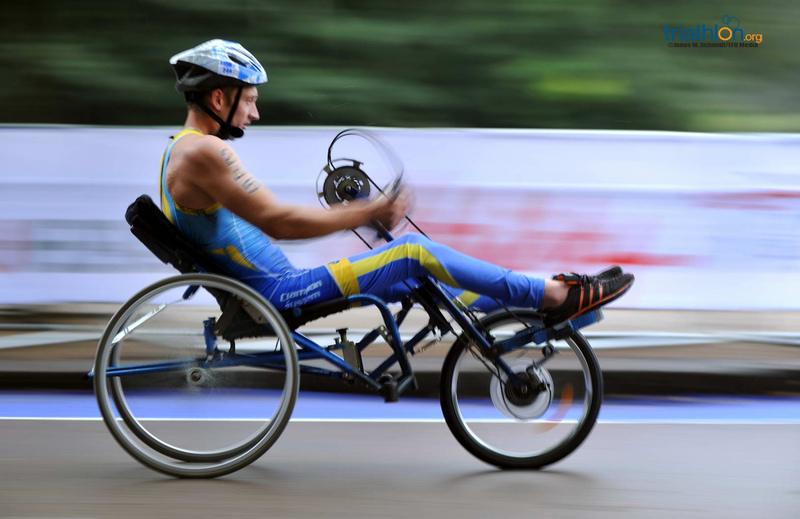 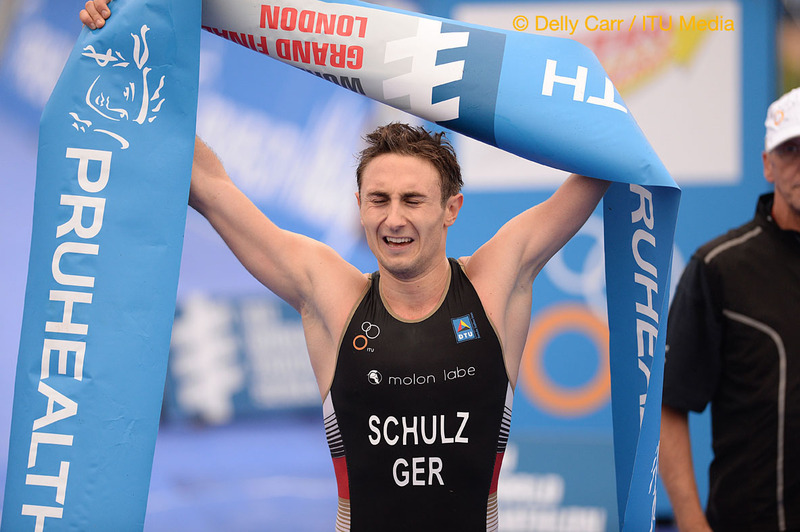 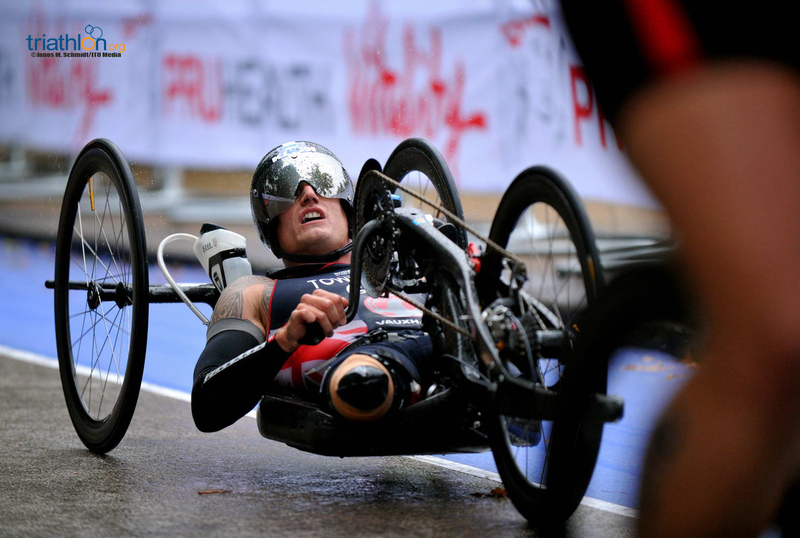 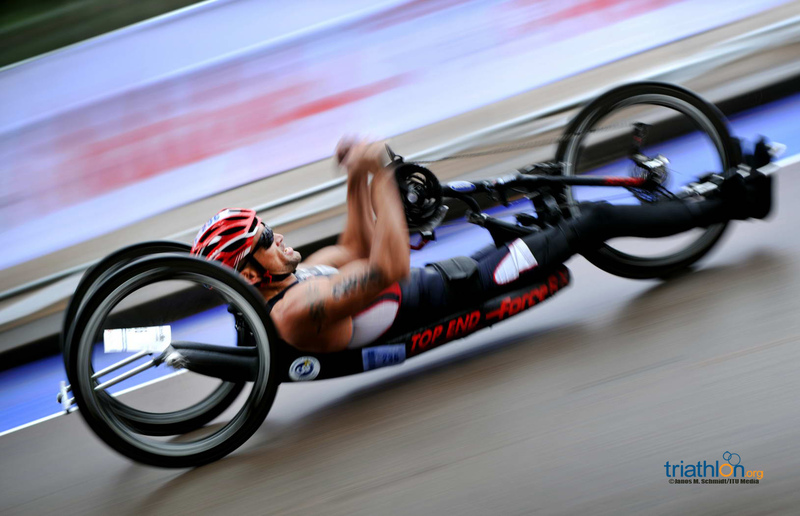 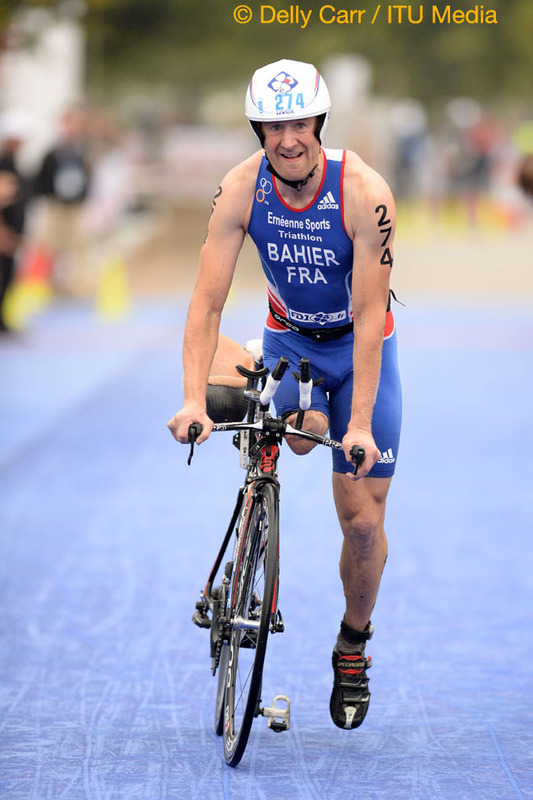 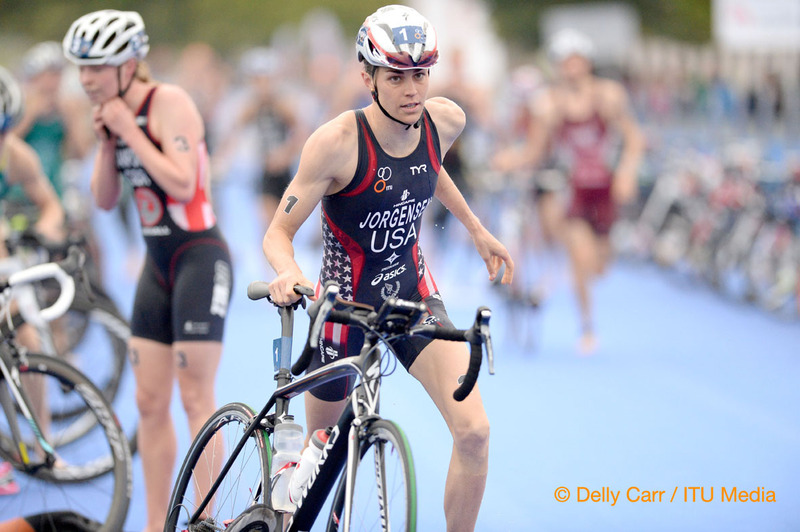 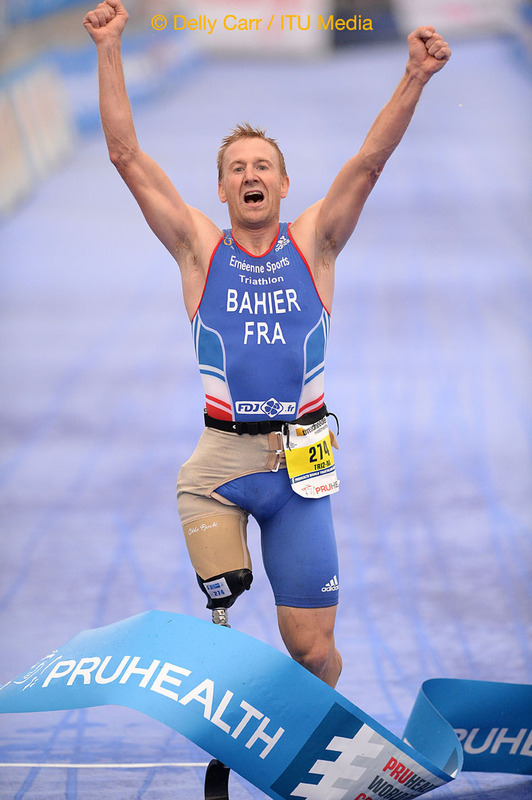 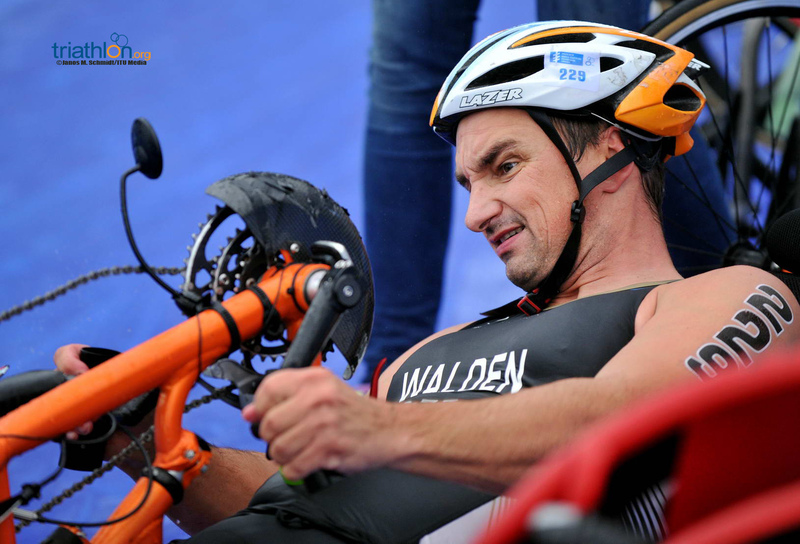 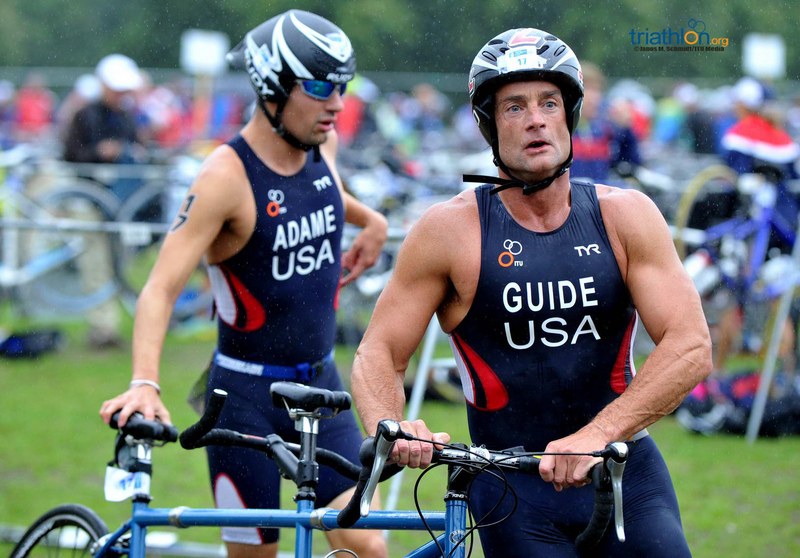 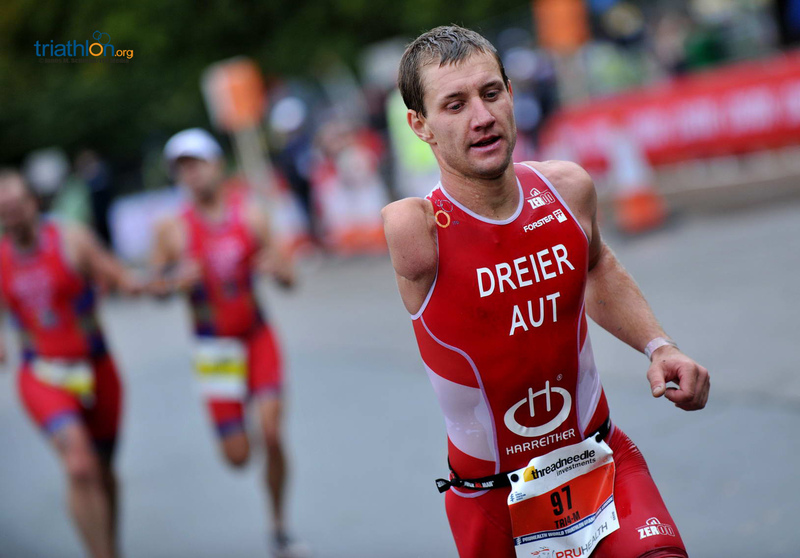 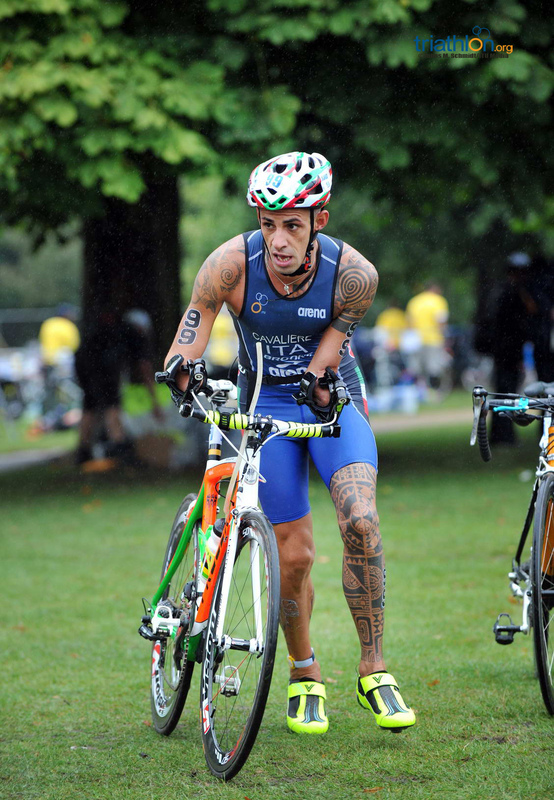 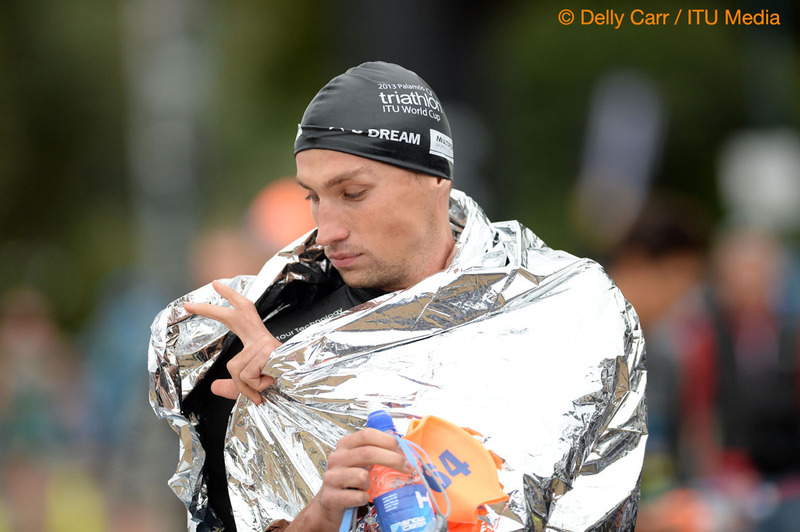 His improved capacity on the bike made him a contender in Kitzbuehel and Hamburg. 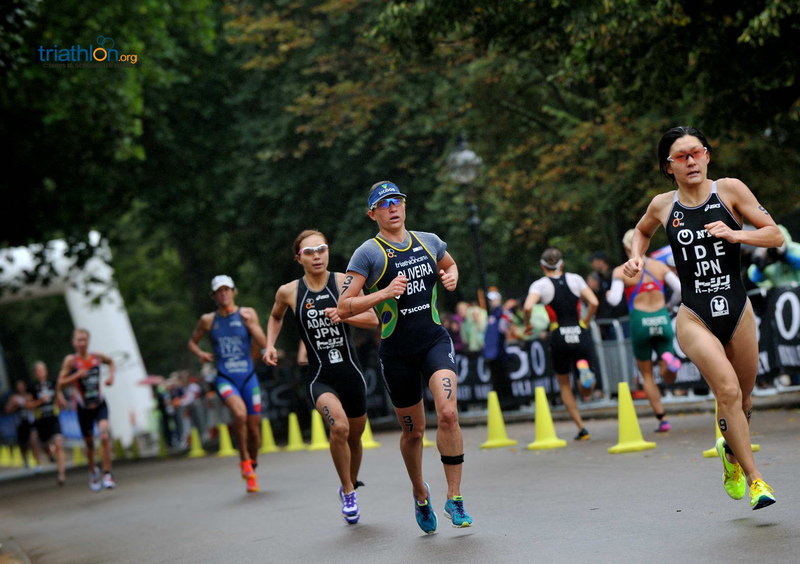 Like Sissons, Henri Schoeman (RSA) made drastic improvements in his performances this year, finishing as has as fourth finish on the tough course in Kitzbuehel in his rookie appearance on the WTS circuit. 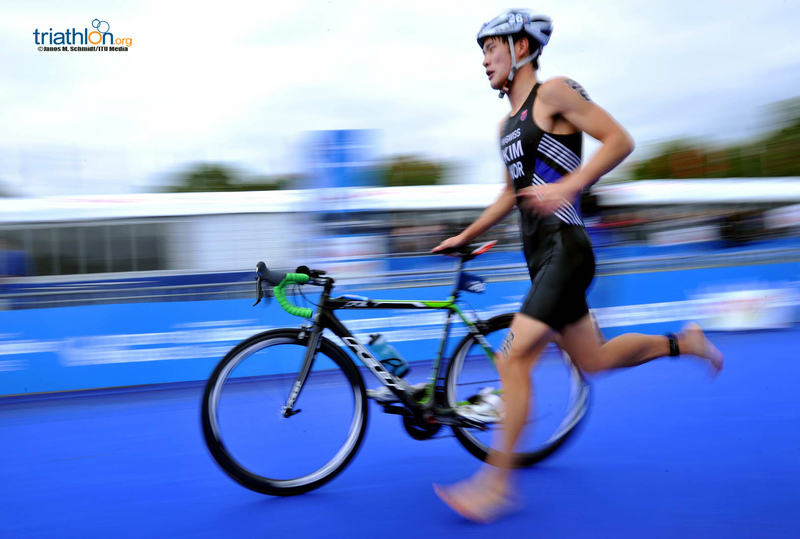 Schoeman can swim and bike with the best of him, so expect the South African to be amongst the leaders early in the race. 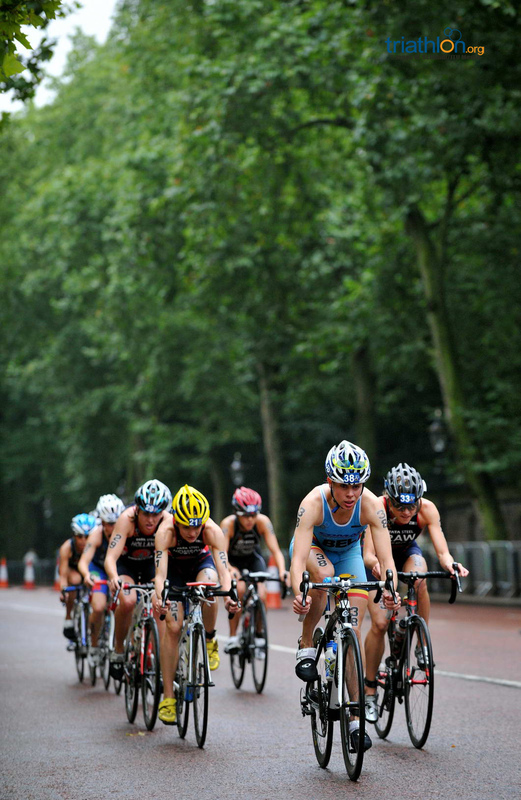 While injuries have derailed part of Steffen Justus’ season, he has fond memories of London after finishing second here in 2009. 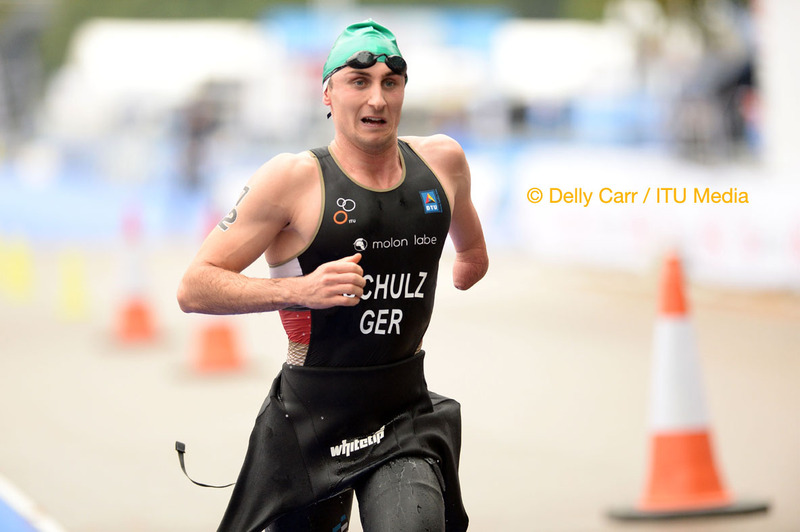 Laurent Vidal (FRA) has also struggled to find his rhythm this year, but is generally a strong performer as his fifth-place finish at the Olympics demonstrated. 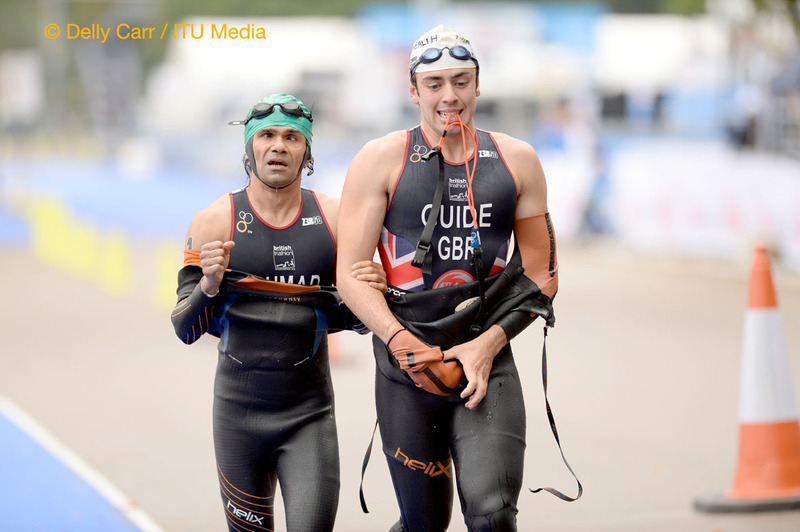 Vidal will have the help of teammate David Hauss, who finished just off the podium at the Olympics but hasn’t yet raced in an ITU event this year. 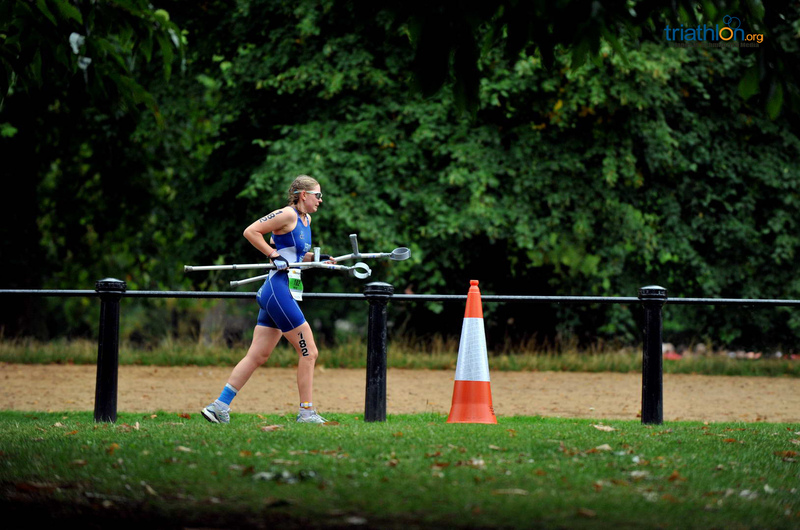 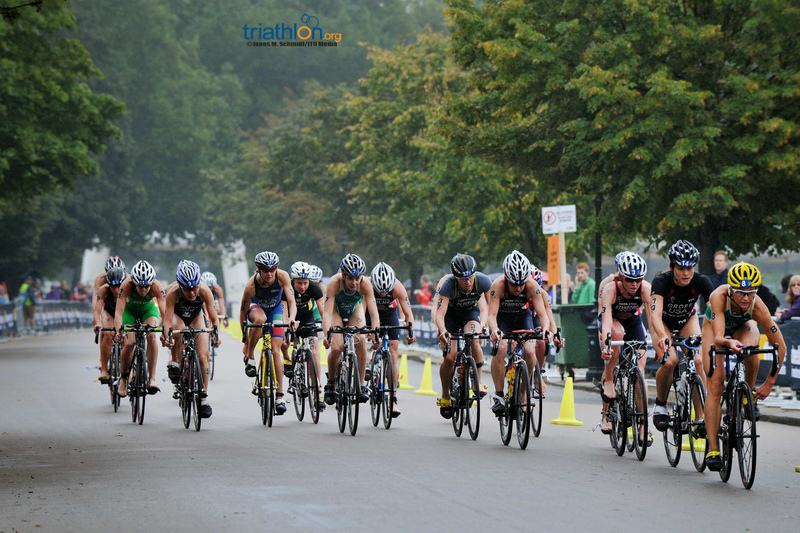 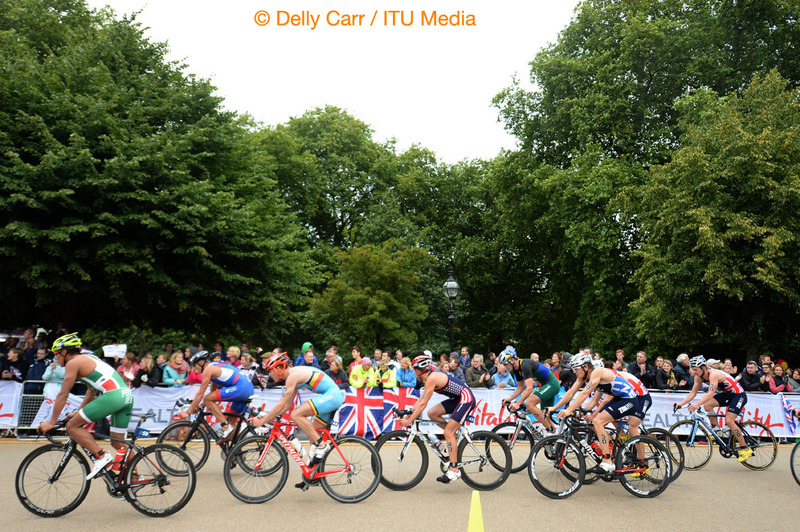 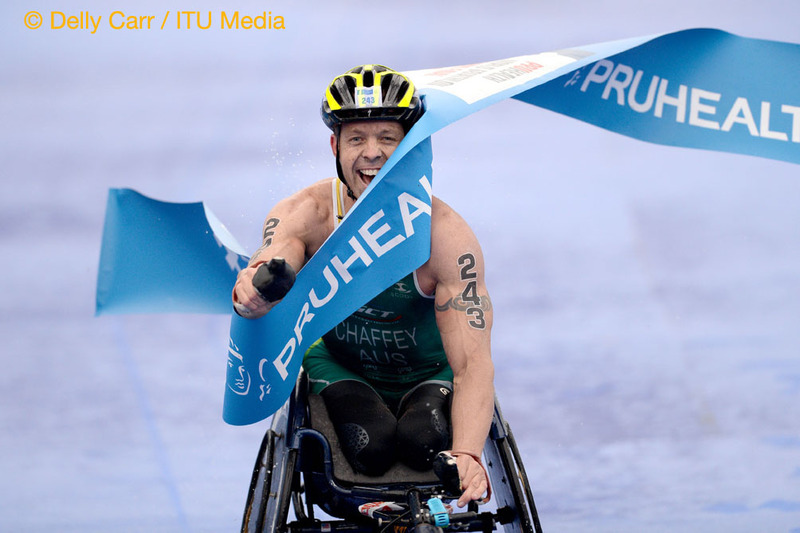 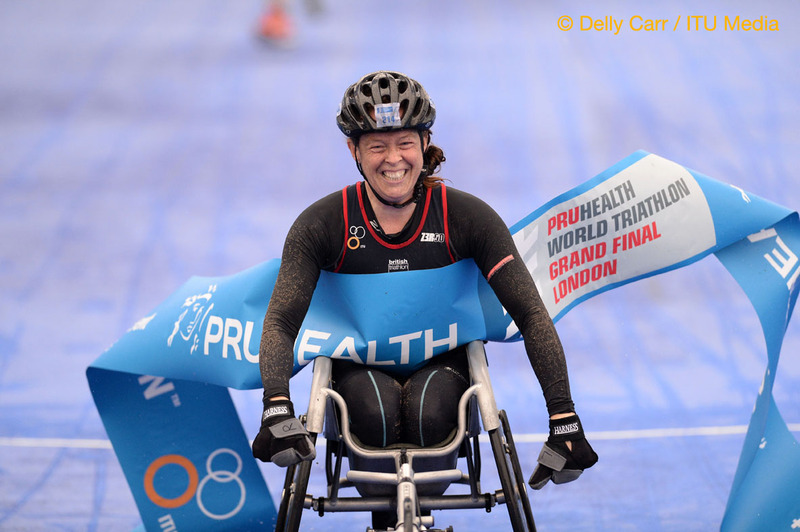 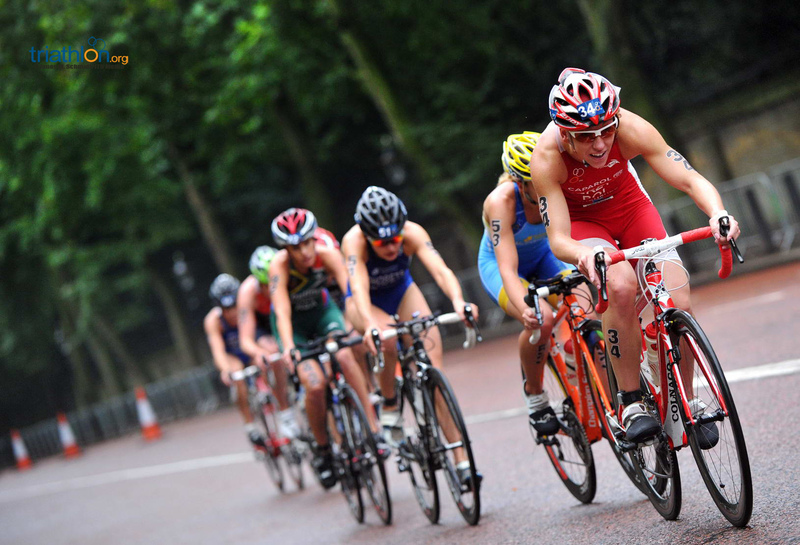 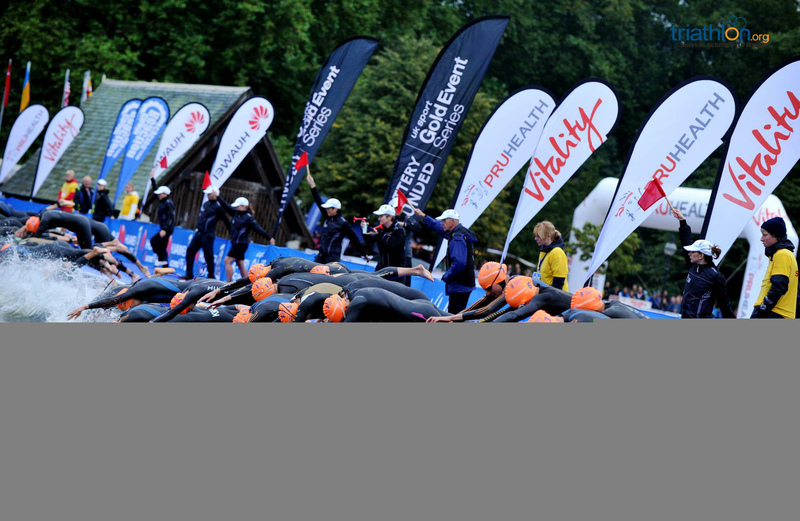 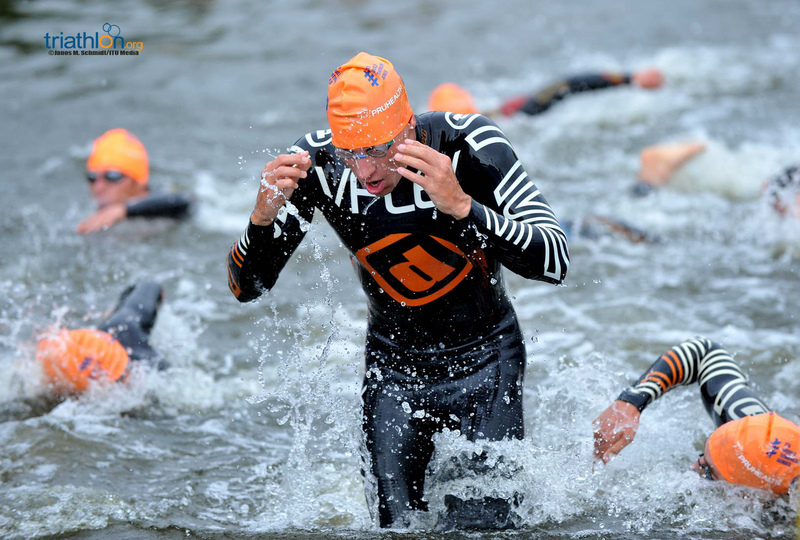 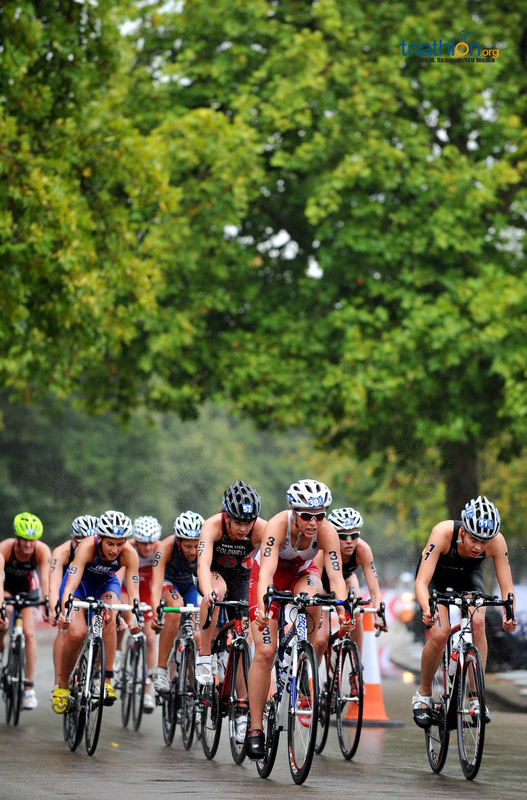 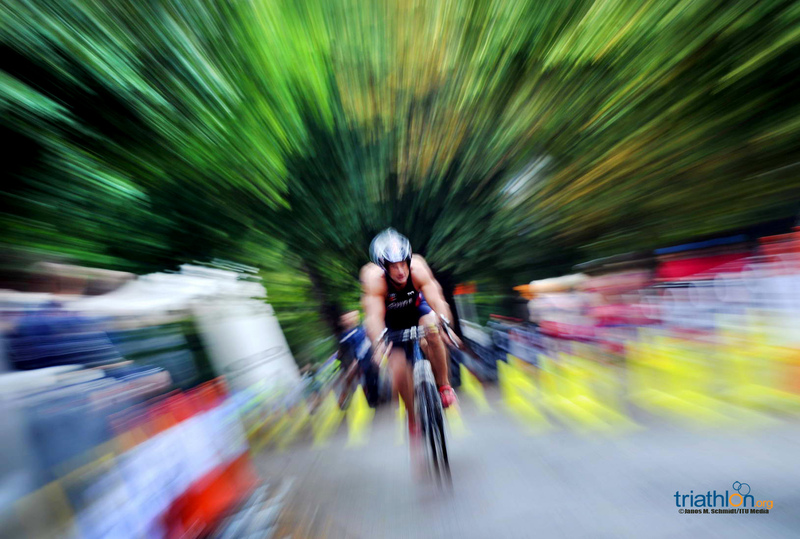 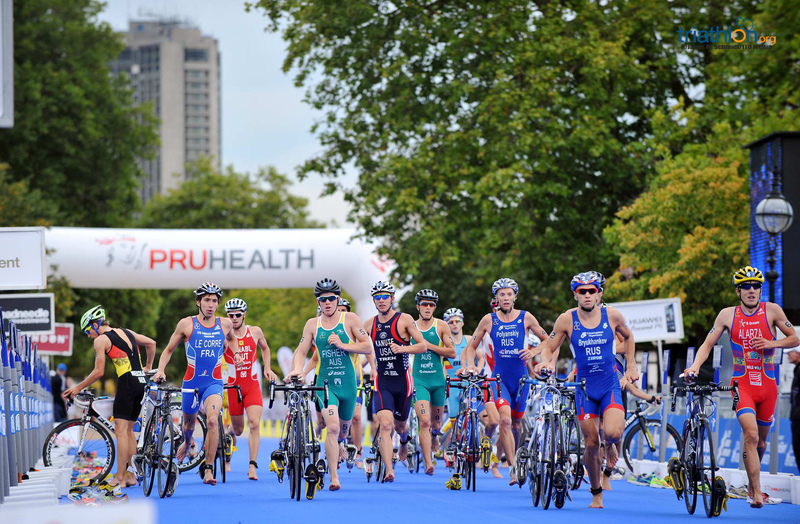 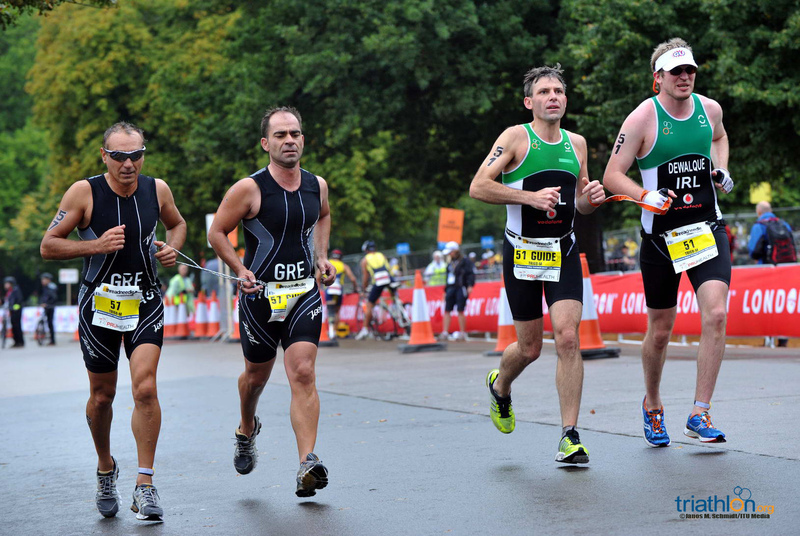 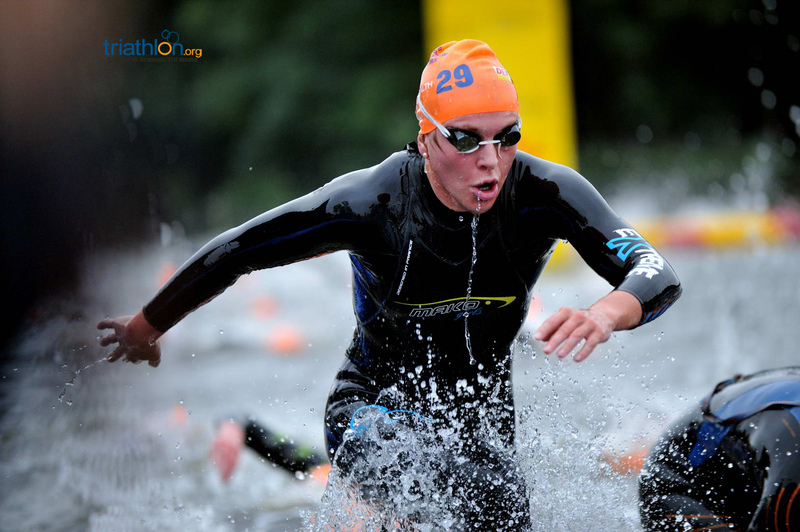 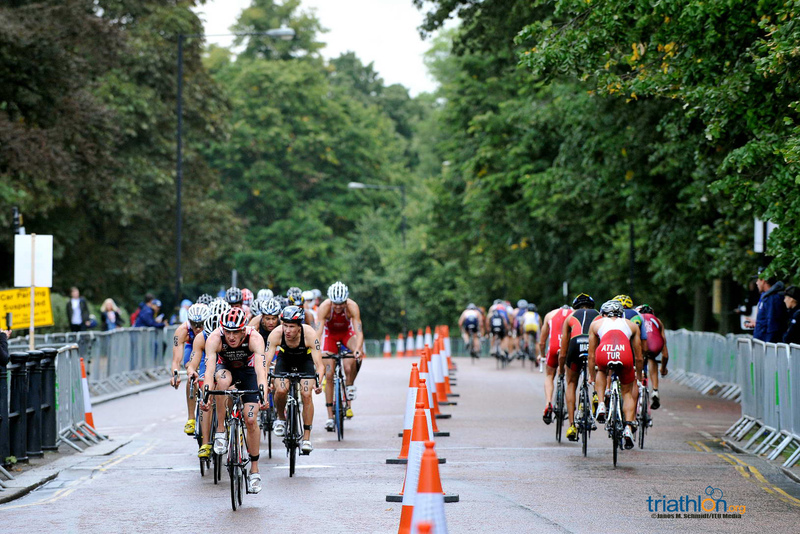 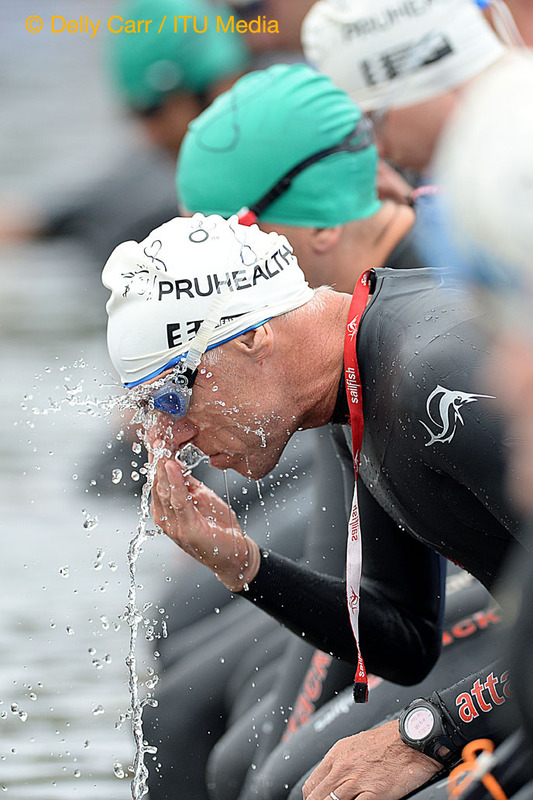 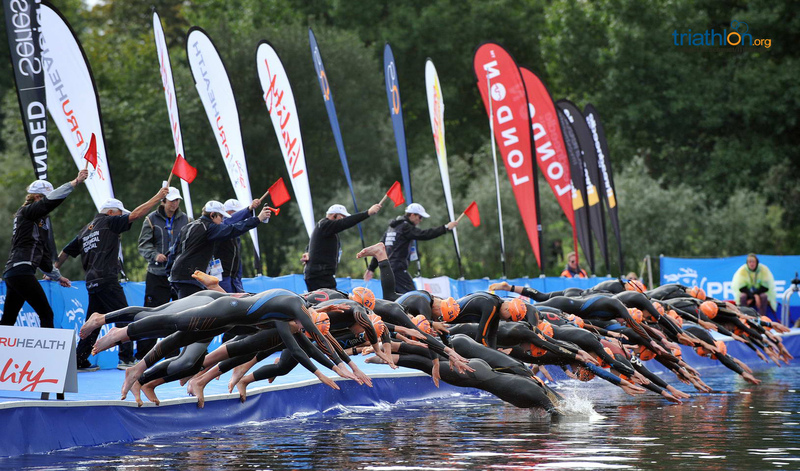 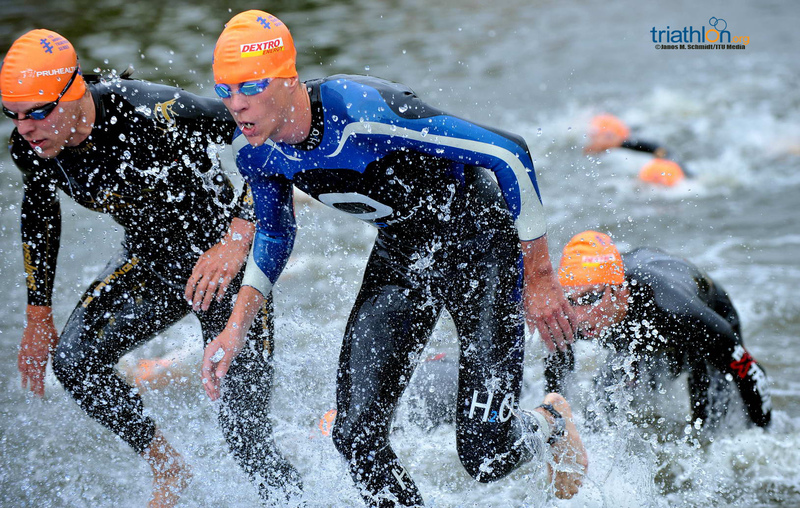 Don't miss a minute of all the action at the PruHealth World Triathlon Grand Final London next week. 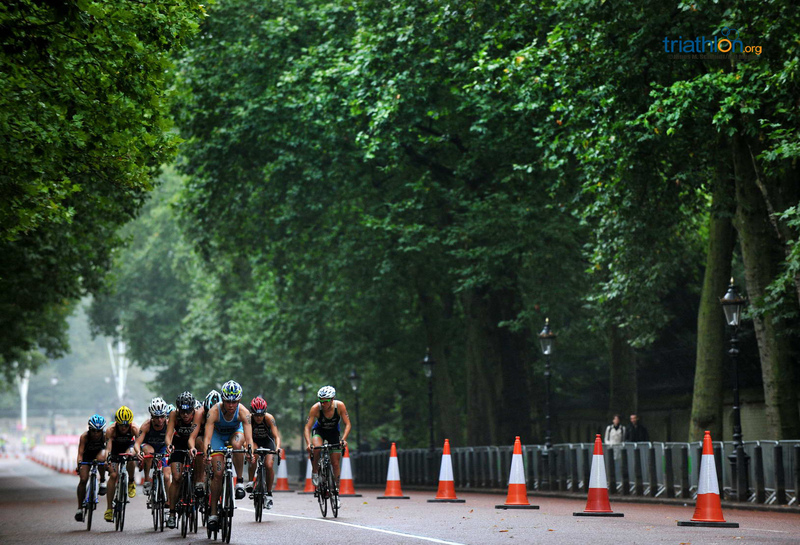 We've broken down when and where you can keep track of all races, and exactly what coverage will include. 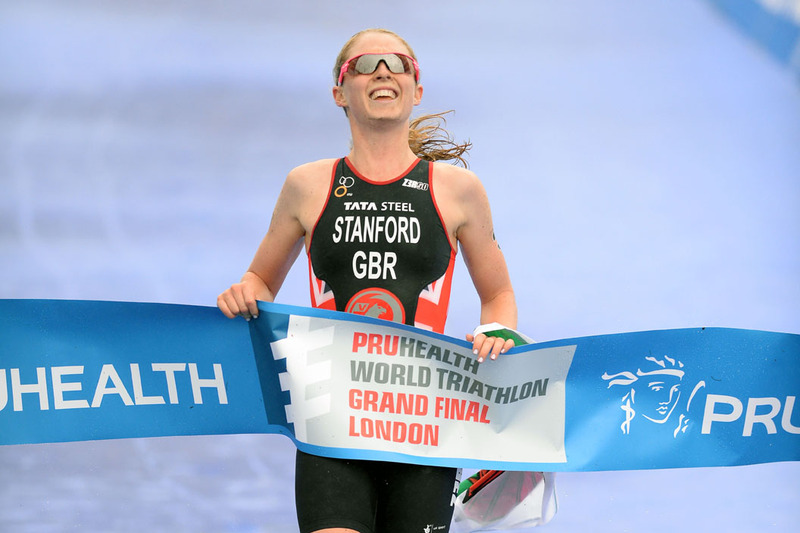 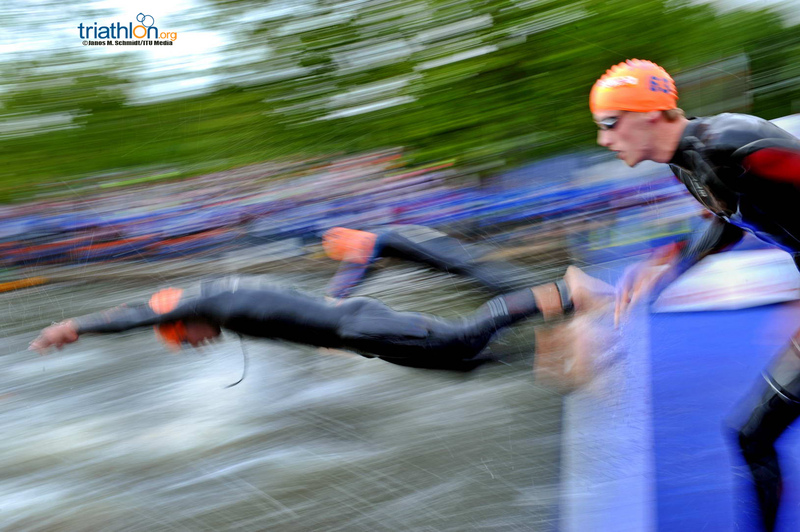 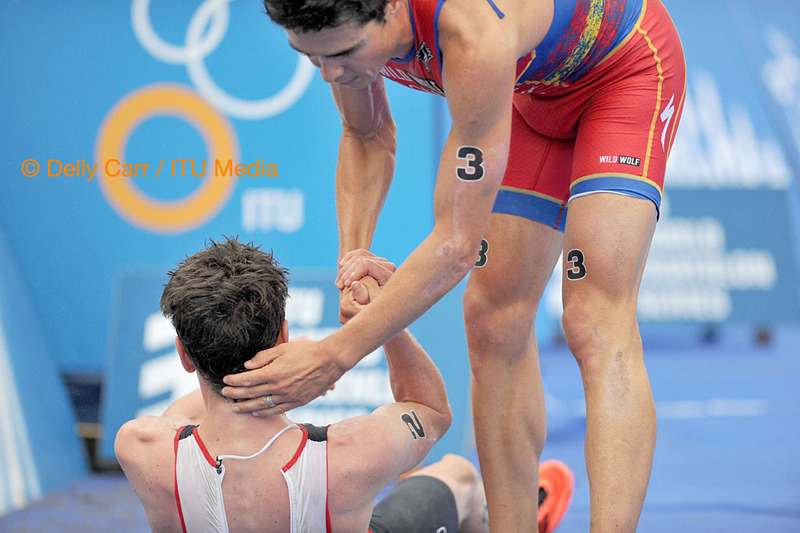 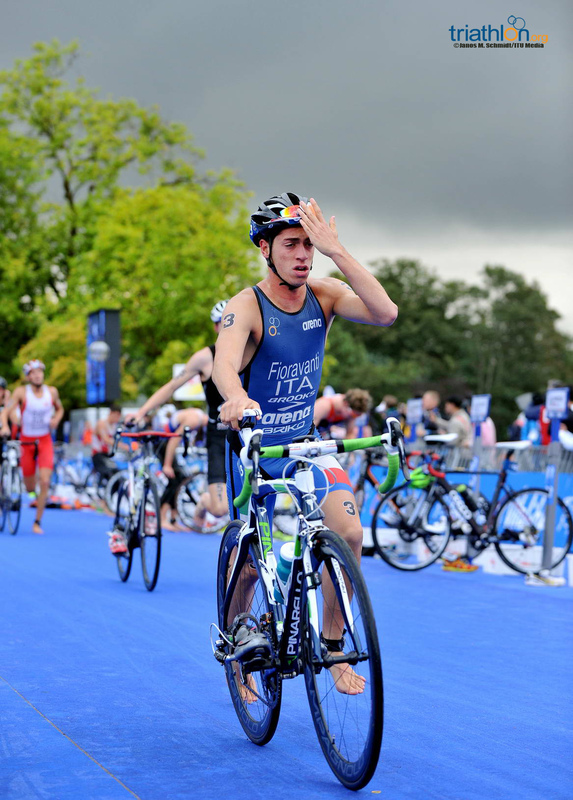 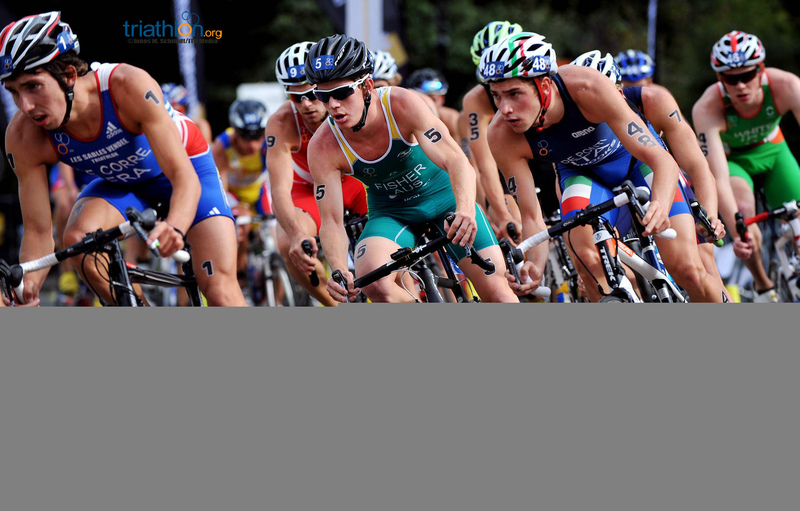 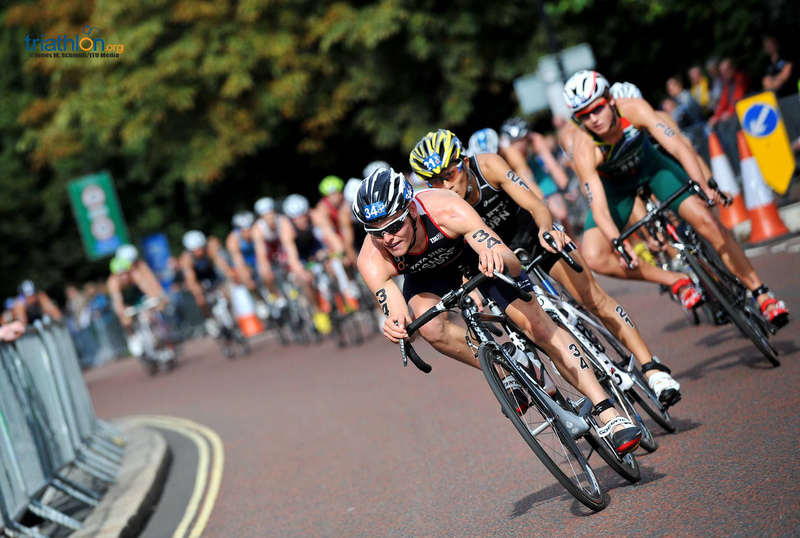 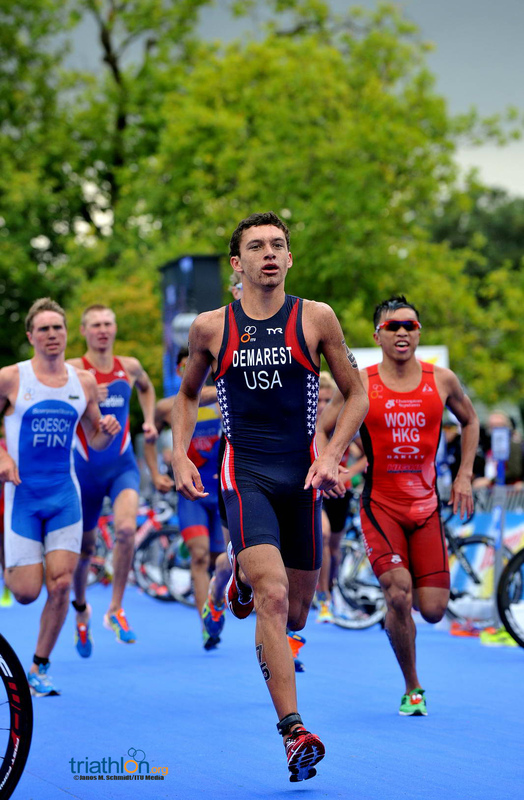 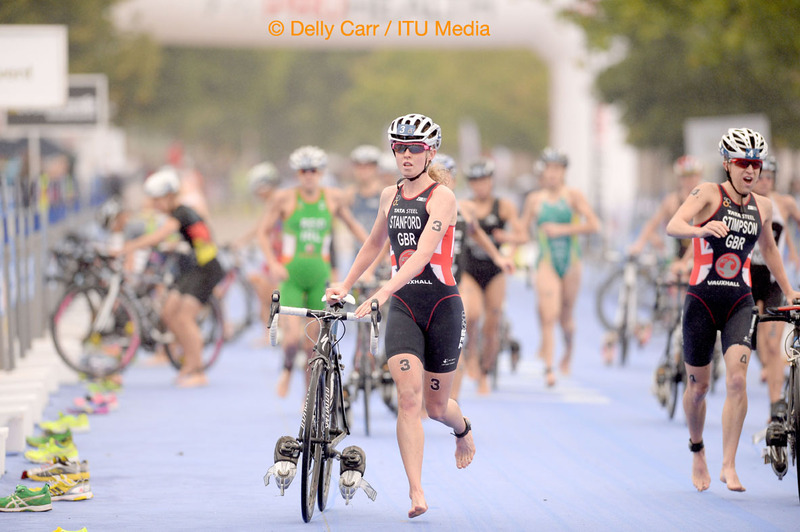 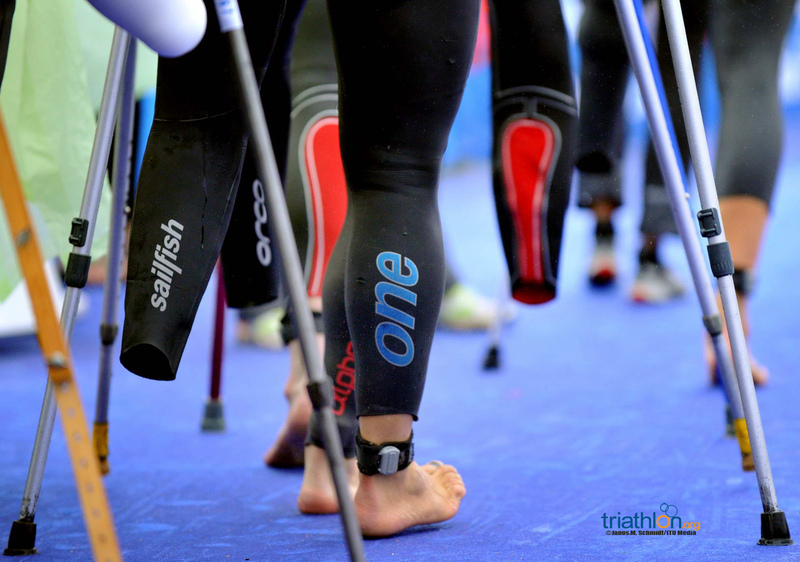 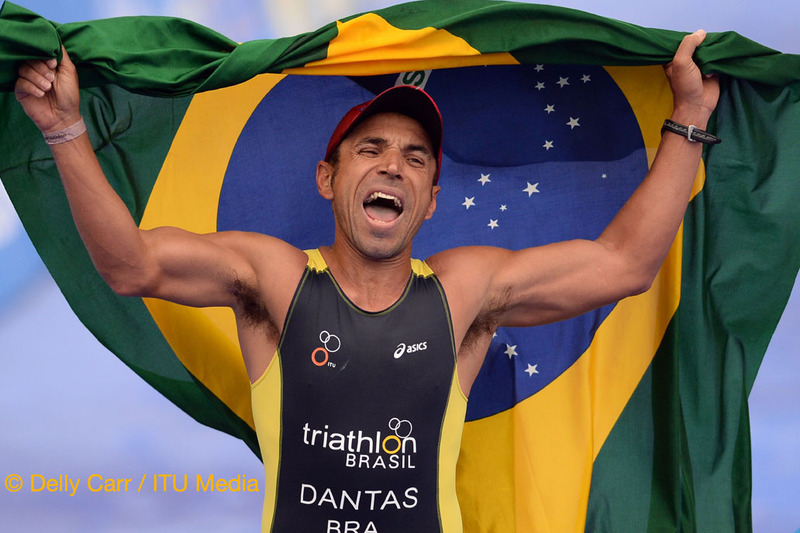 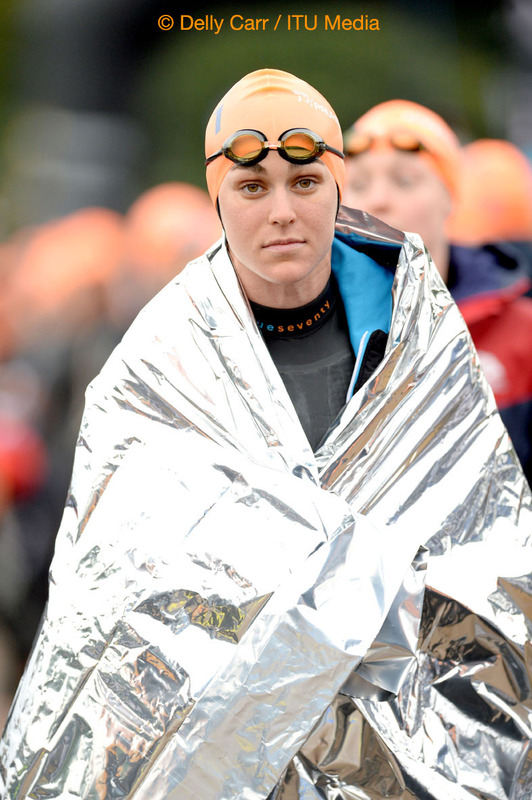 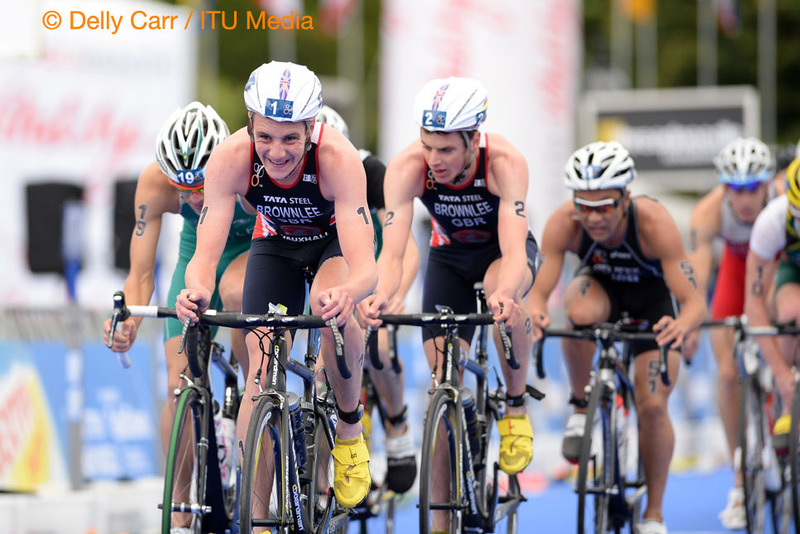 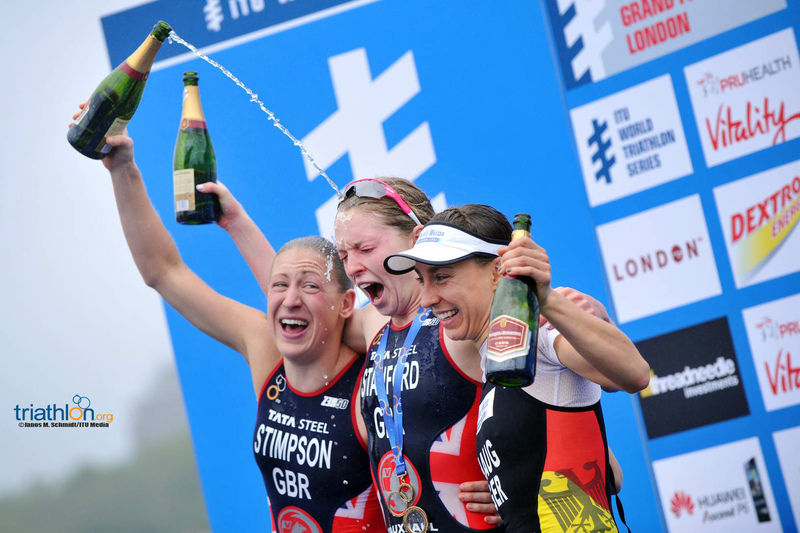 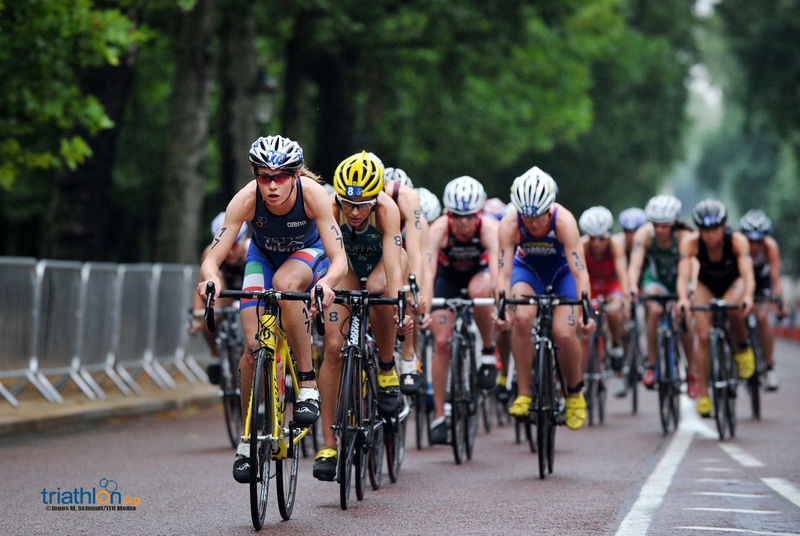 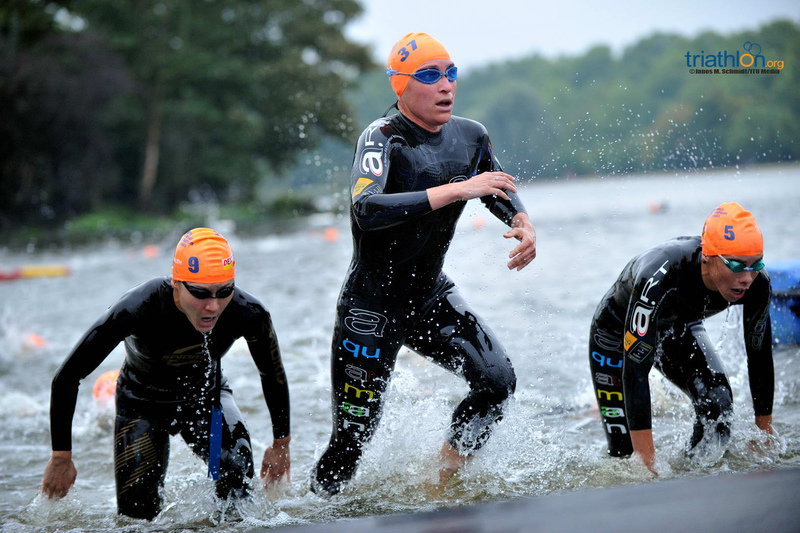 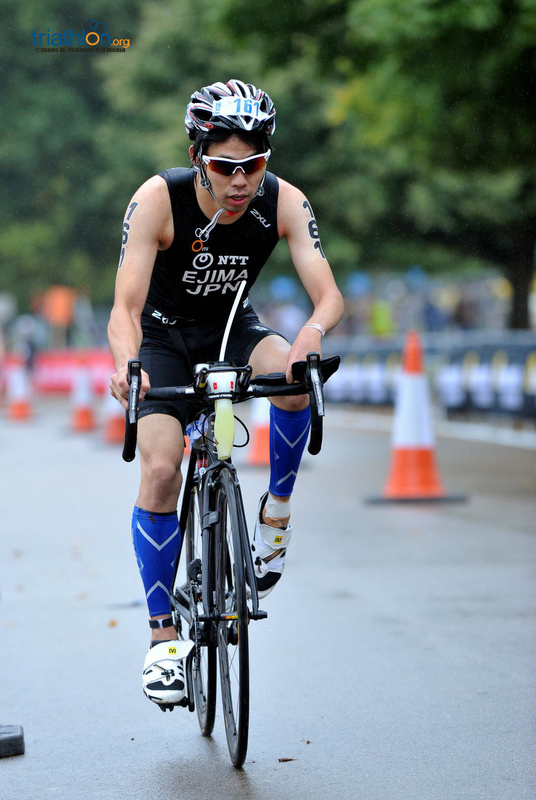 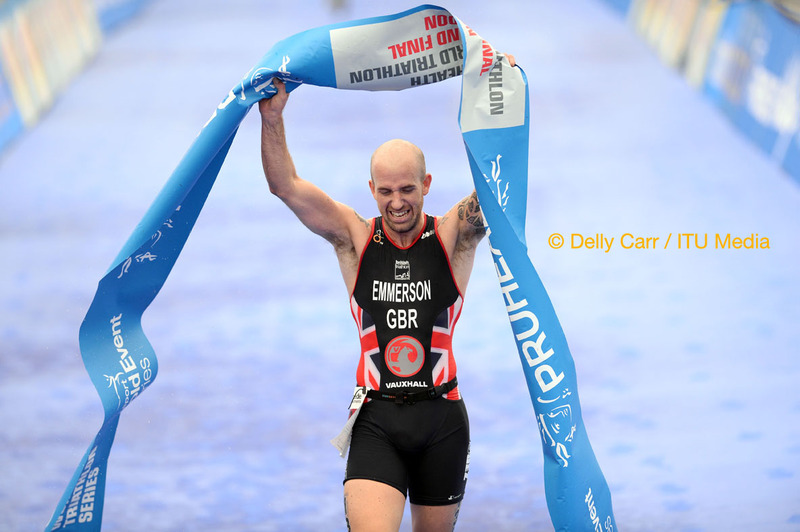 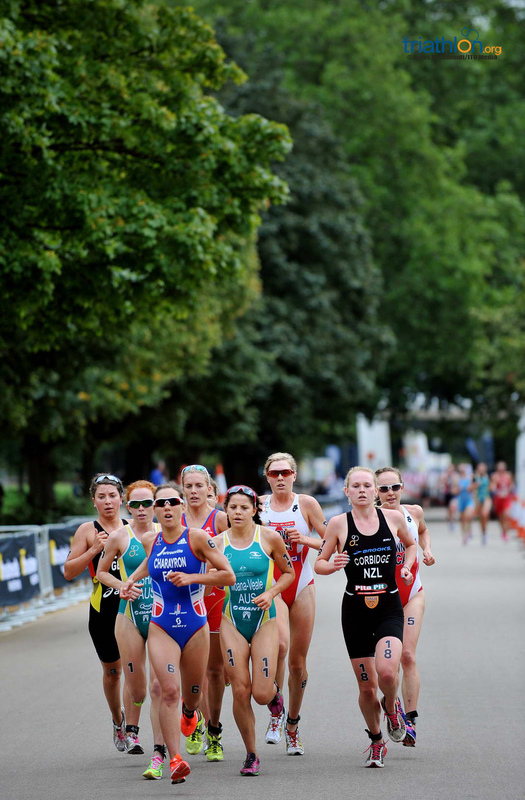 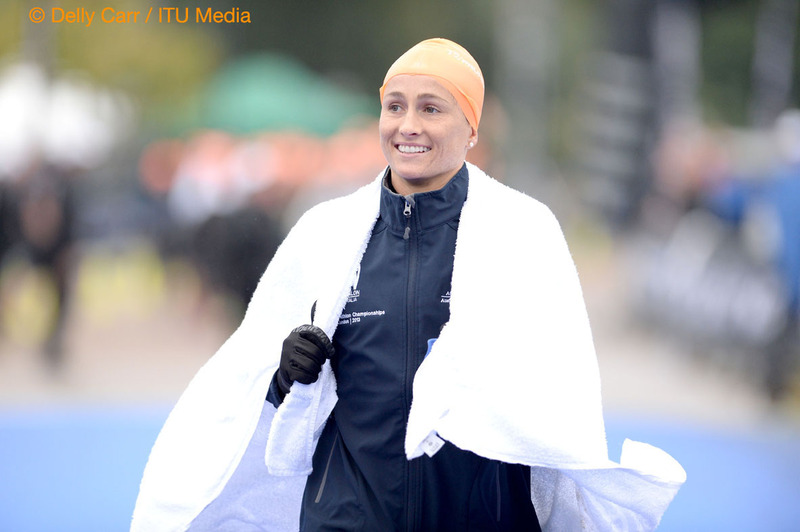 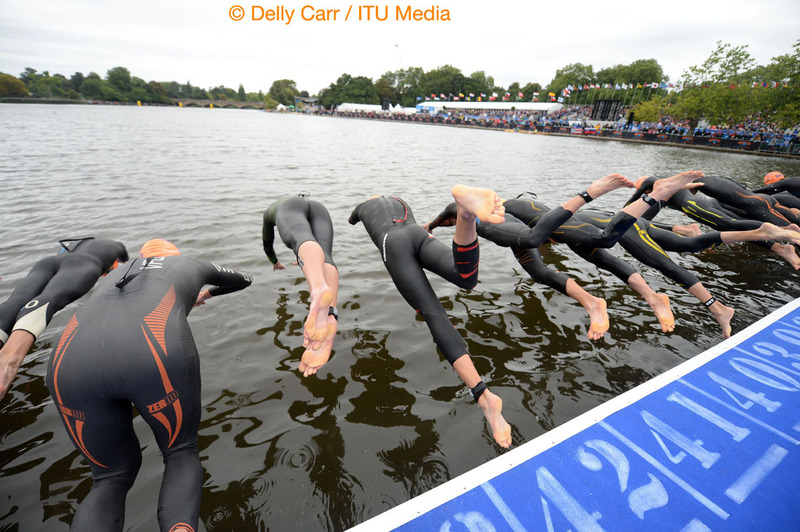 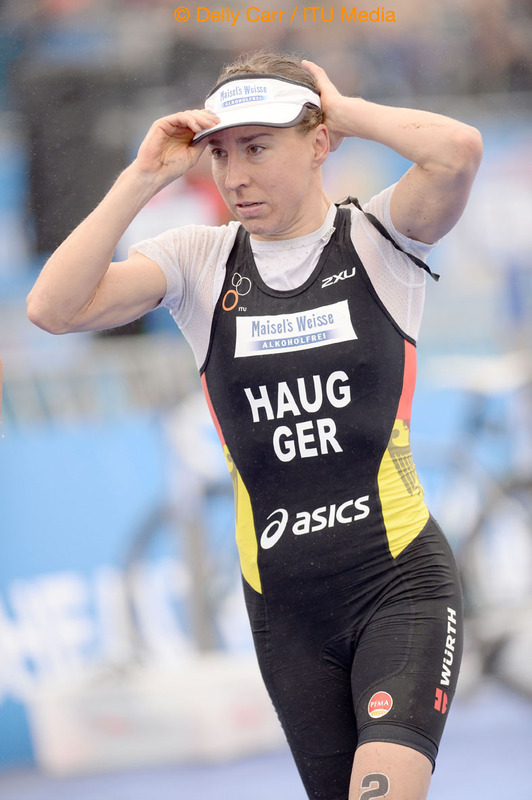 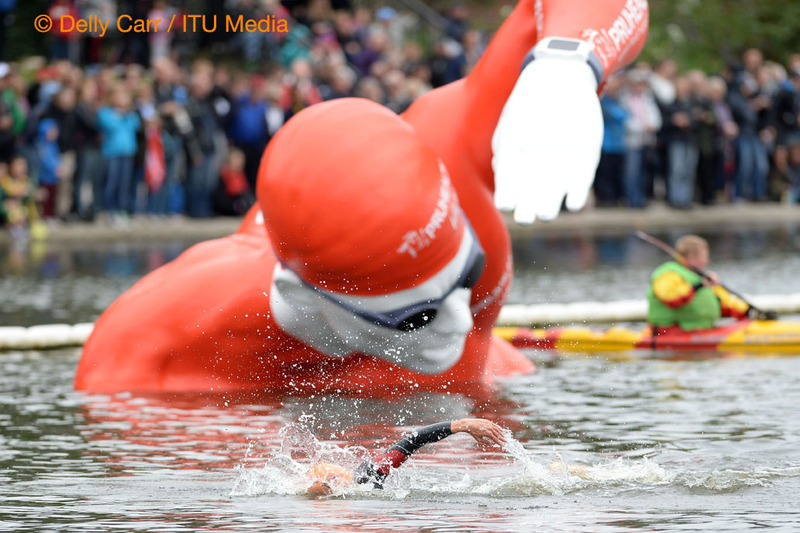 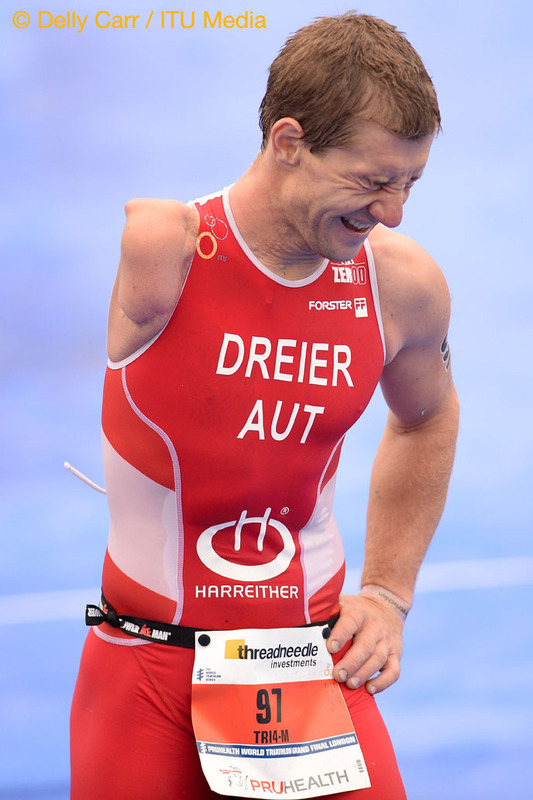 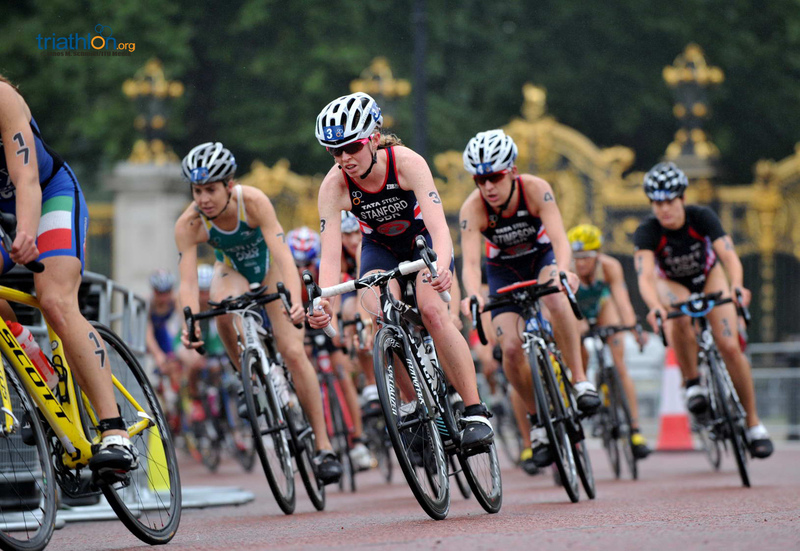 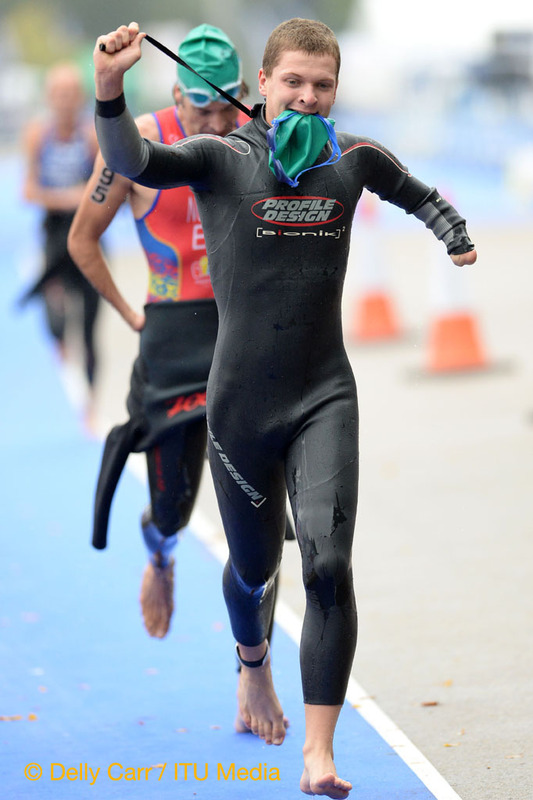 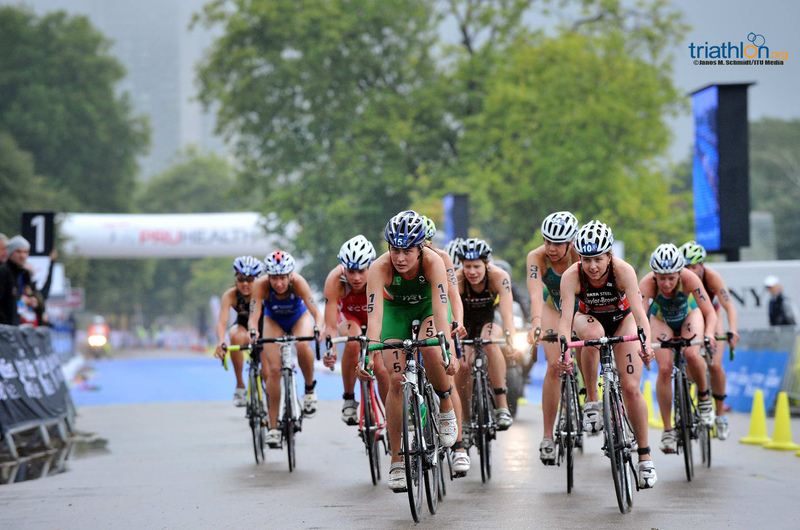 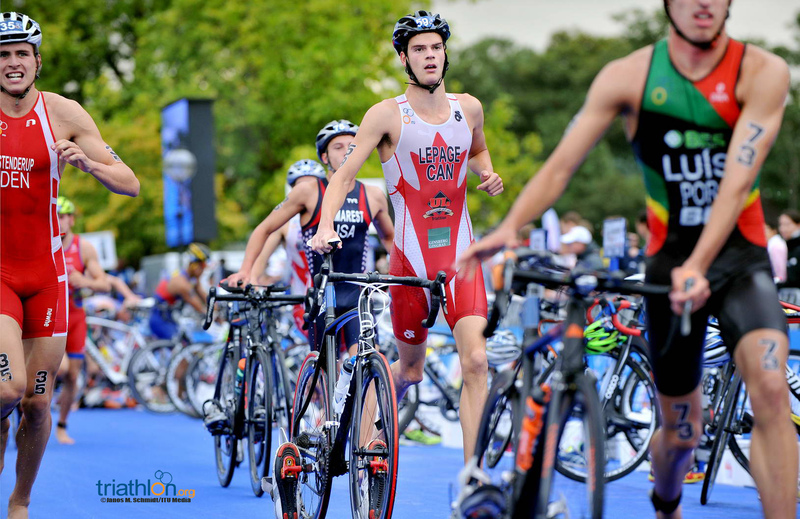 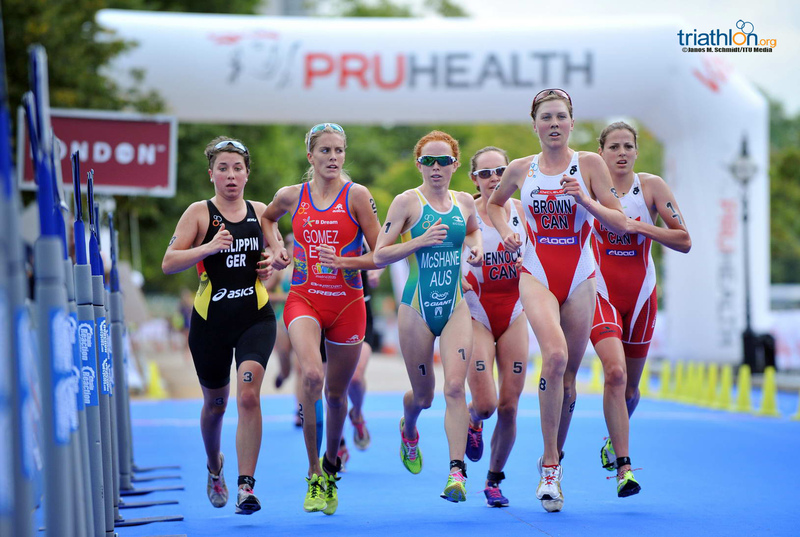 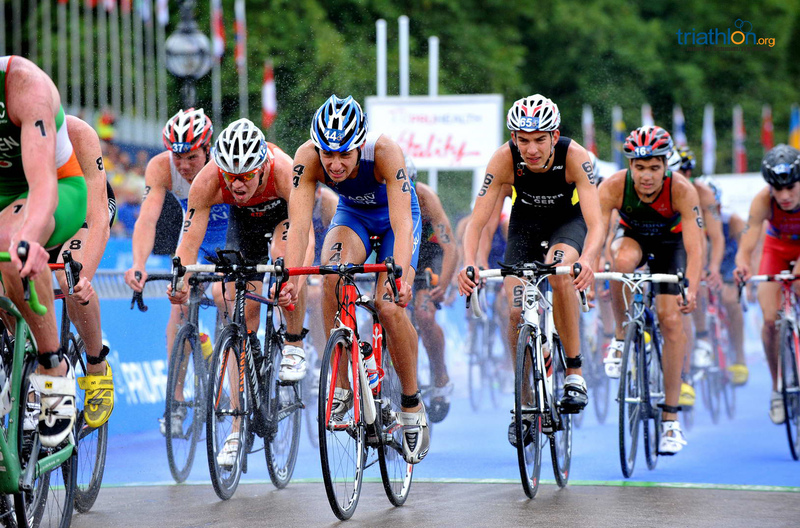 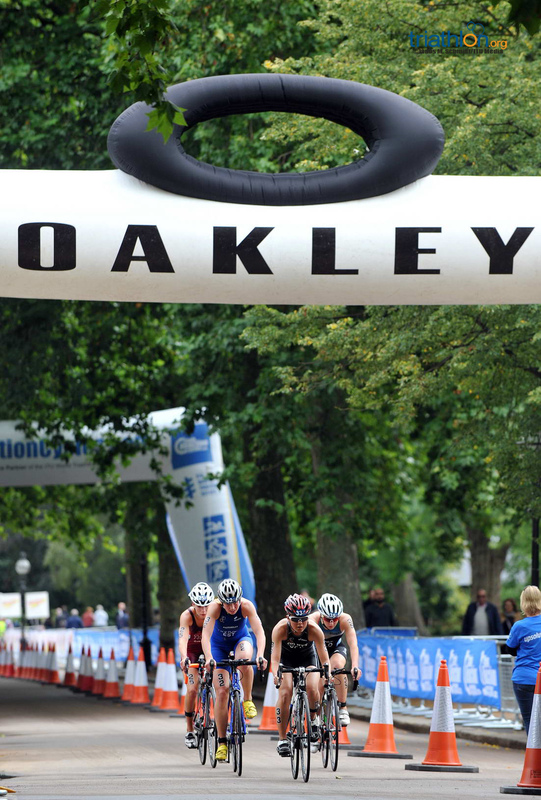 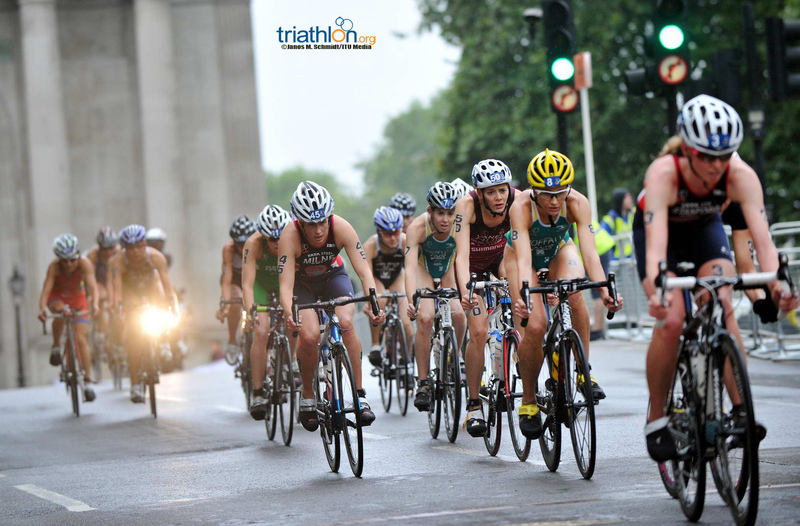 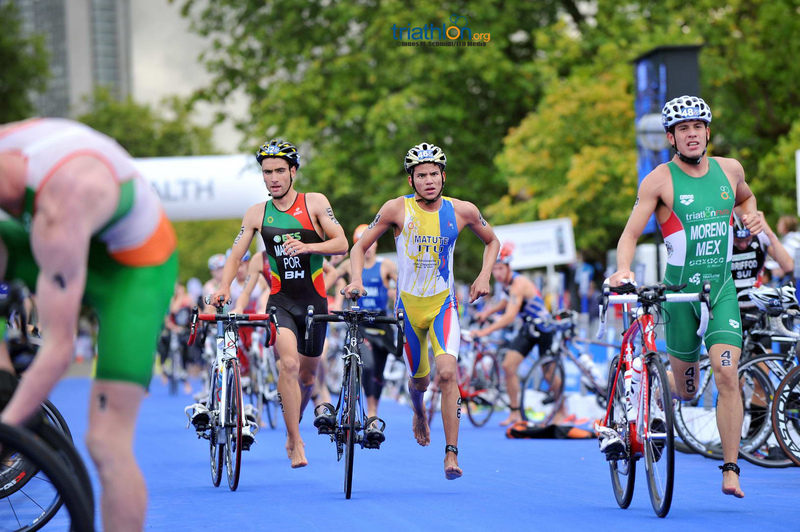 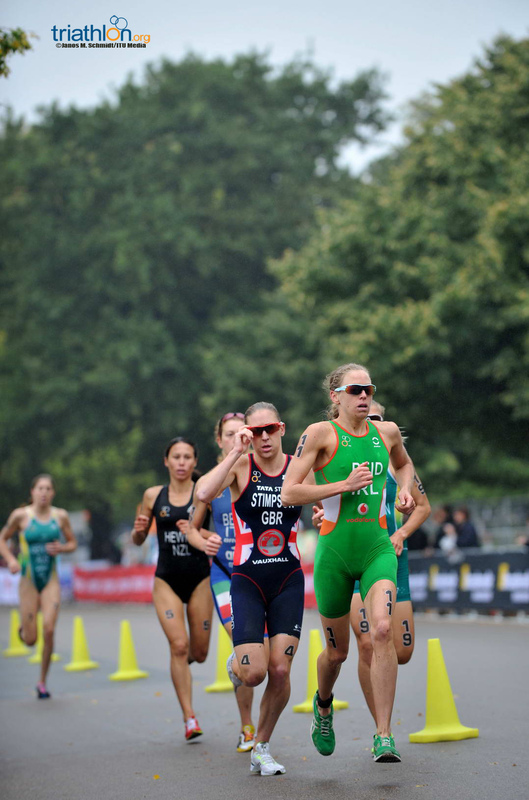 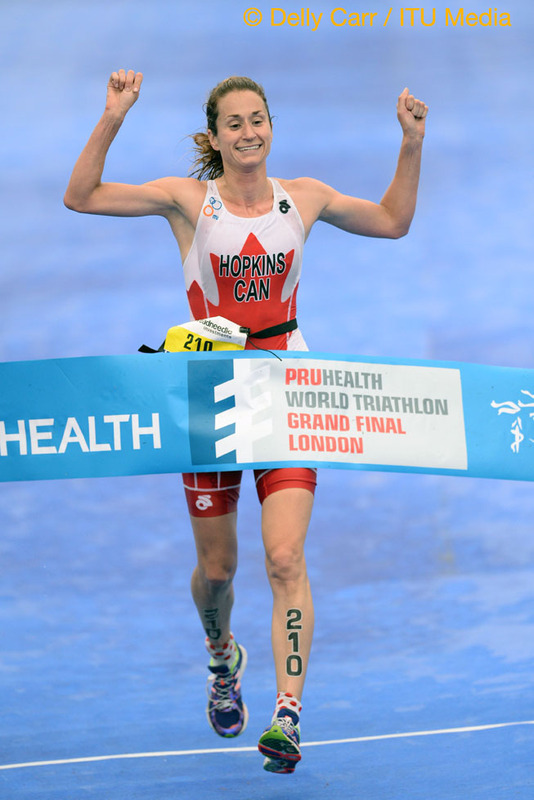 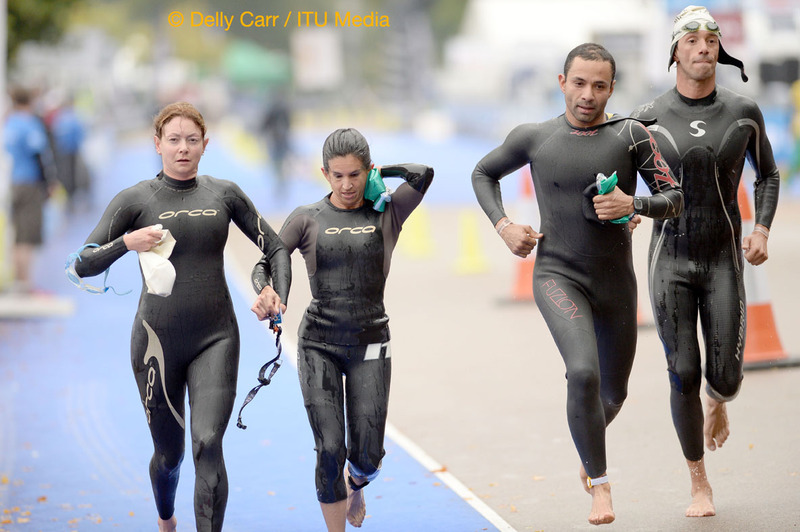 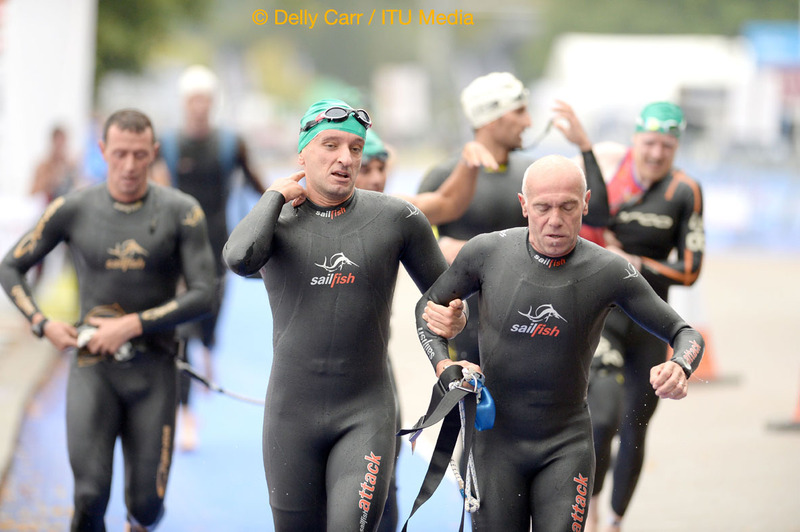 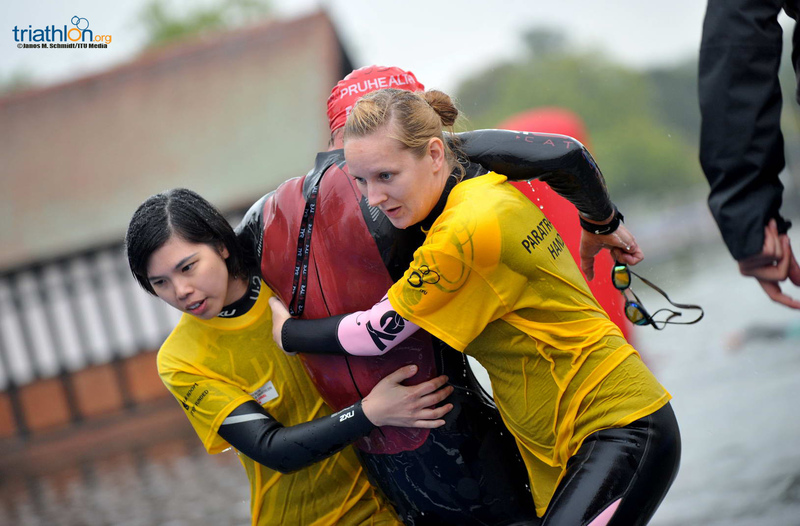 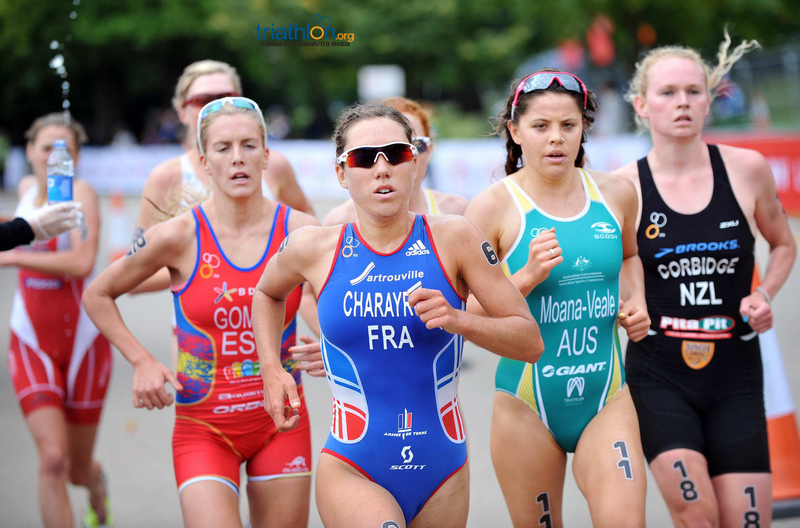 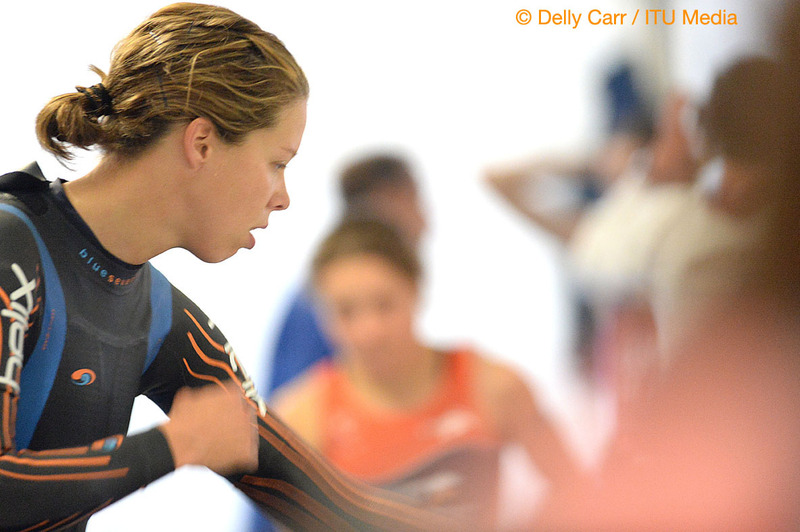 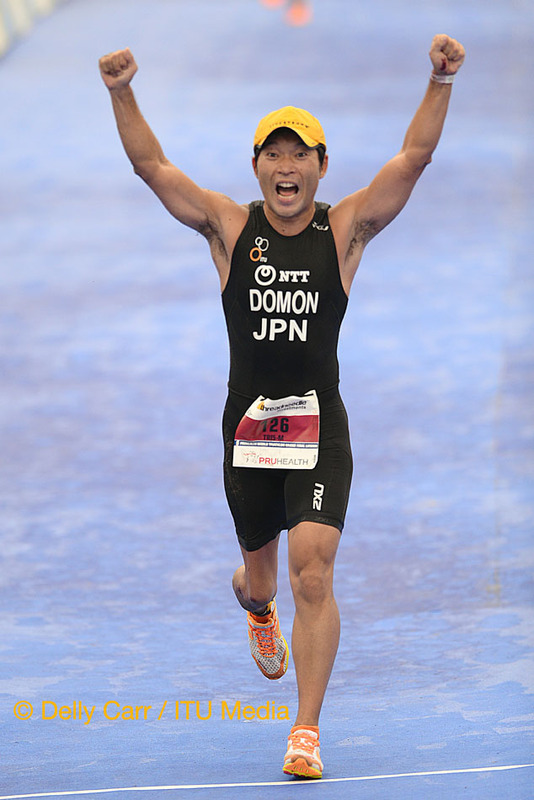 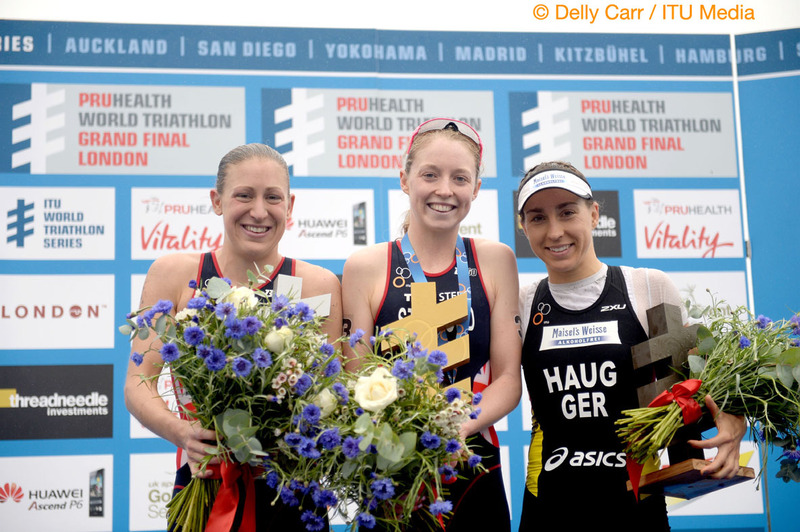 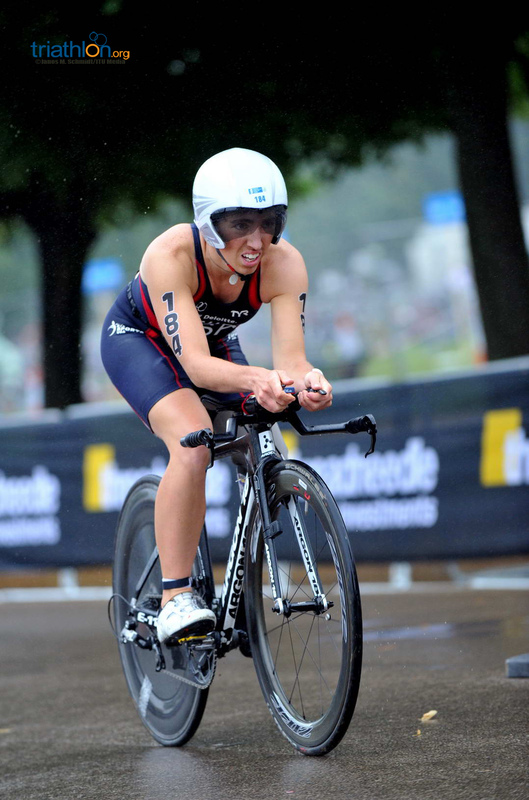 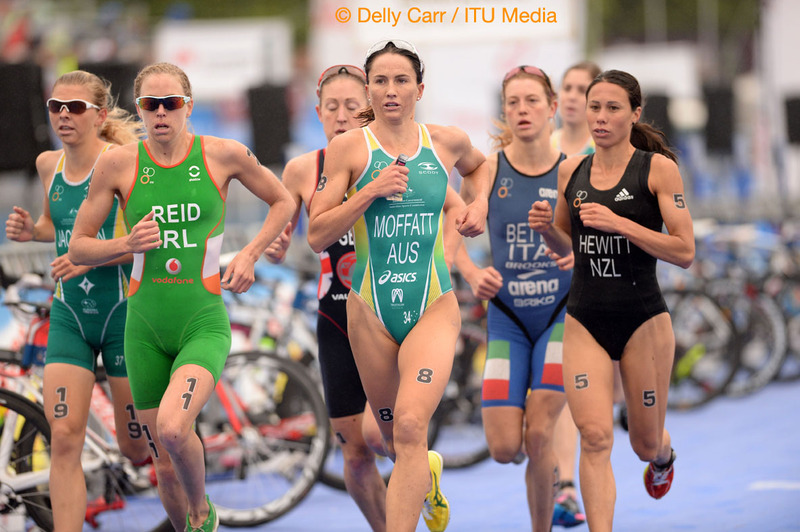 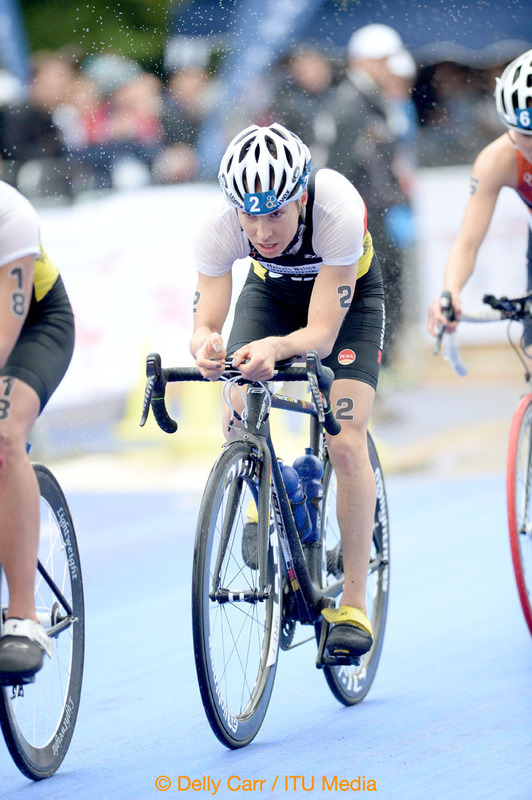 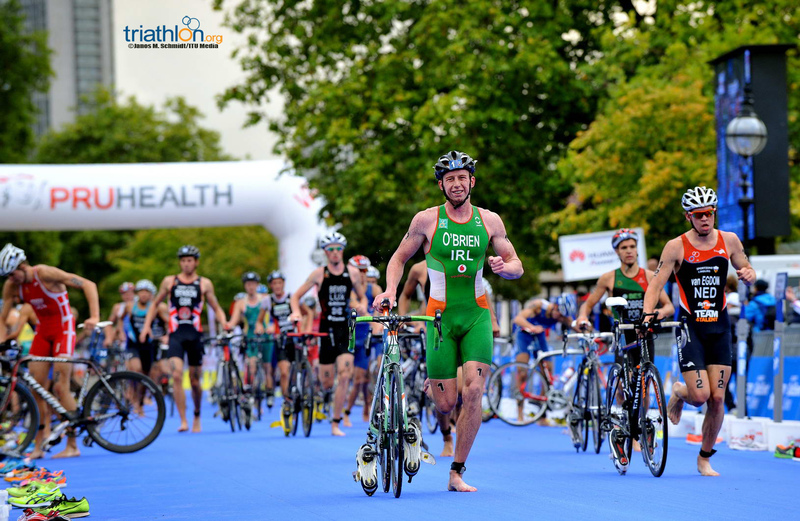 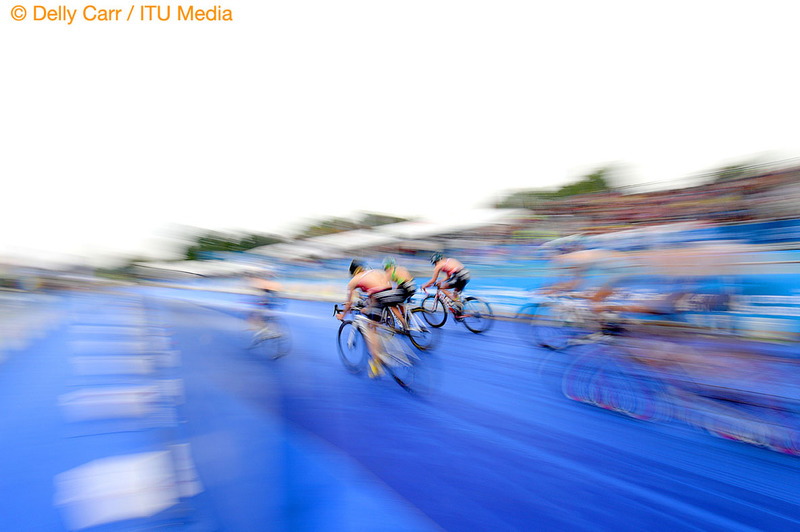 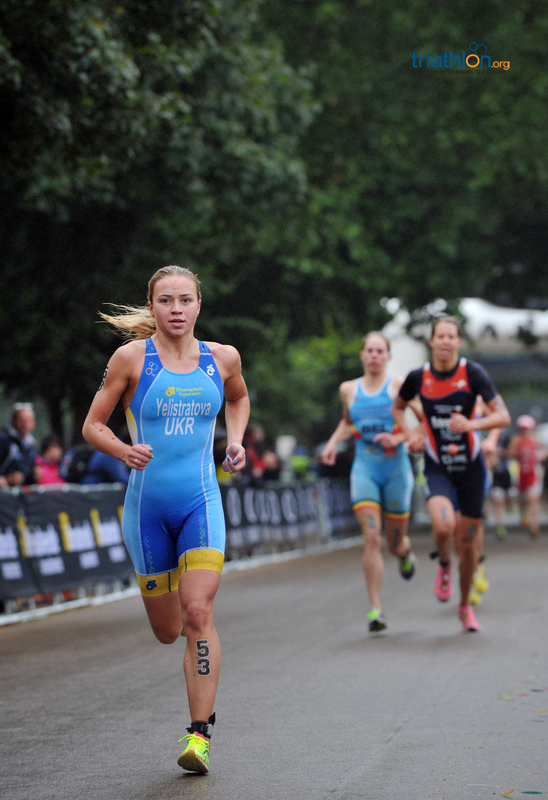 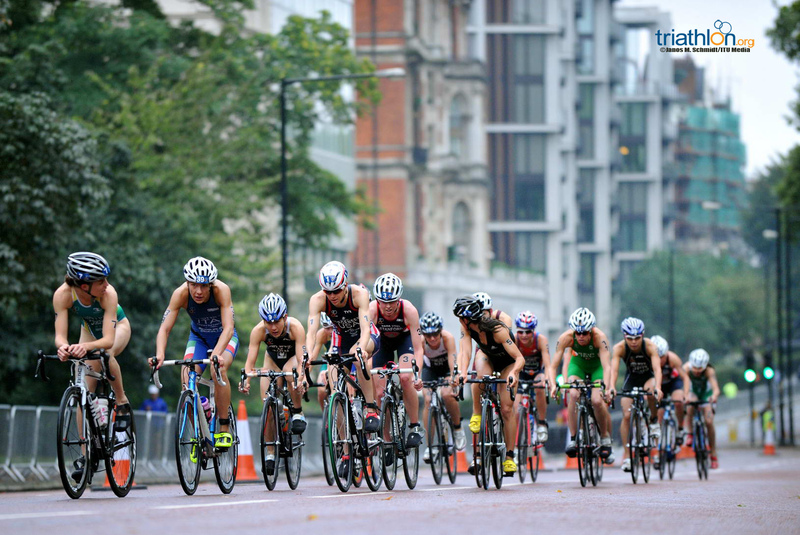 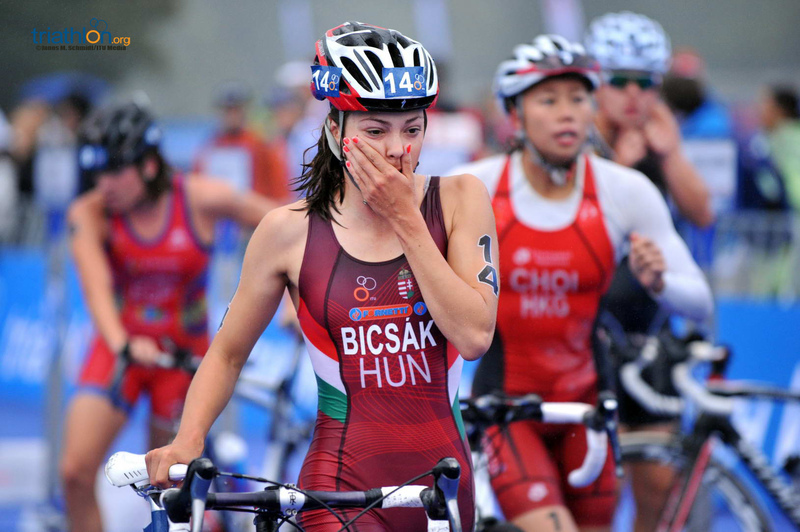 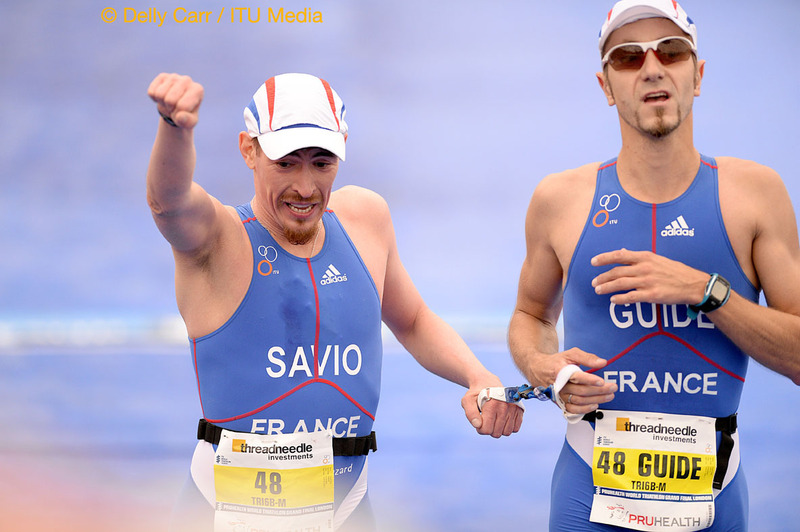 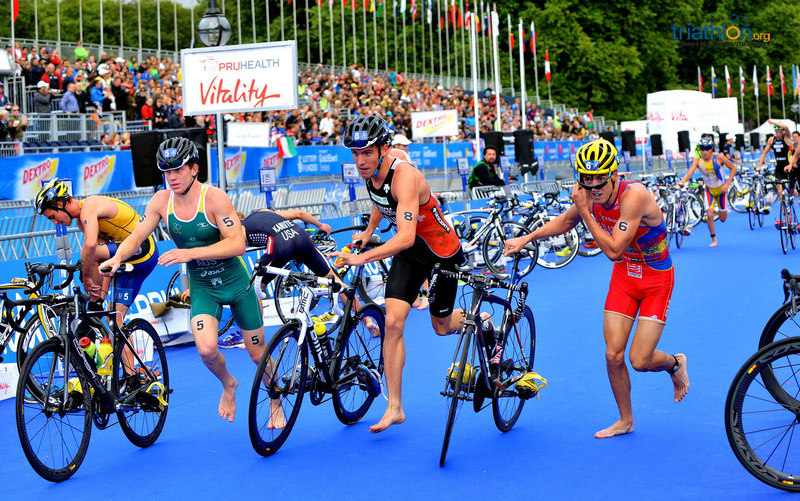 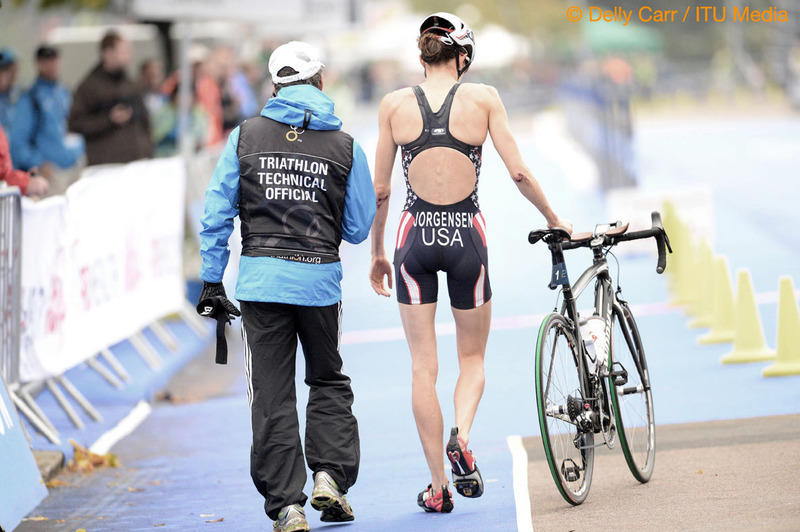 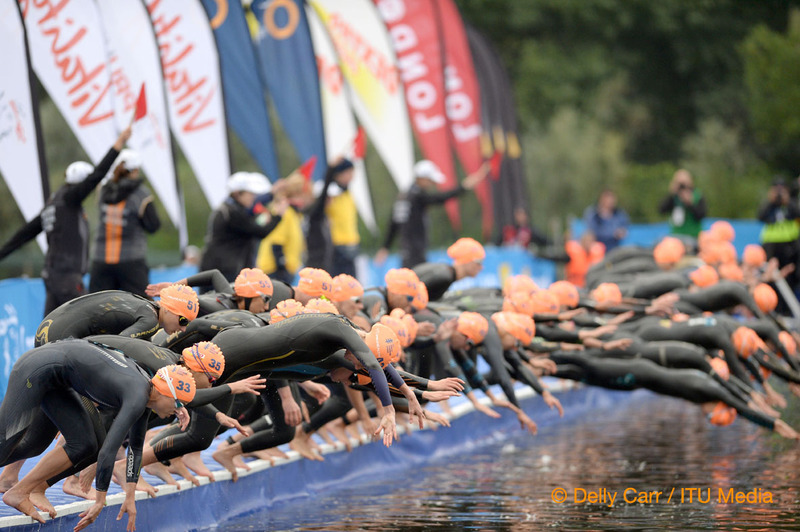 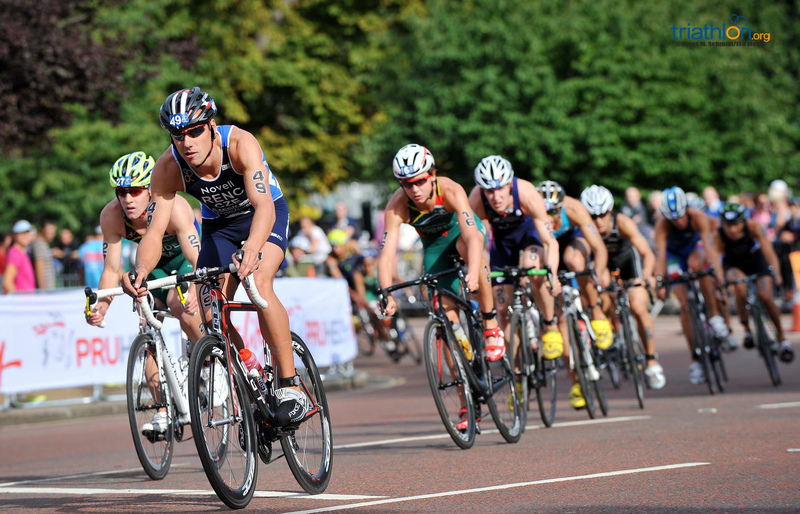 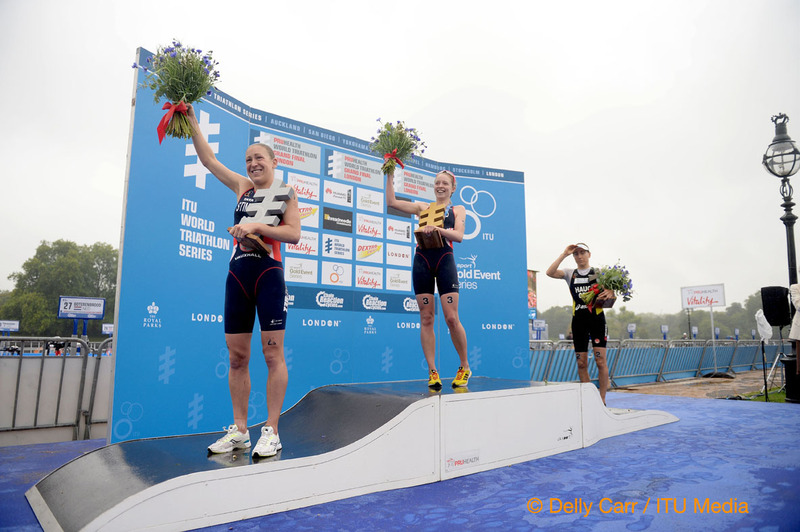 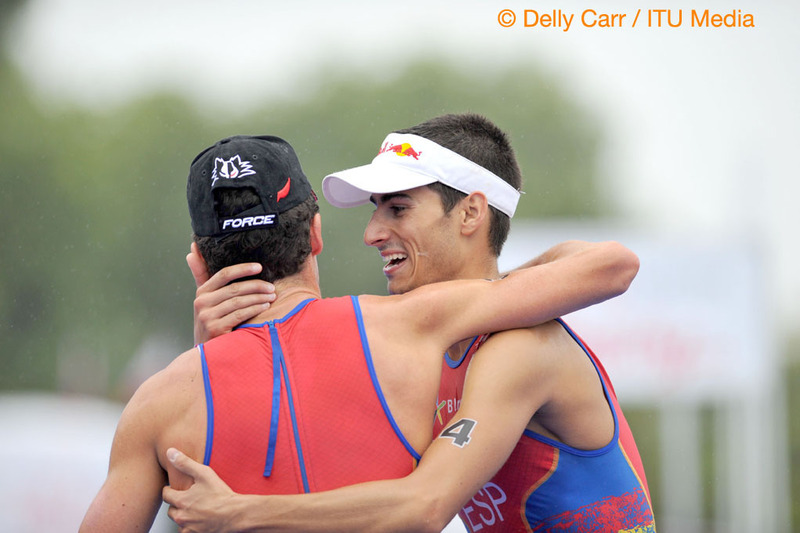 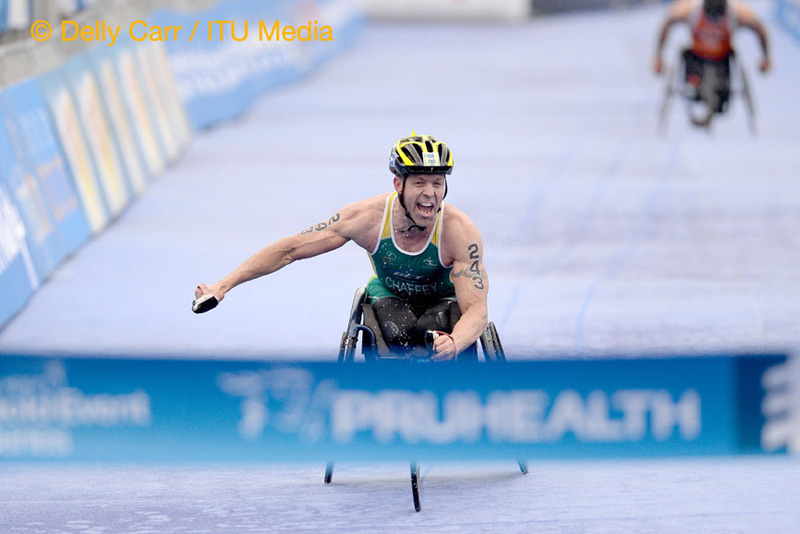 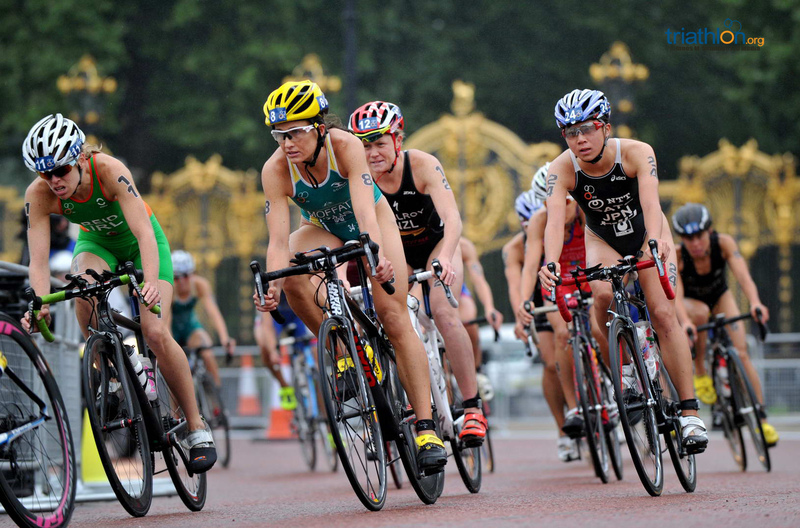 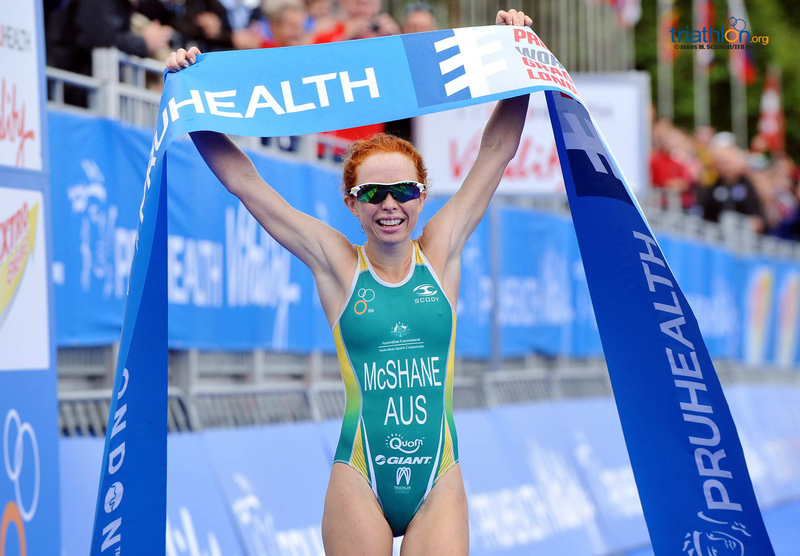 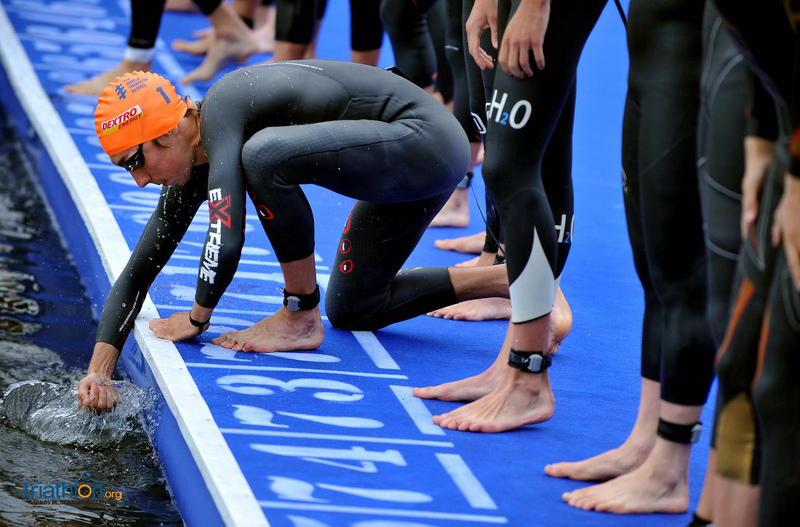 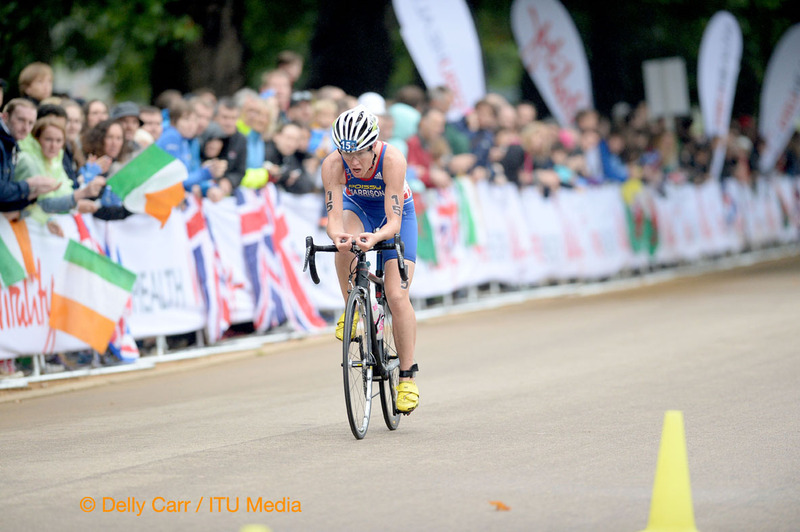 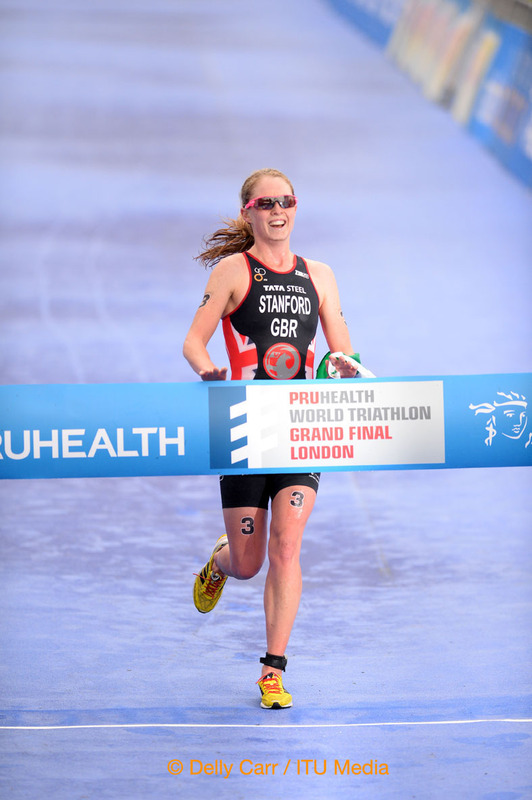 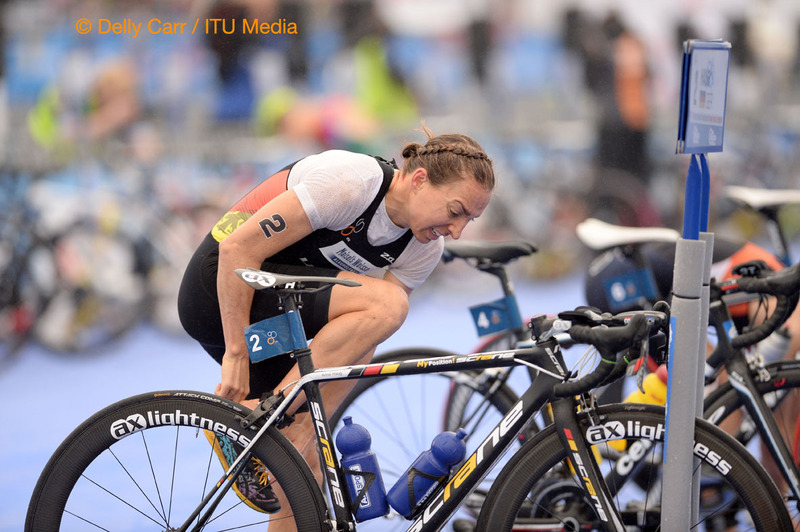 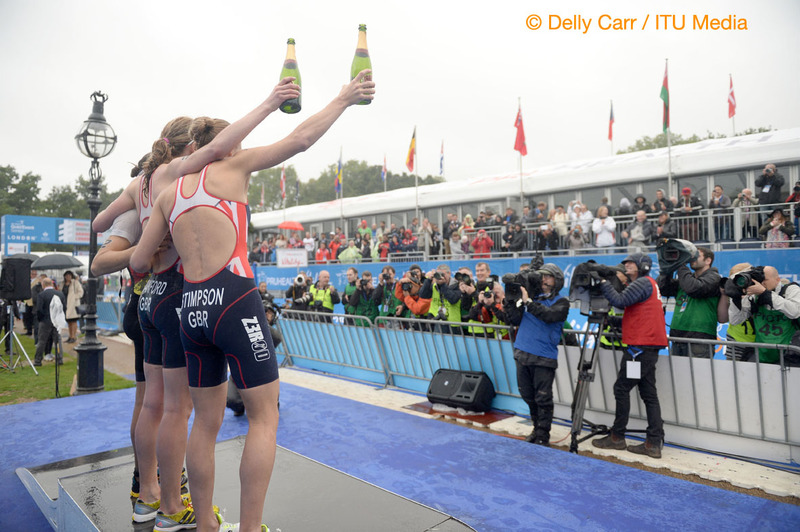 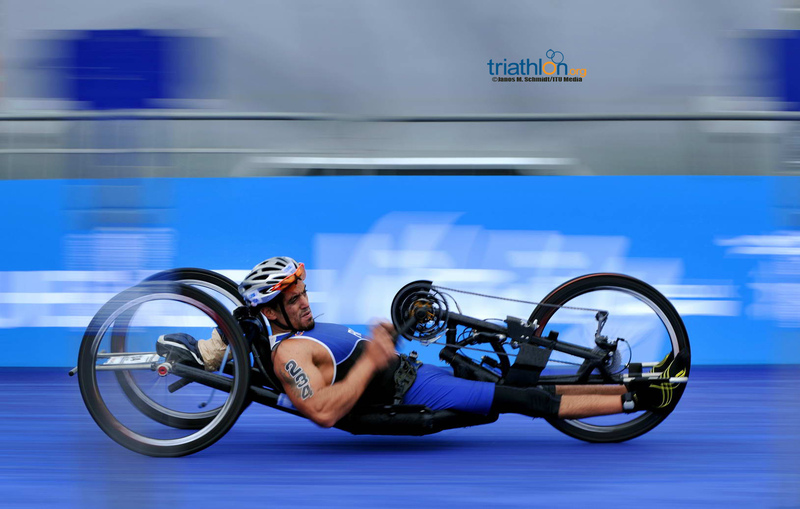 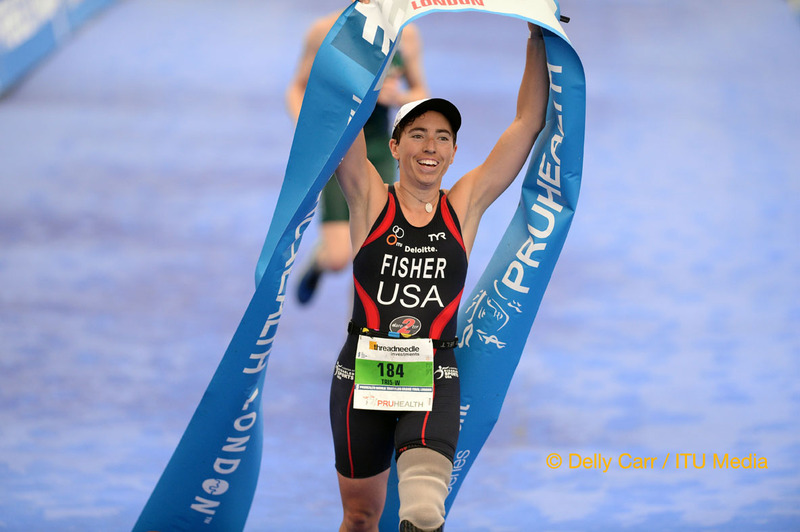 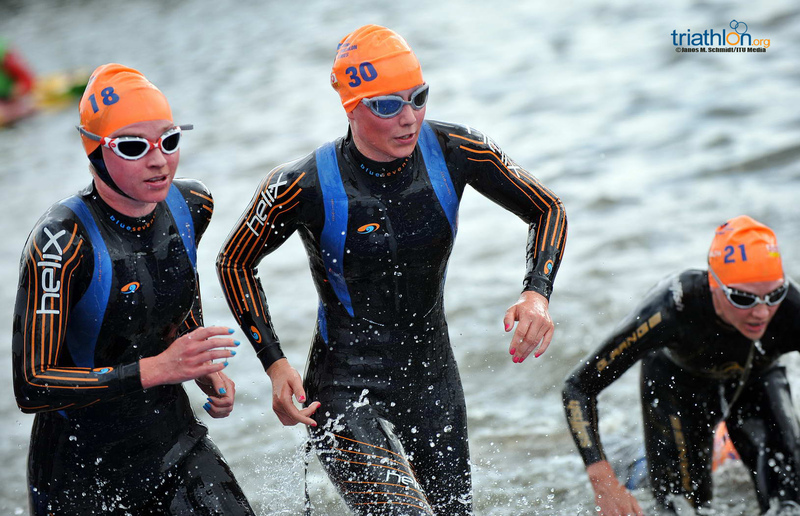 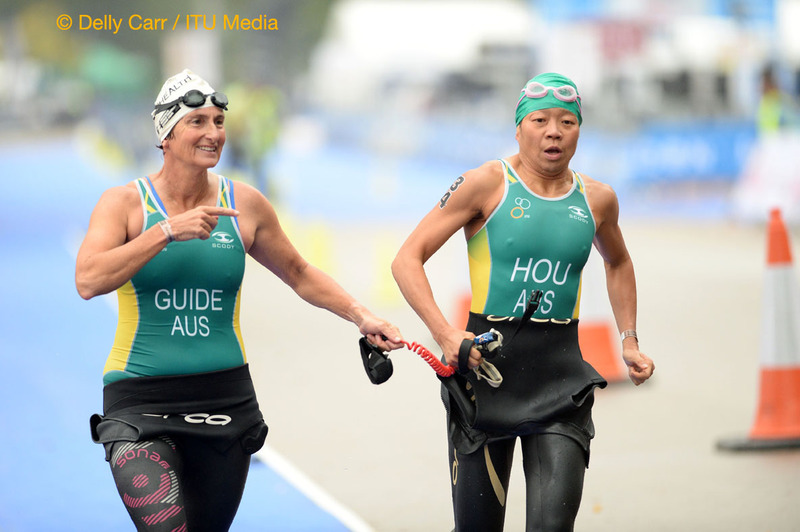 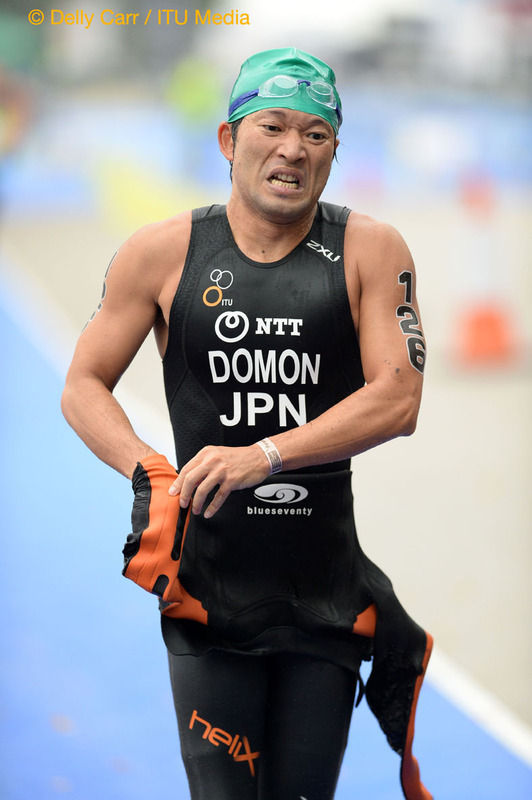 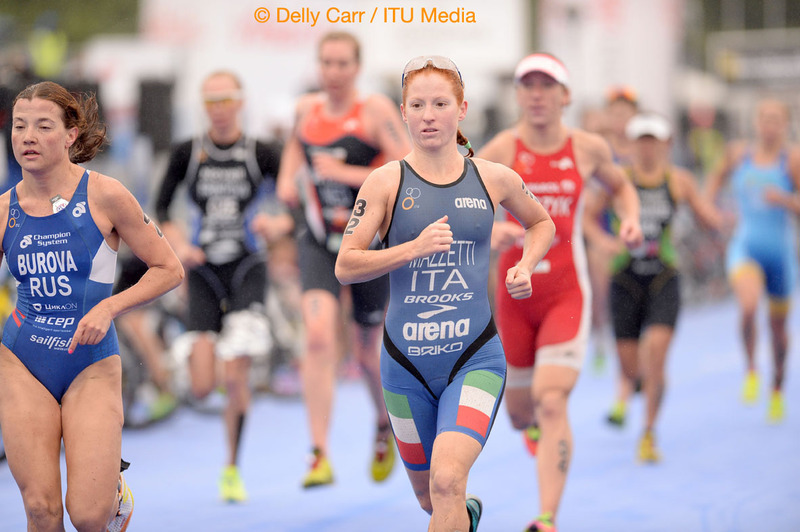 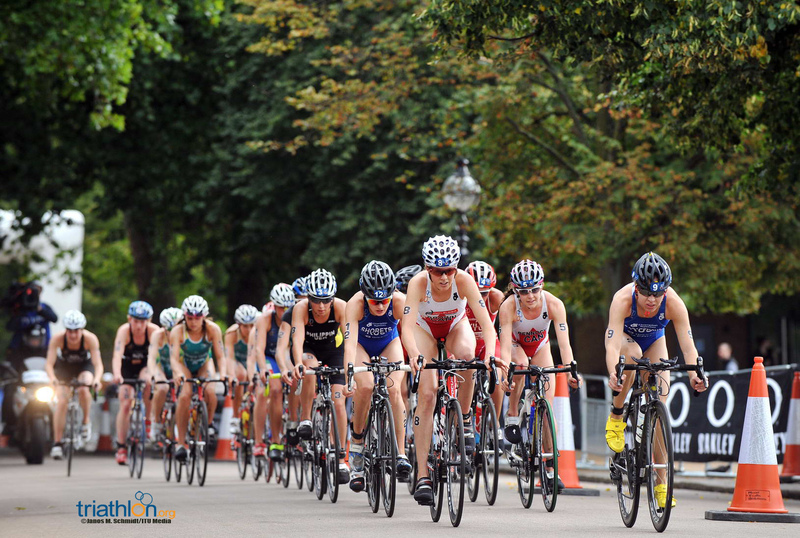 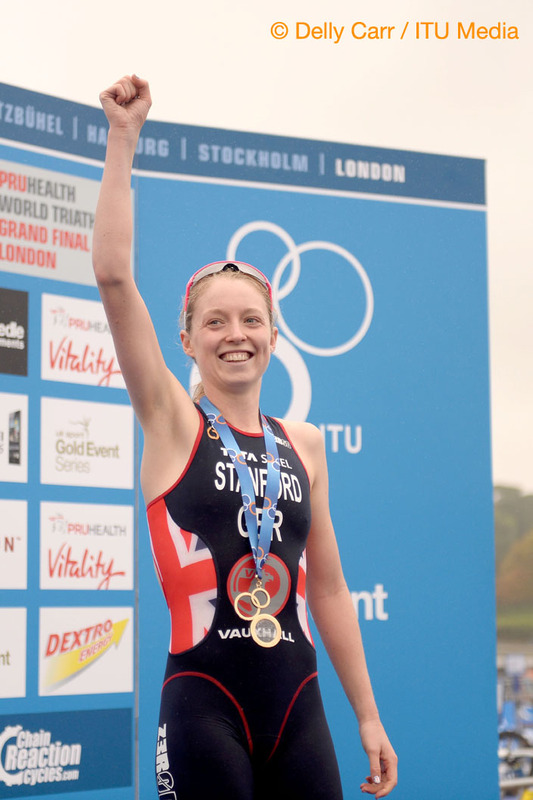 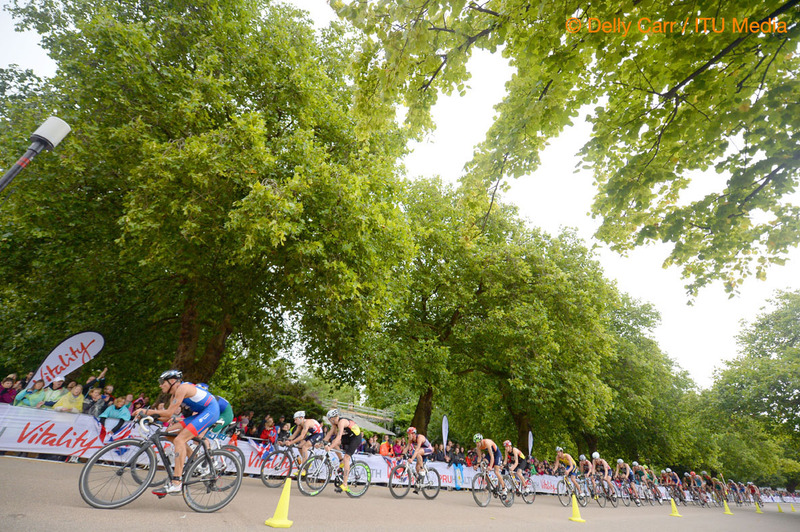 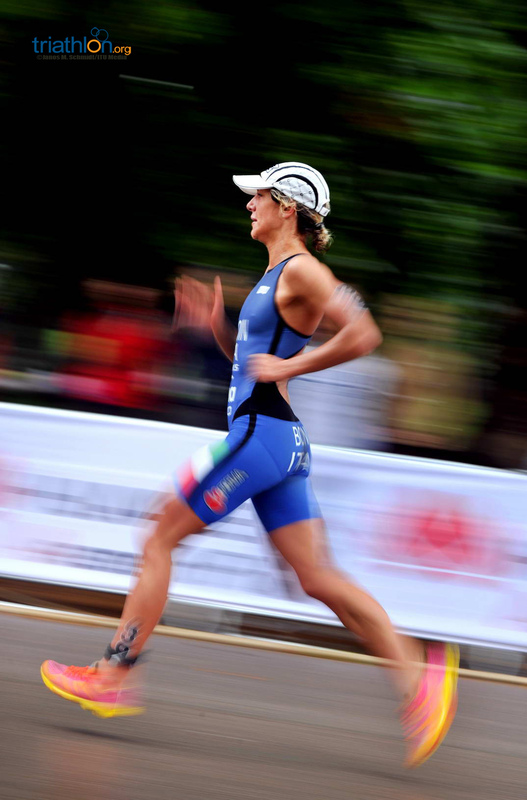 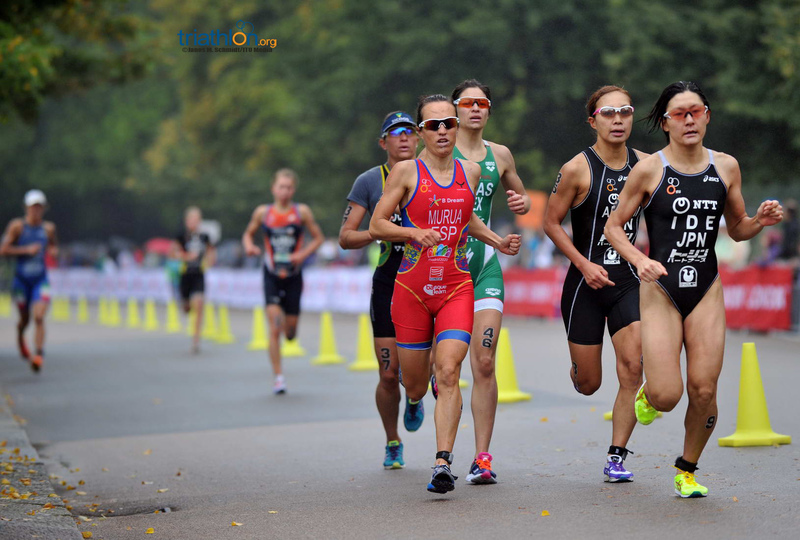 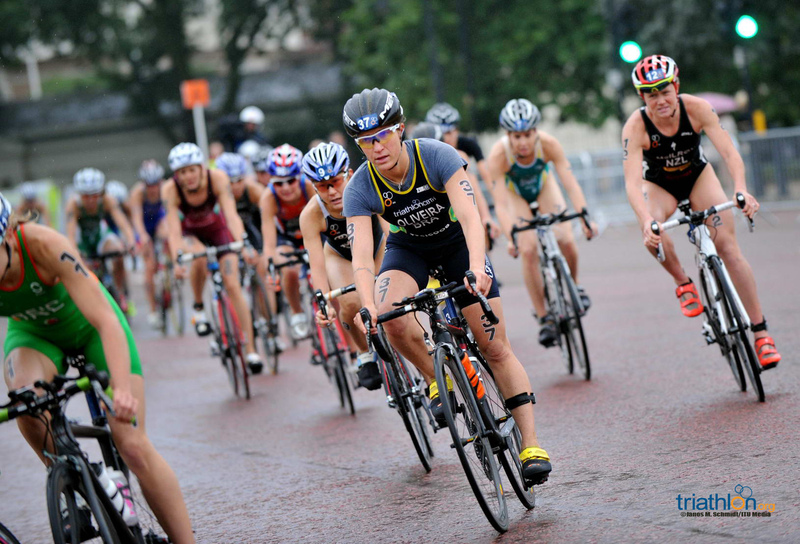 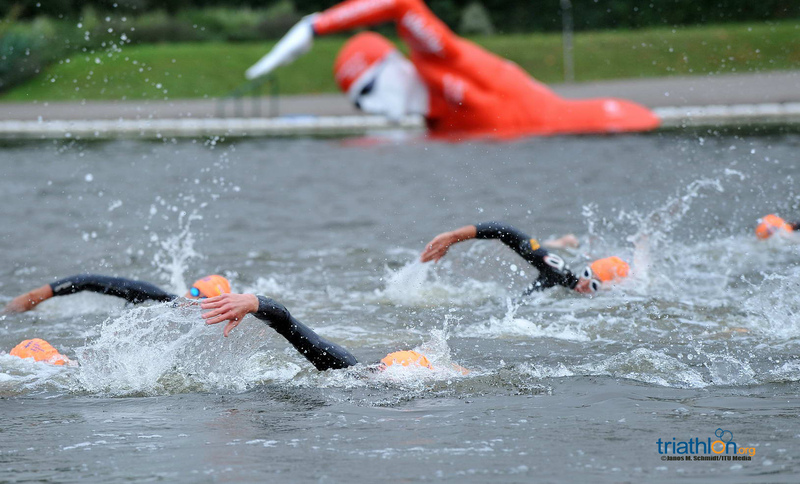 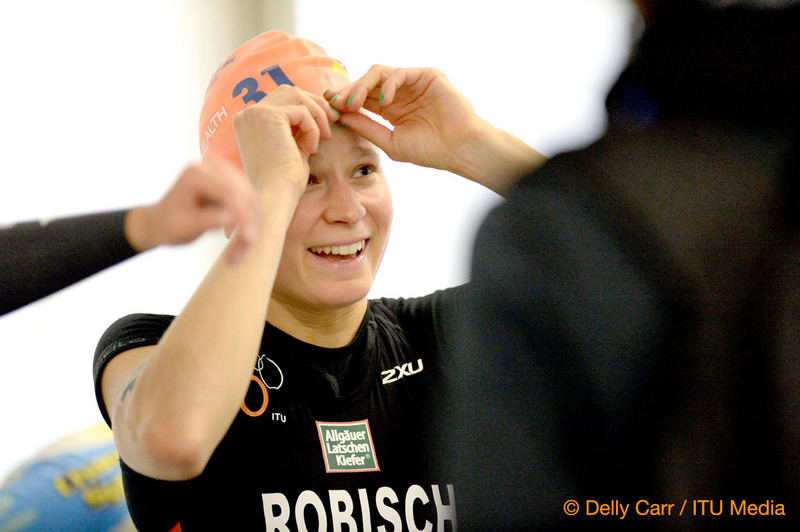 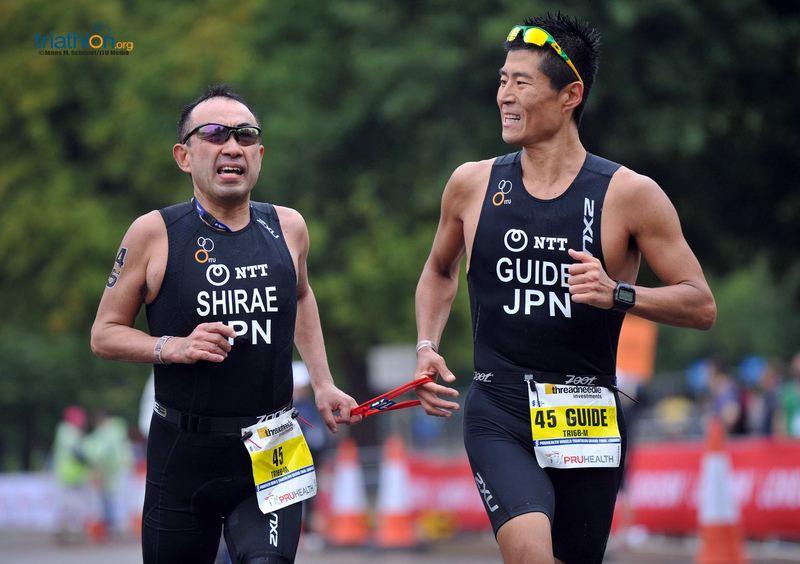 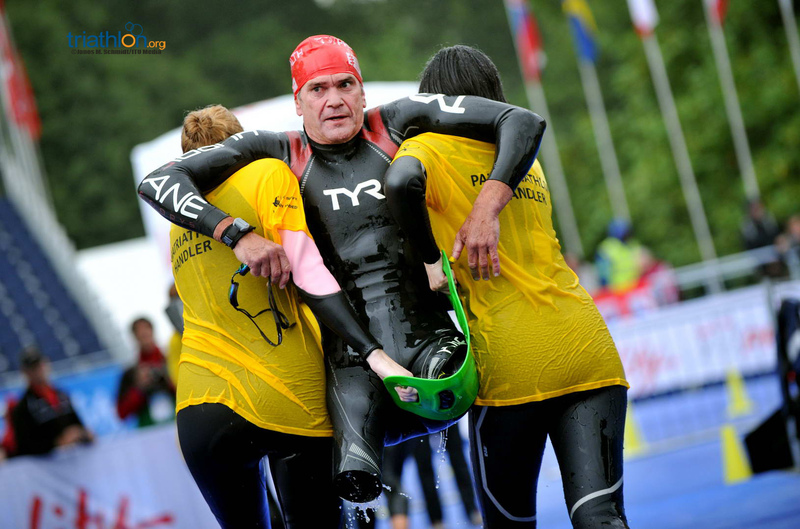 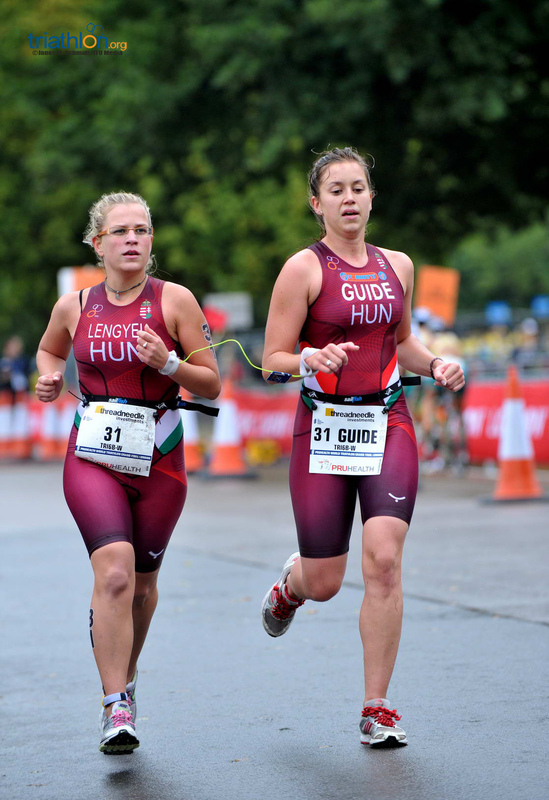 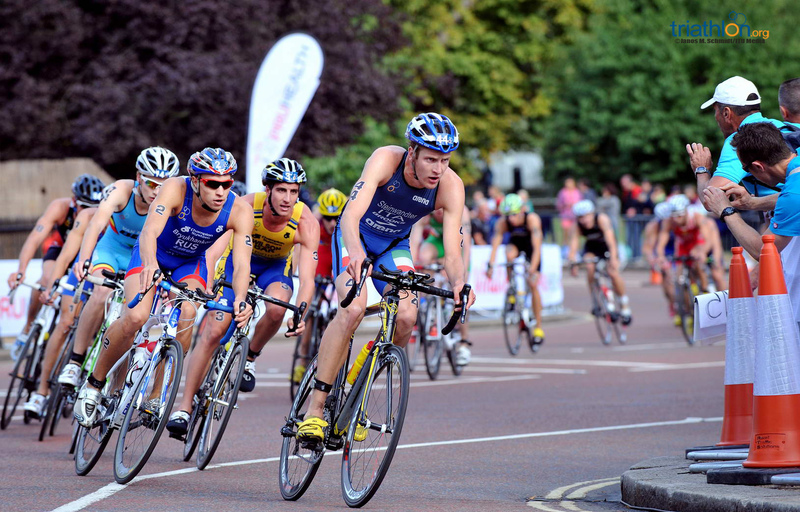 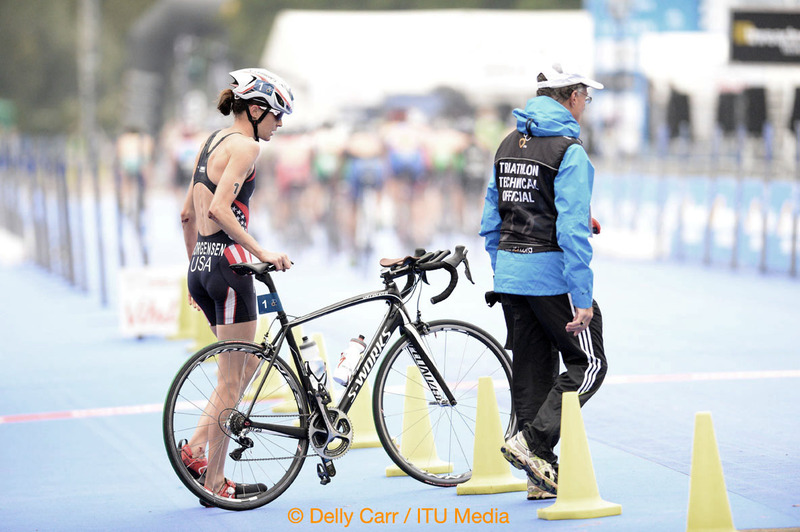 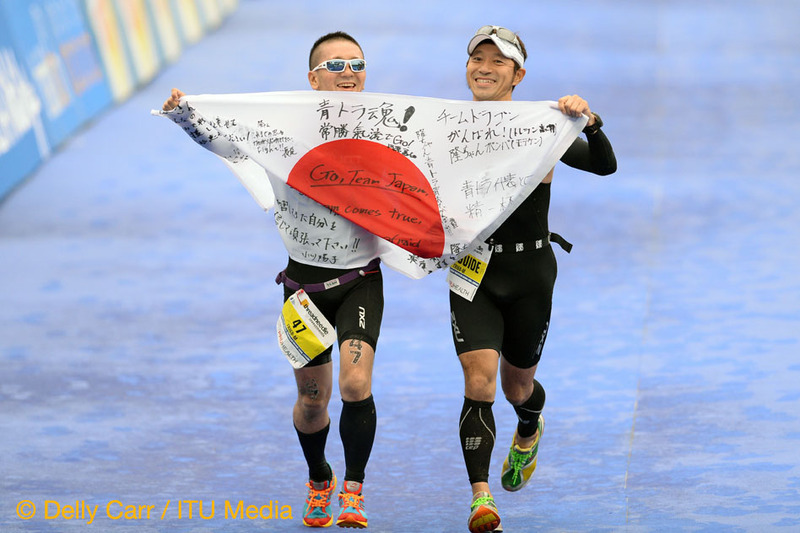 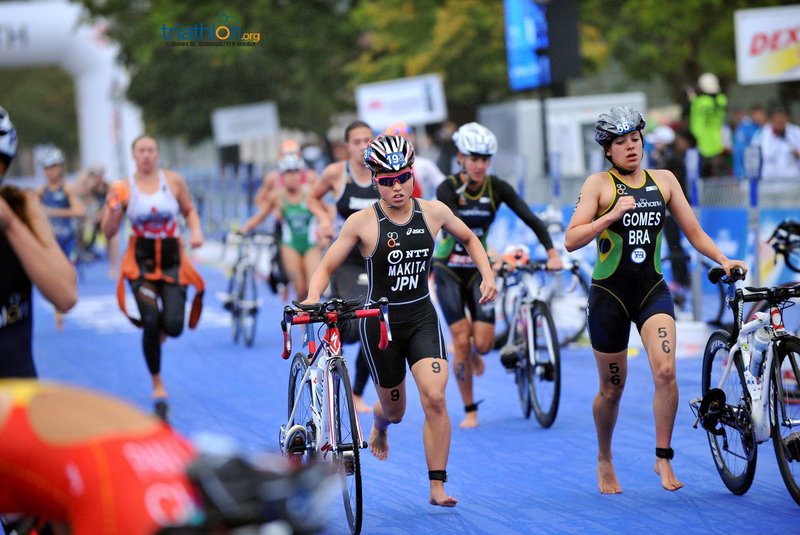 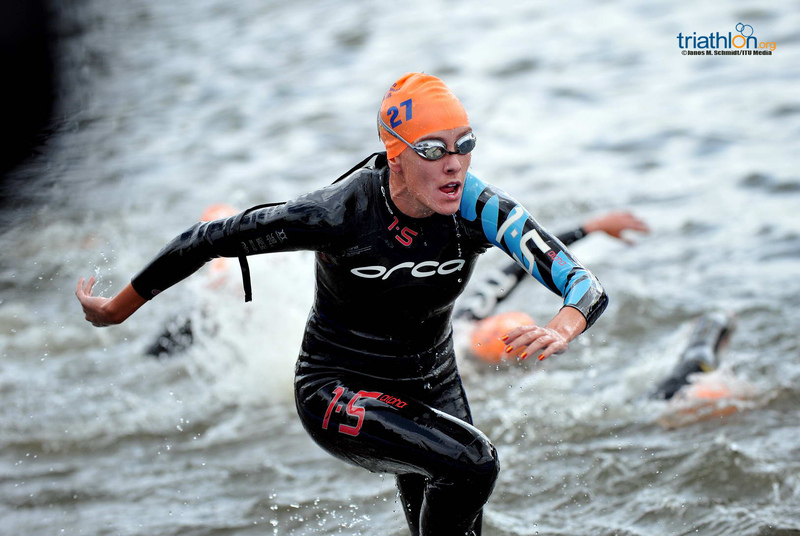 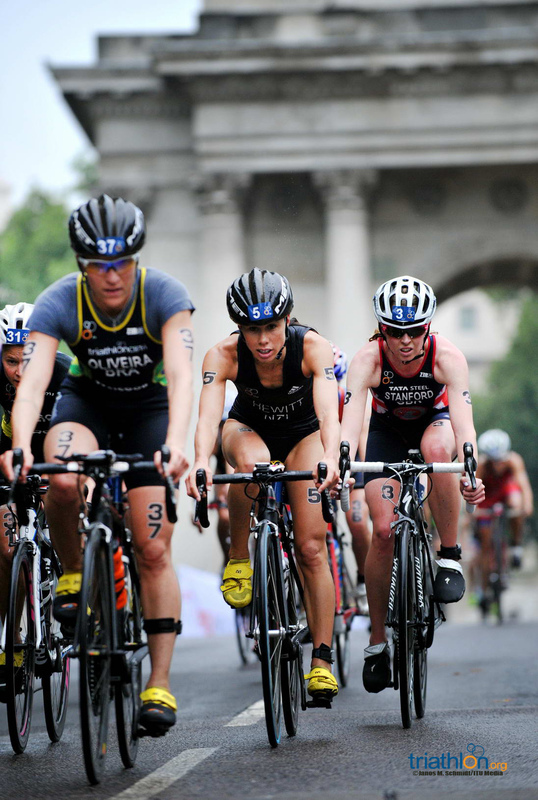 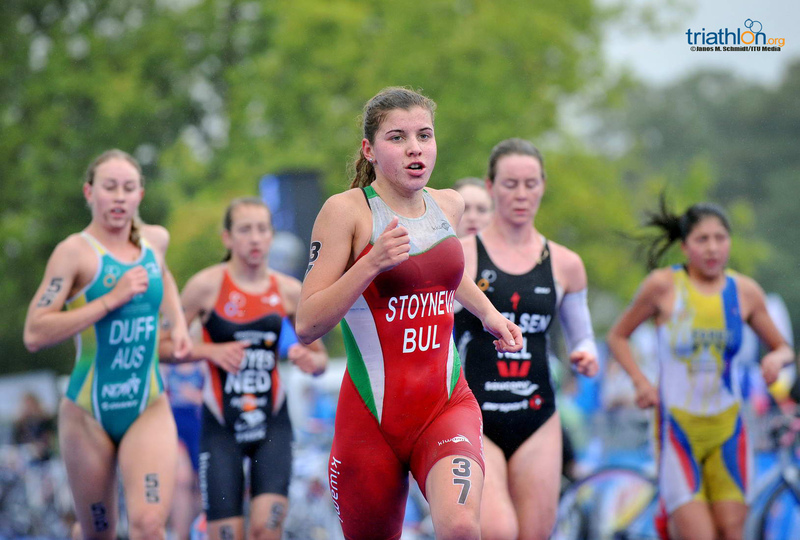 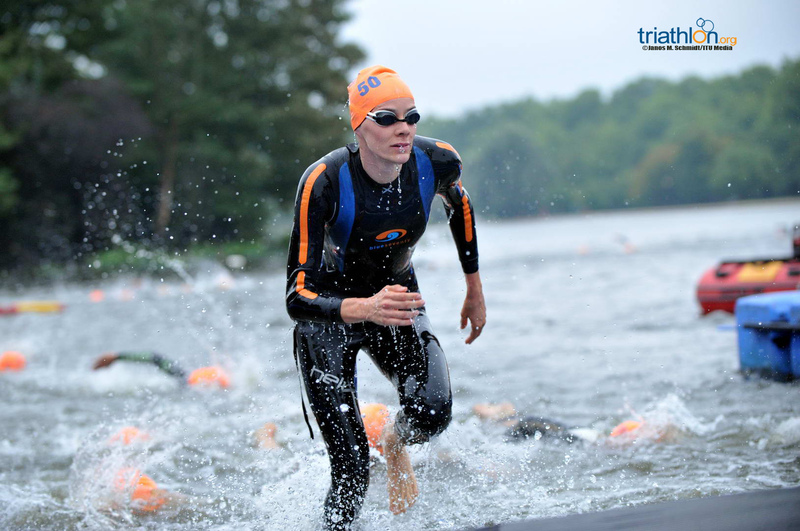 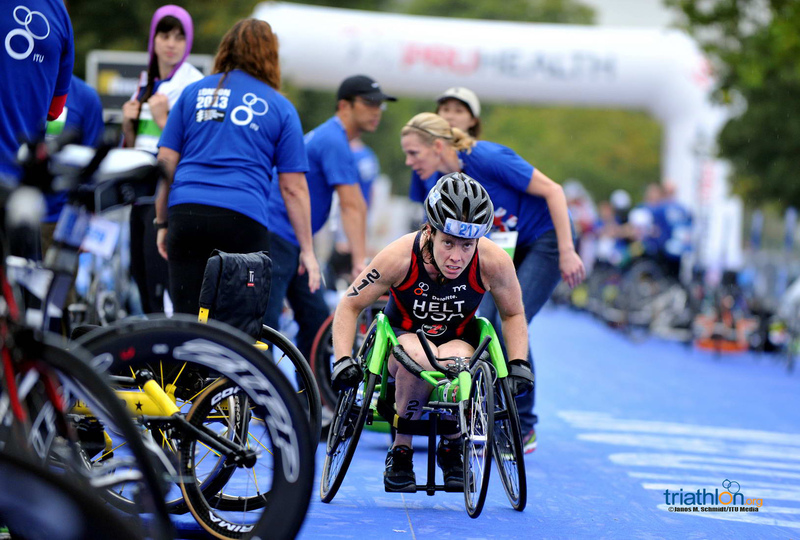 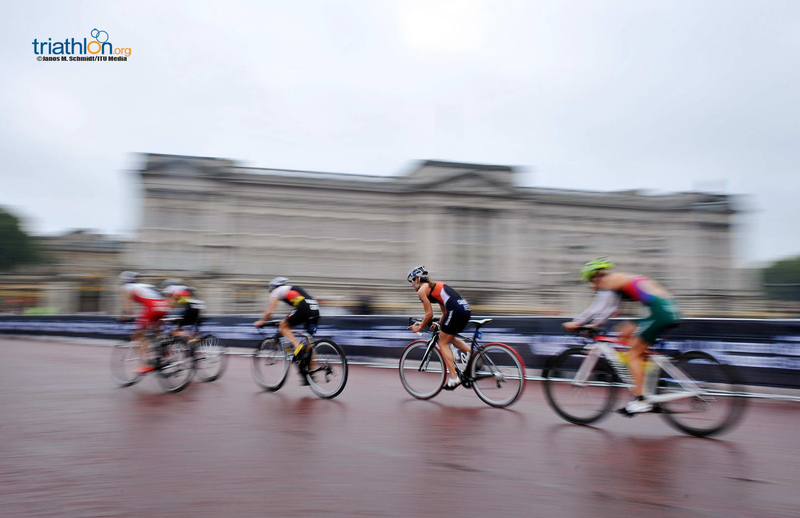 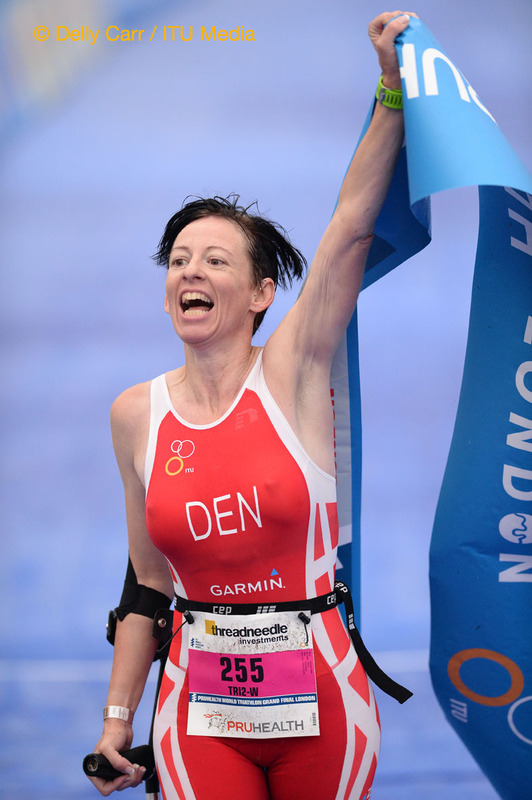 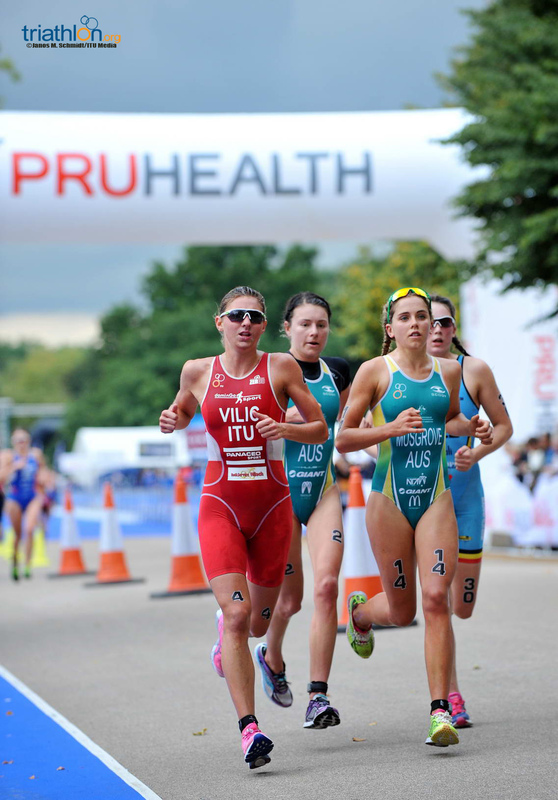 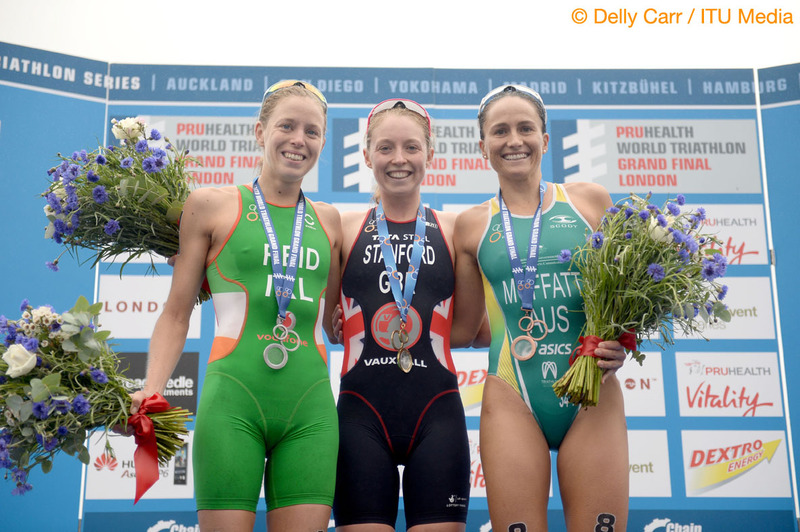 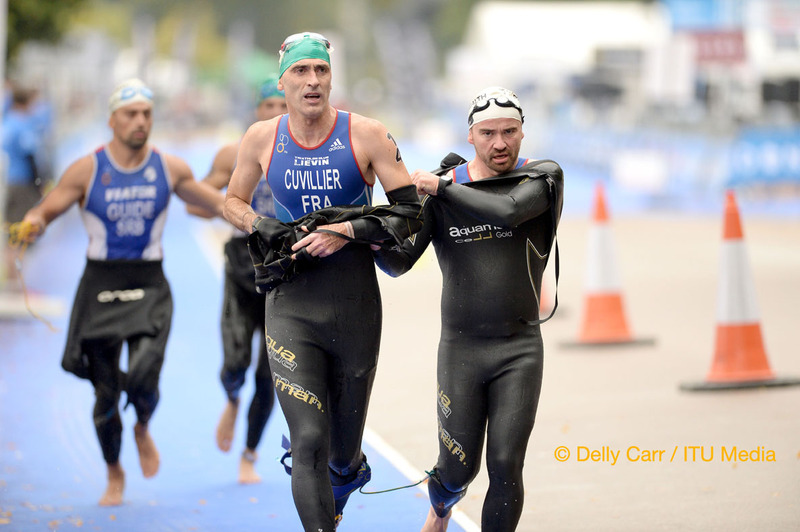 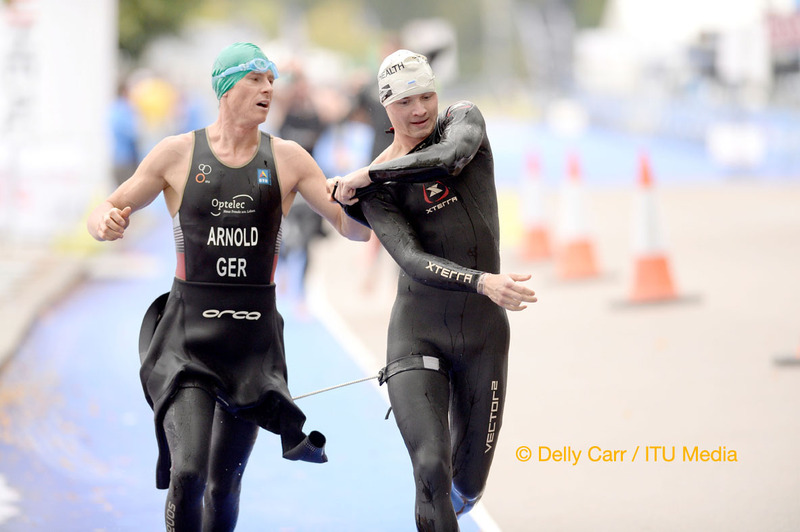 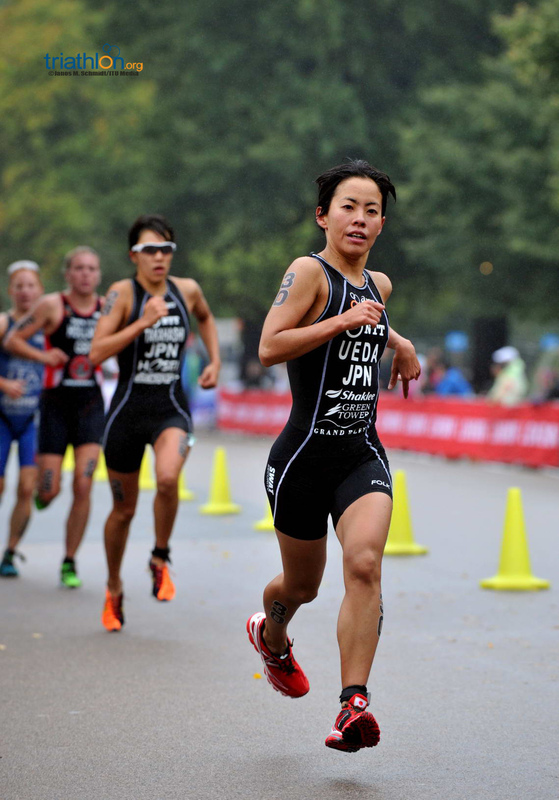 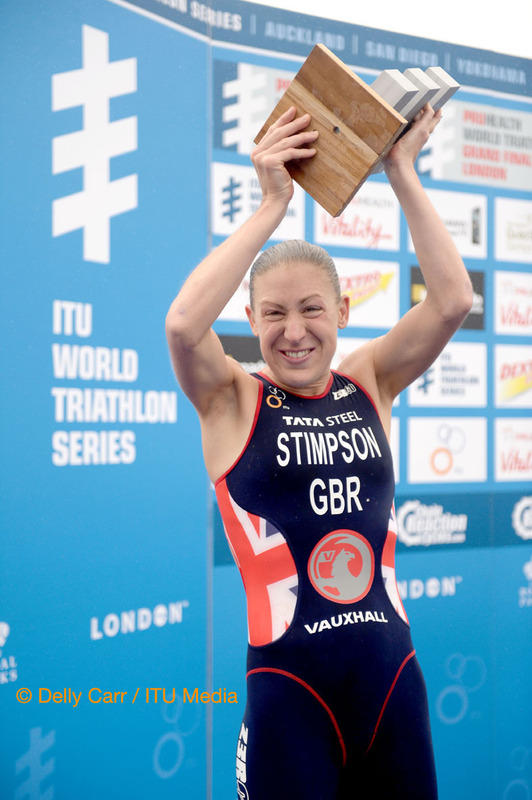 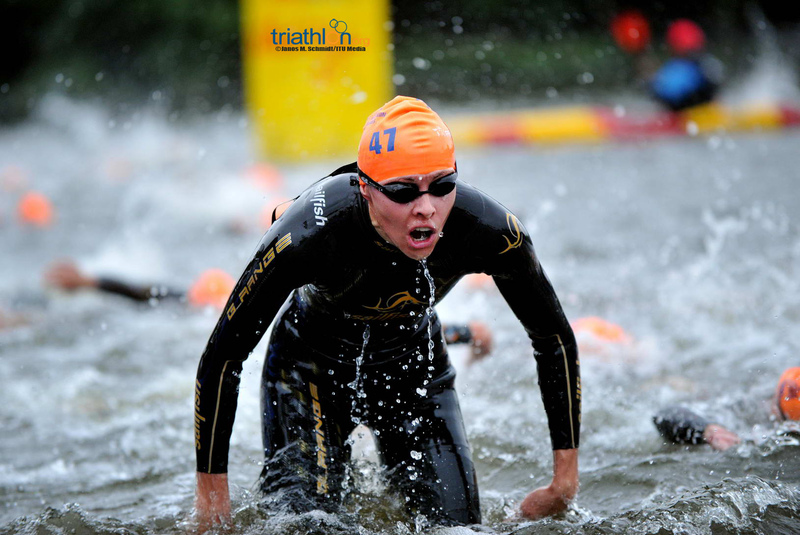 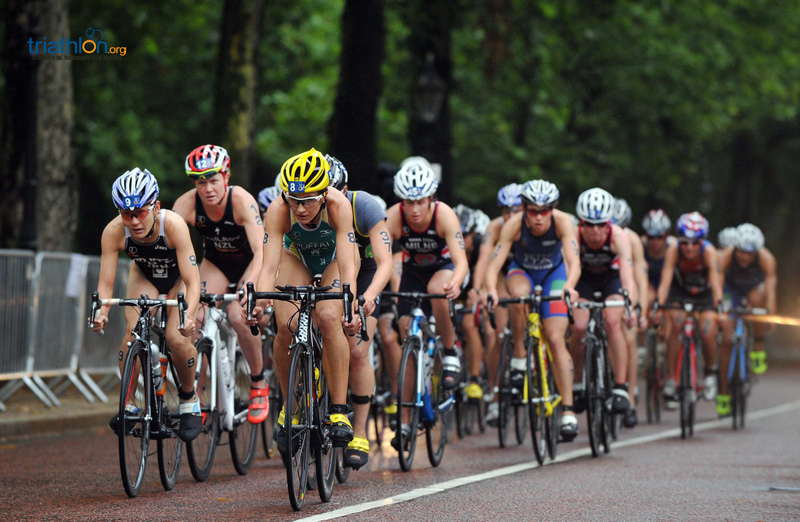 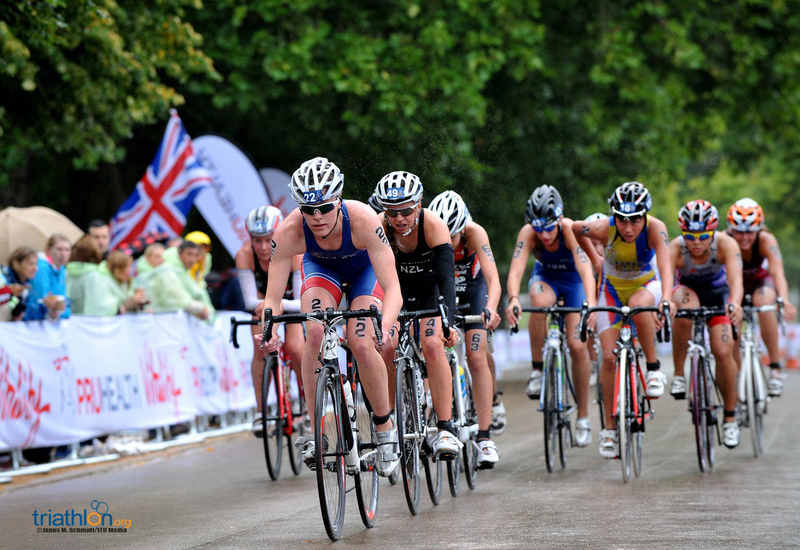 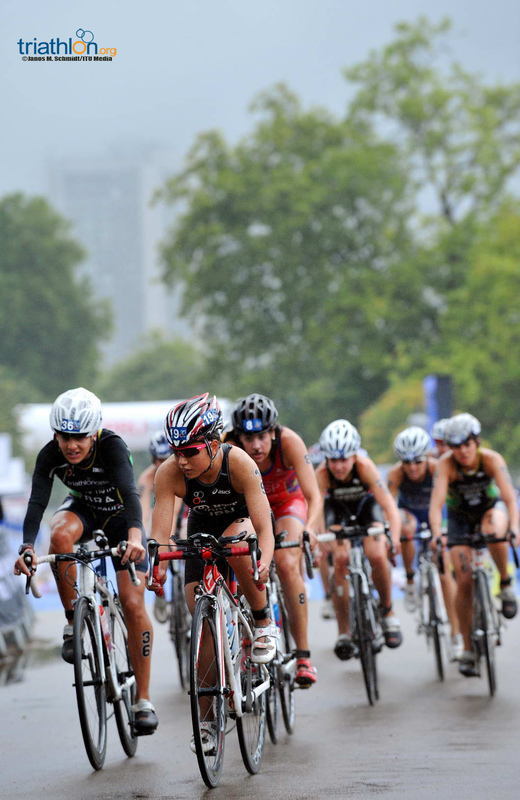 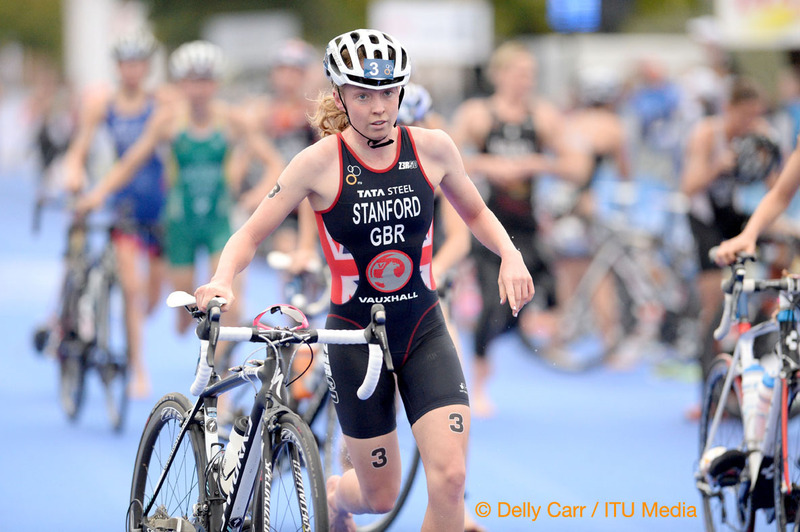 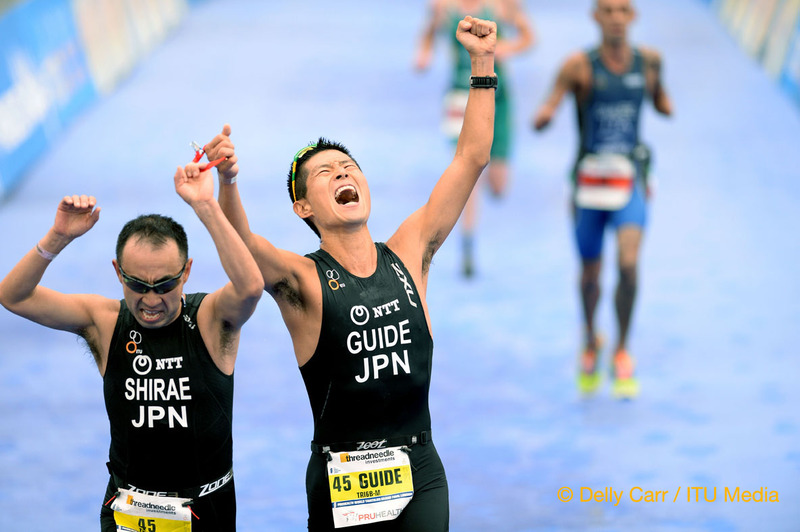 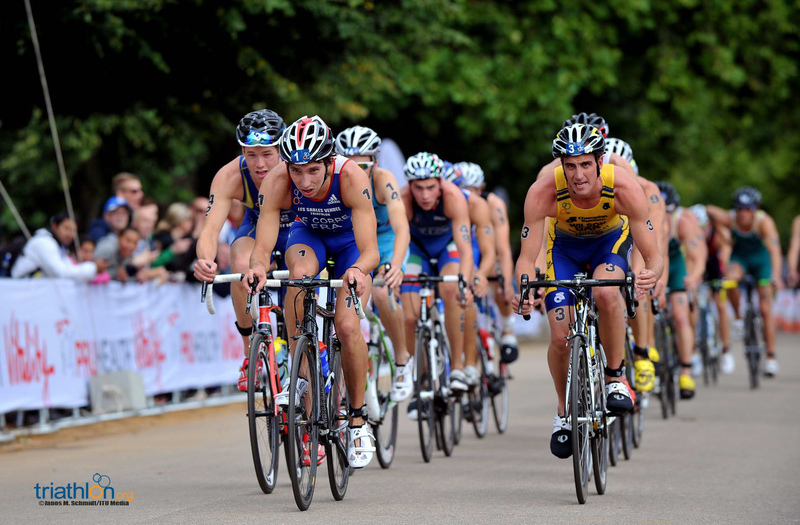 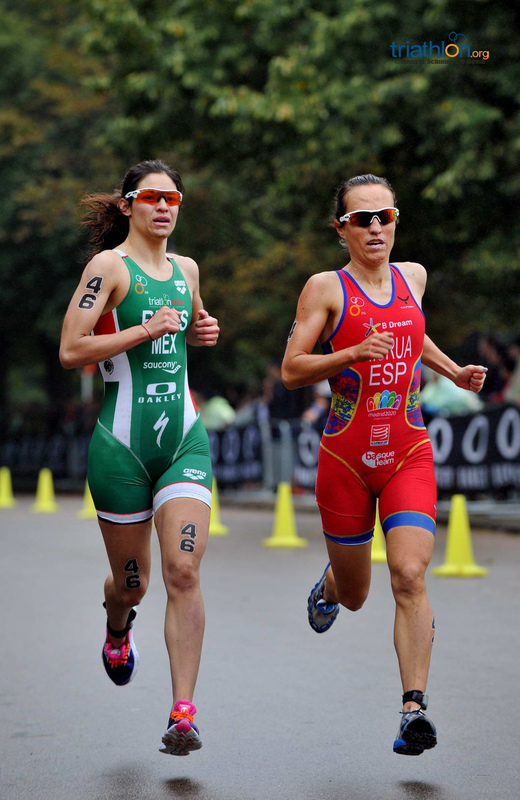 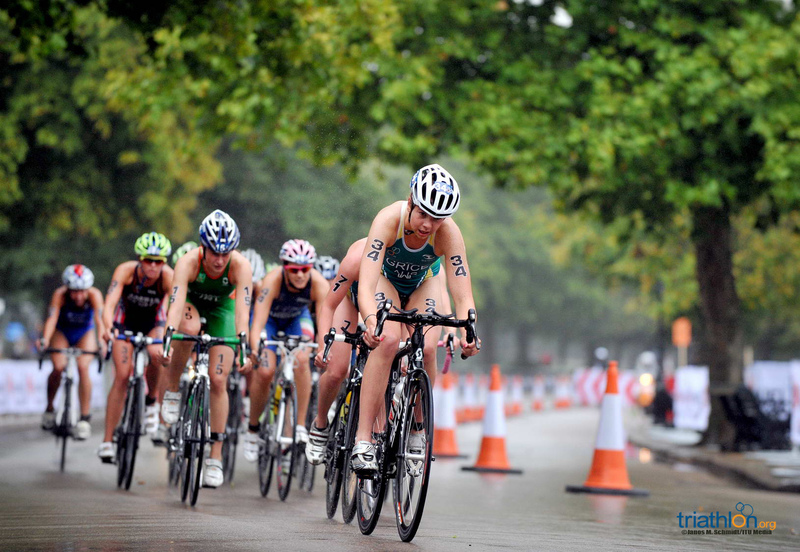 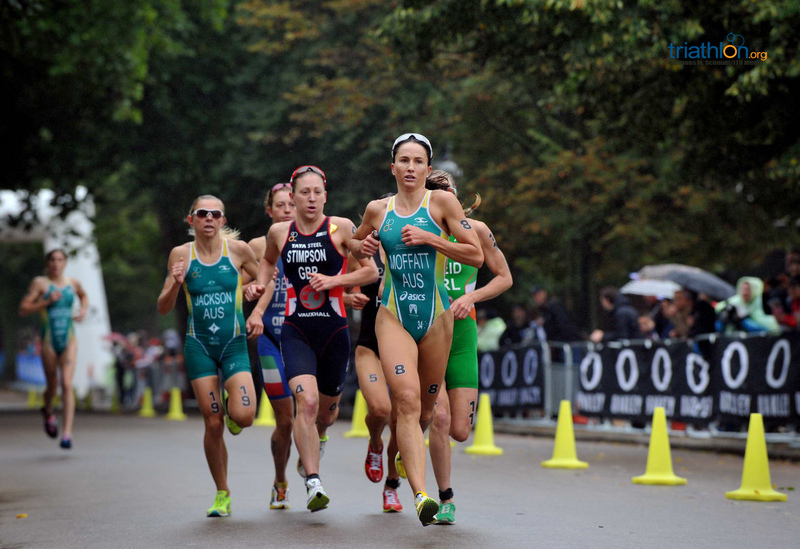 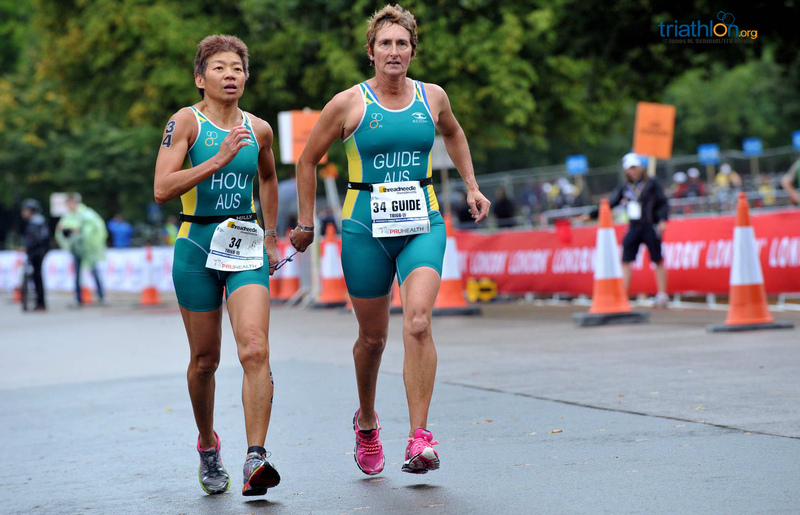 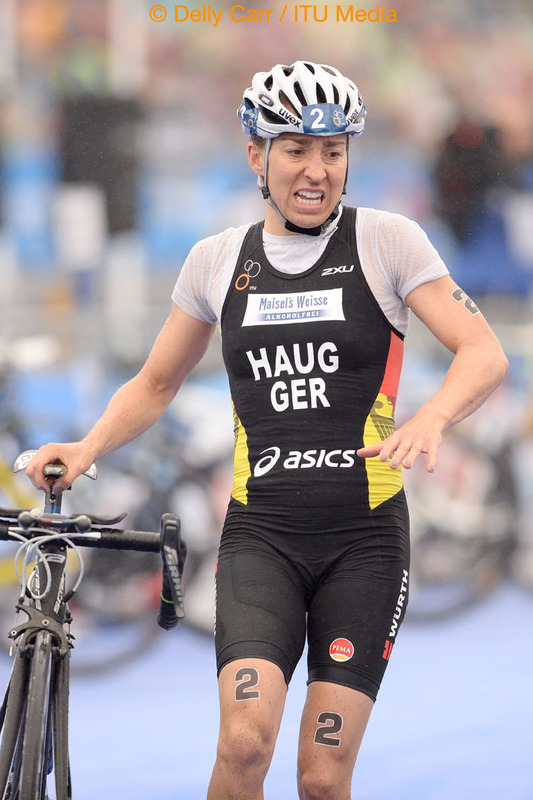 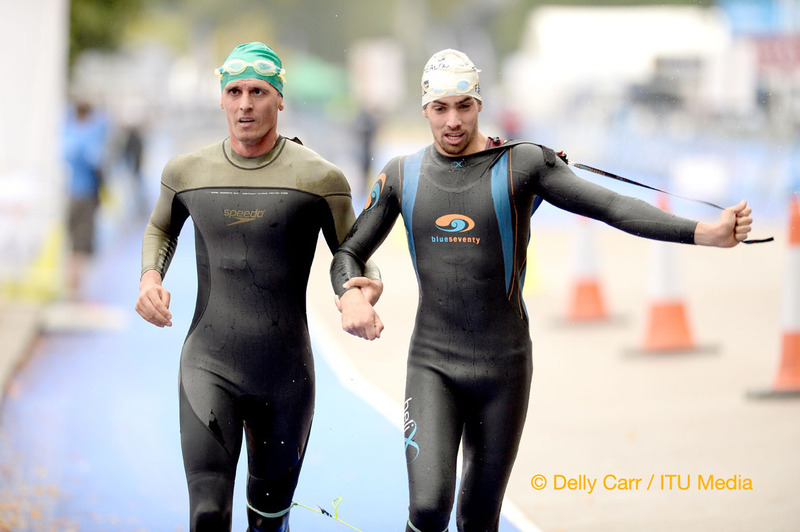 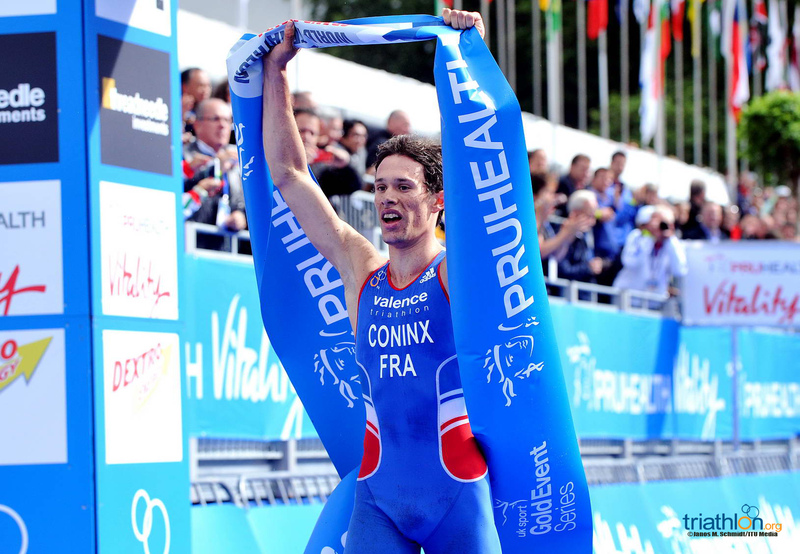 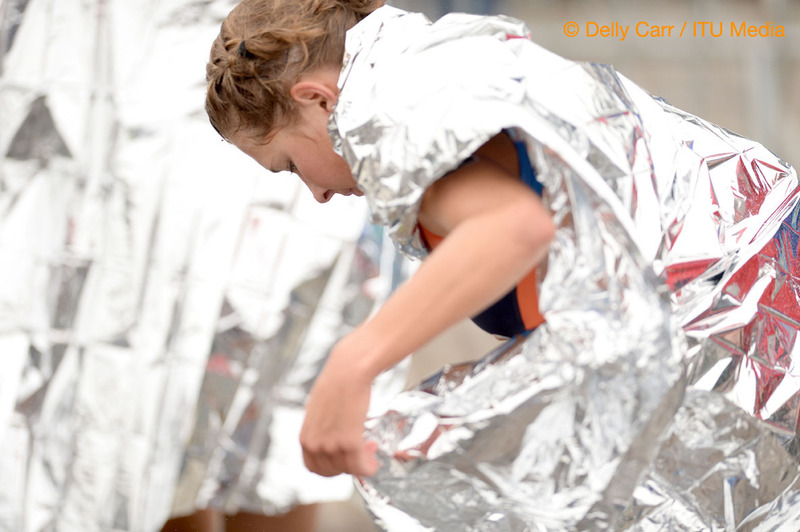 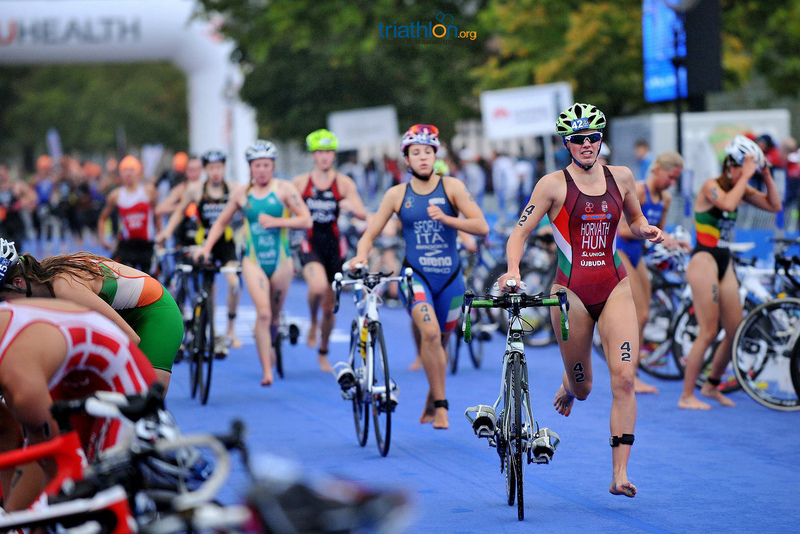 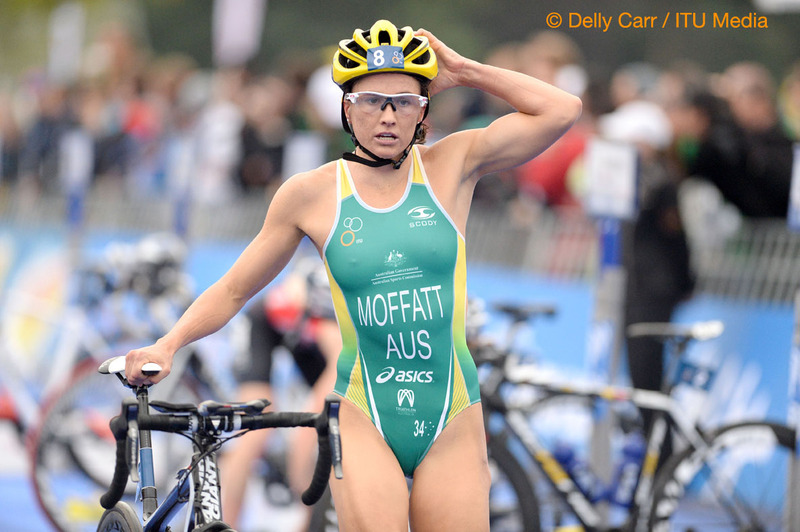 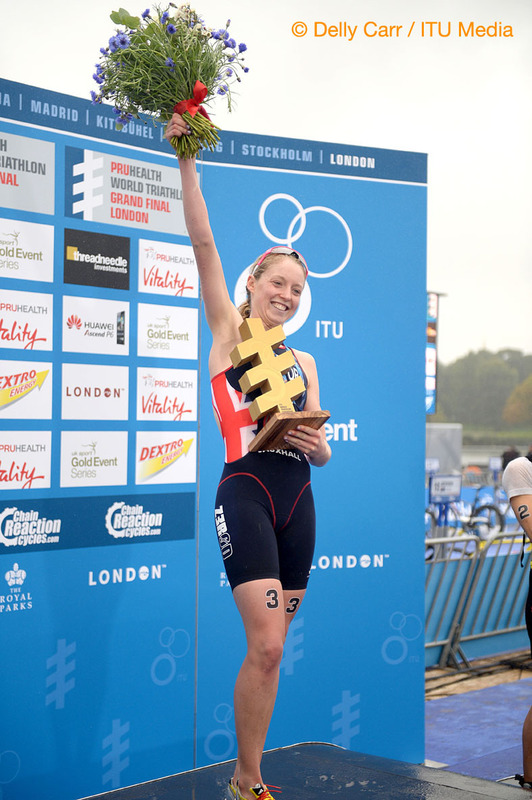 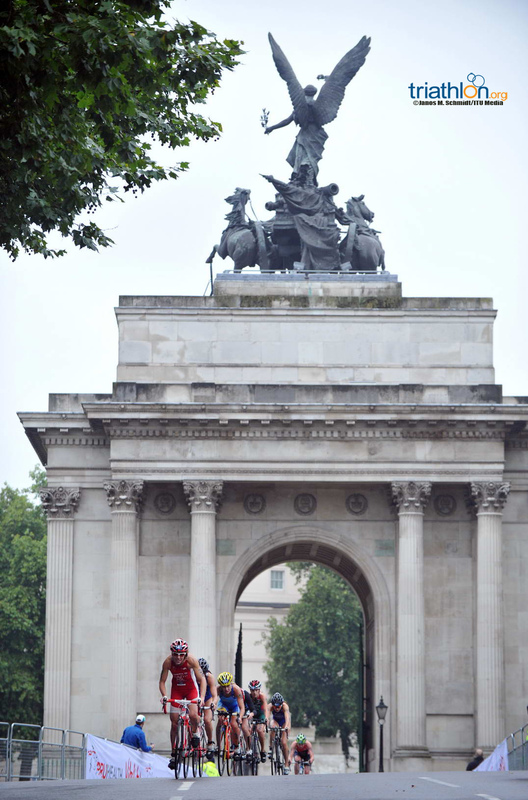 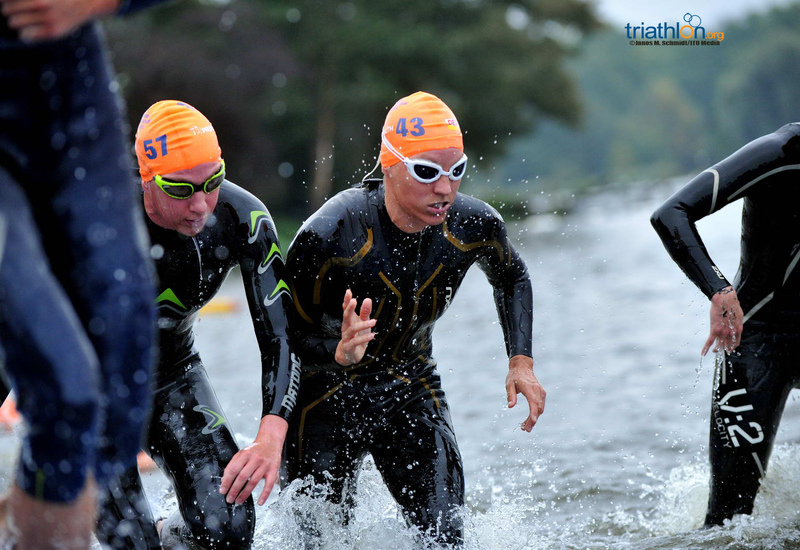 It's just a week until triathlon history is made at the Pruhealth World Triathlon Grand Final London, so it's time to take a quick look at what the statistics say ahead of the 2013 season finale.